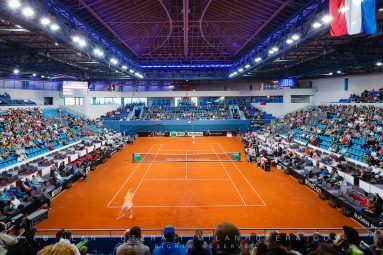 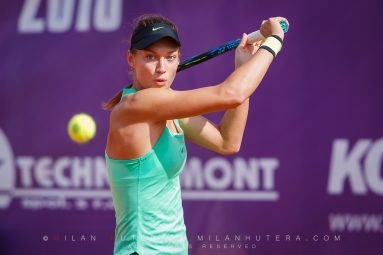 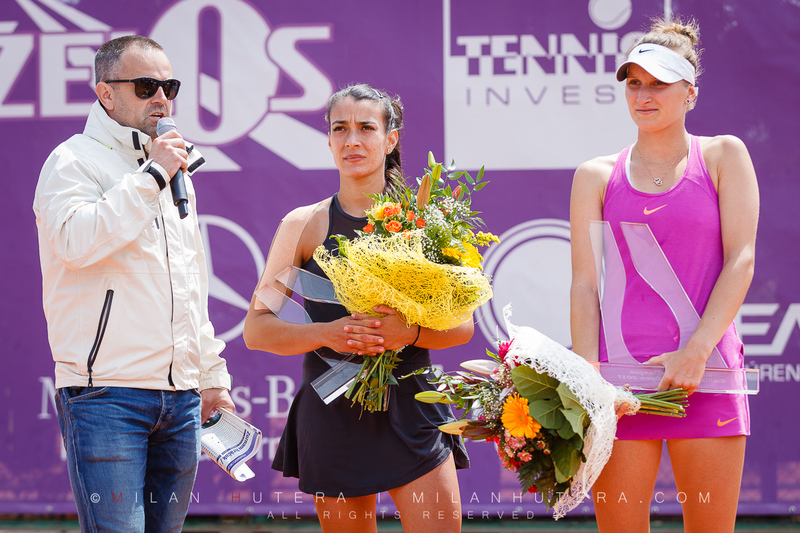 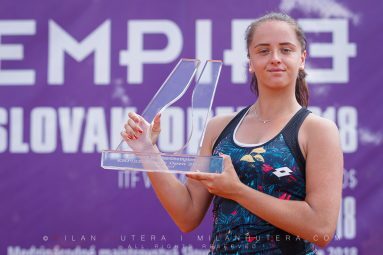 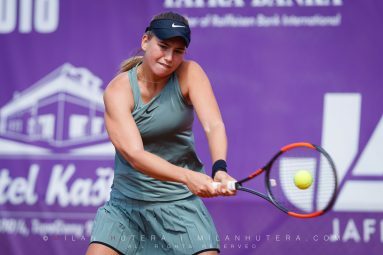 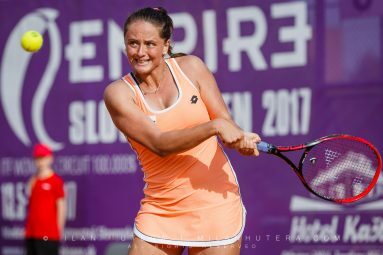 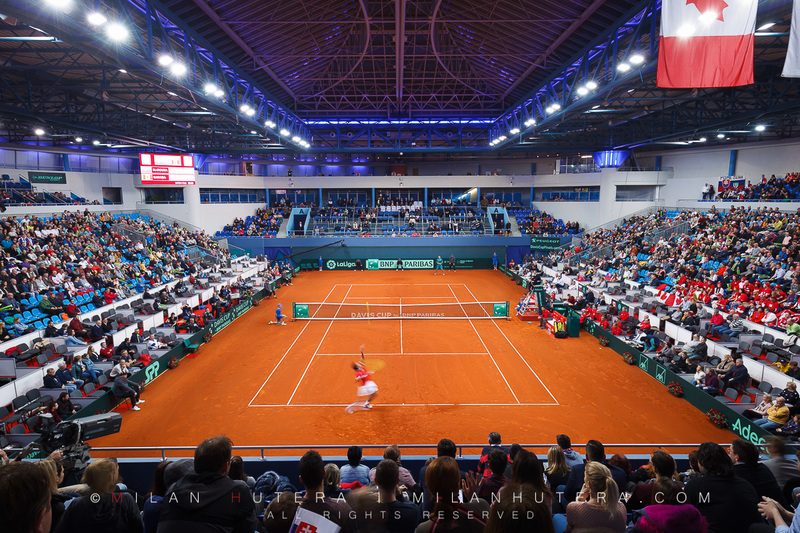 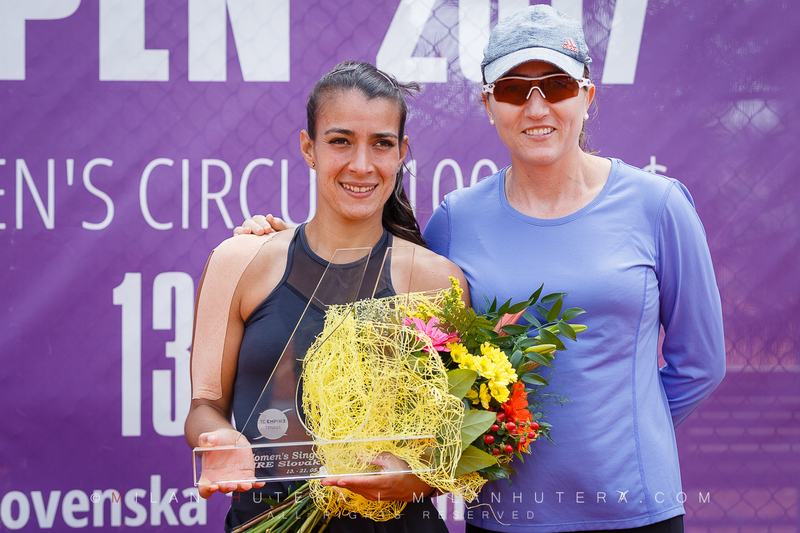 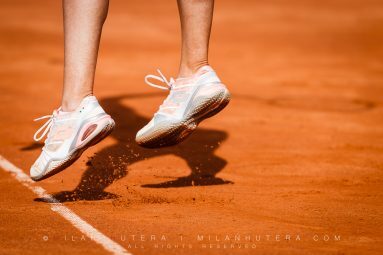 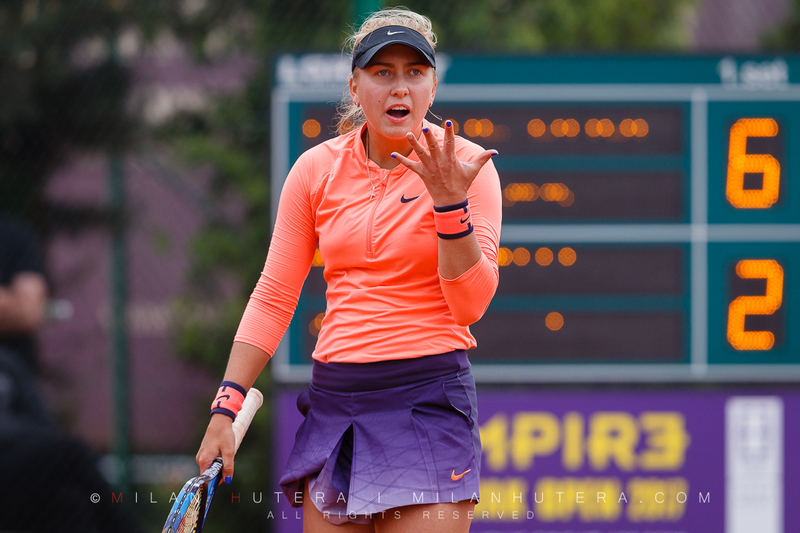 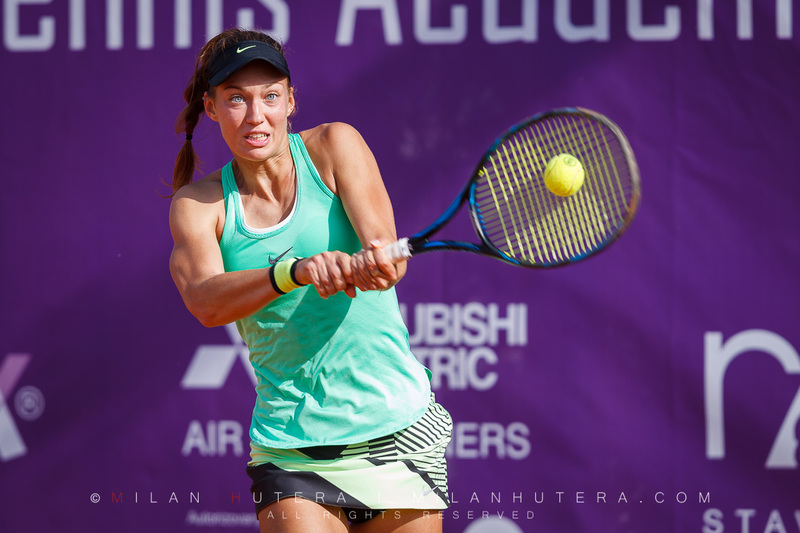 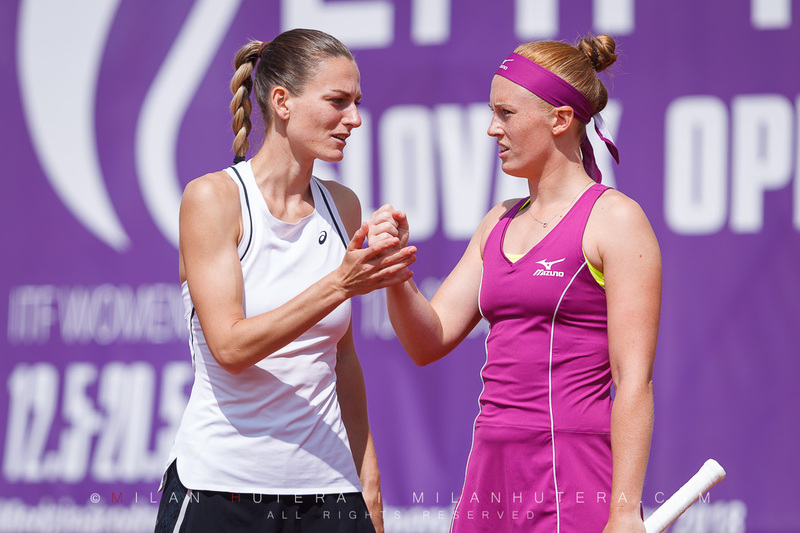 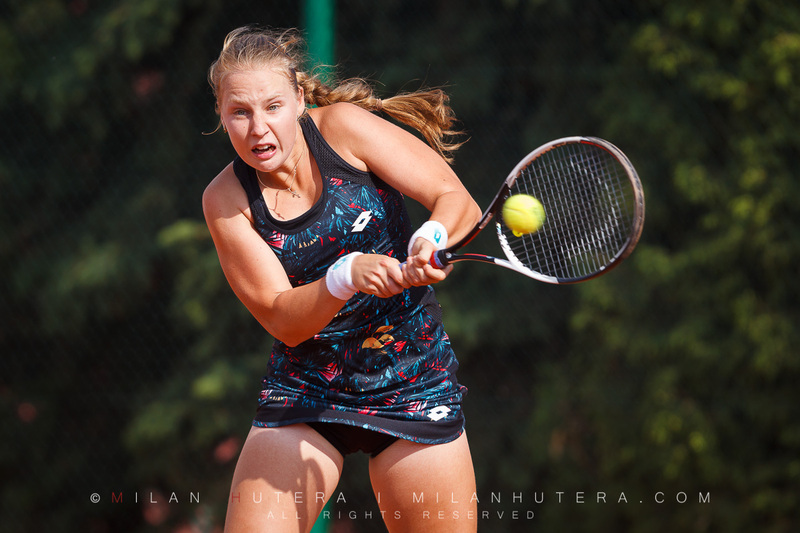 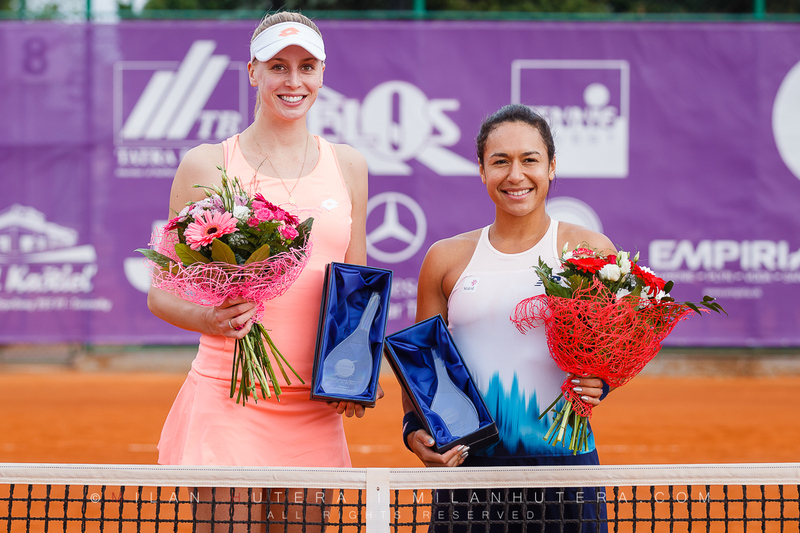 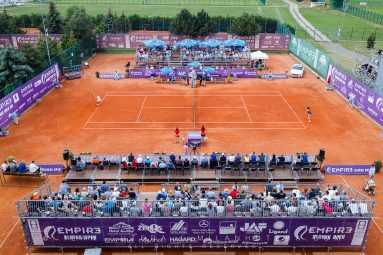 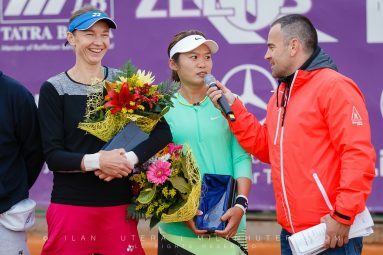 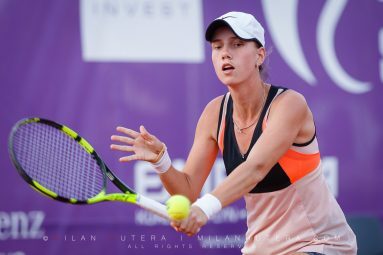 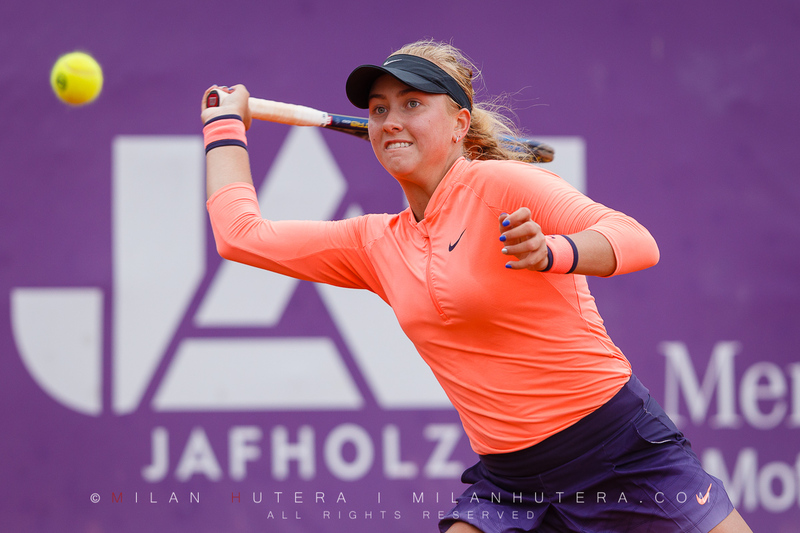 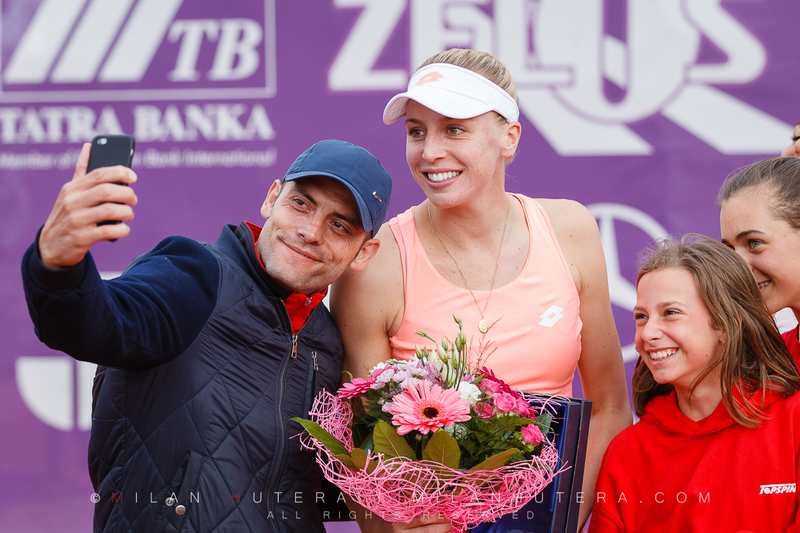 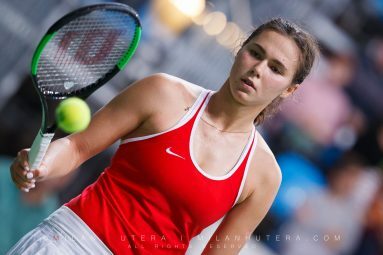 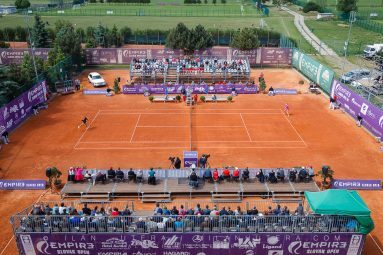 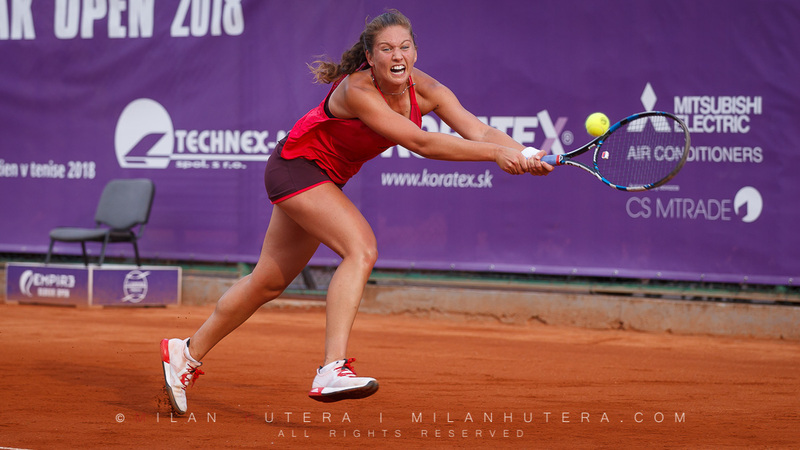 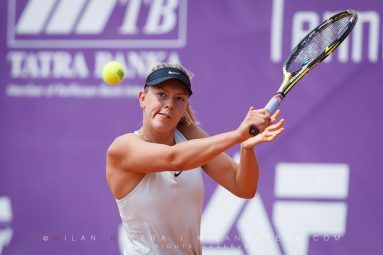 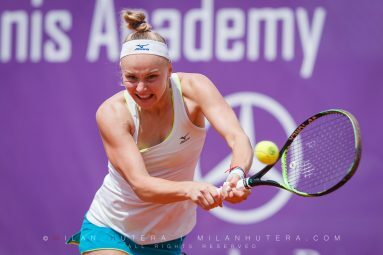 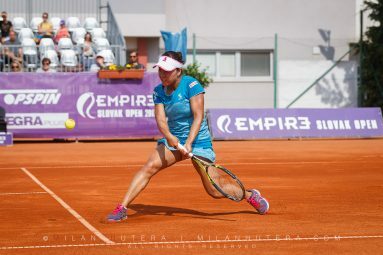 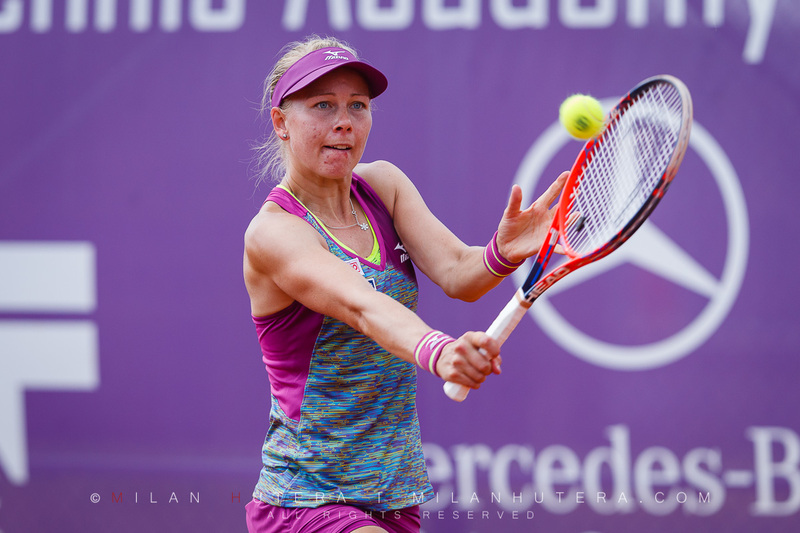 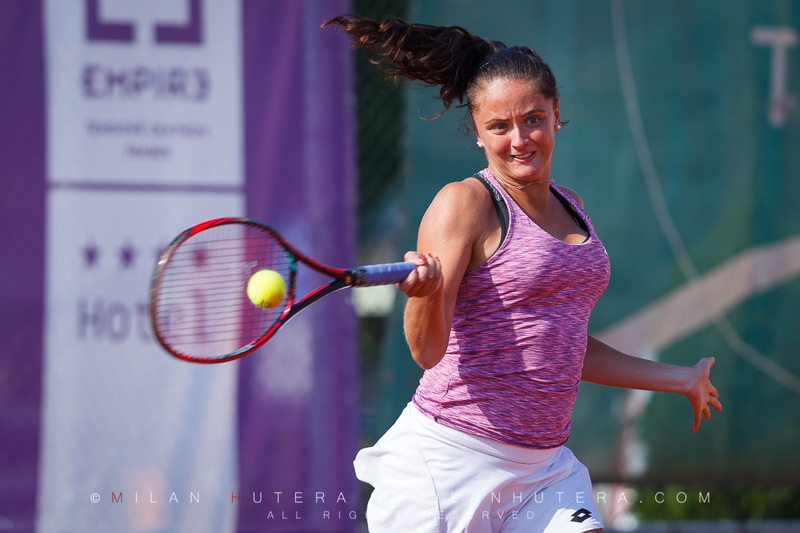 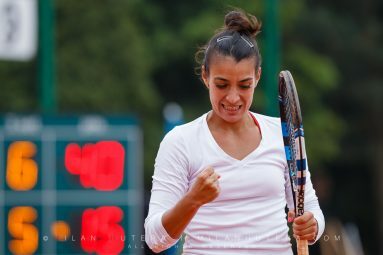 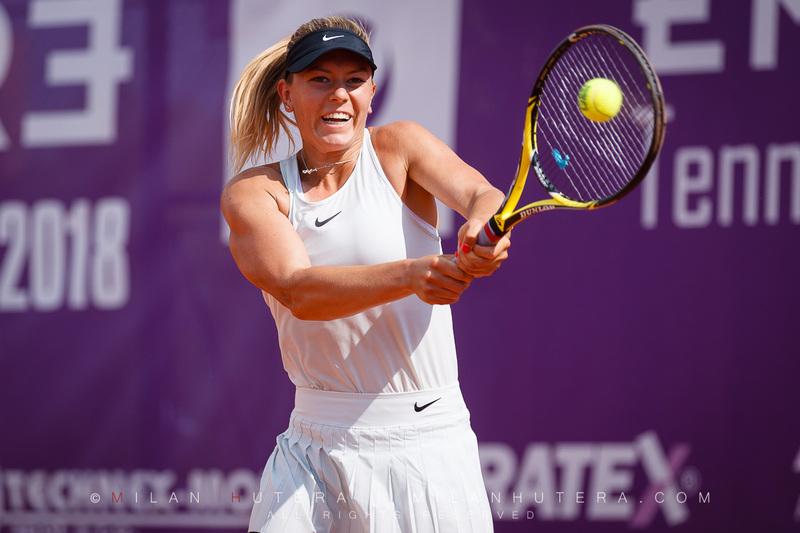 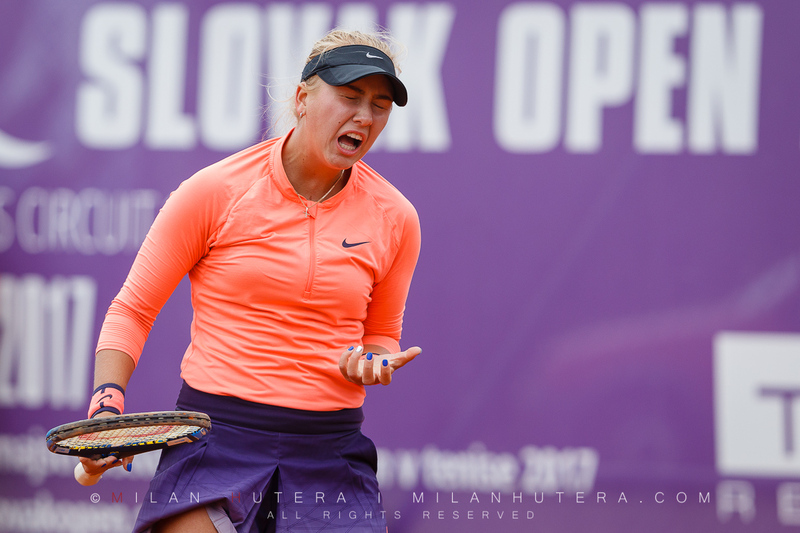 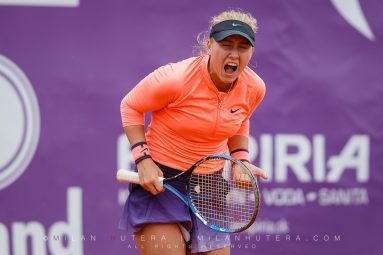 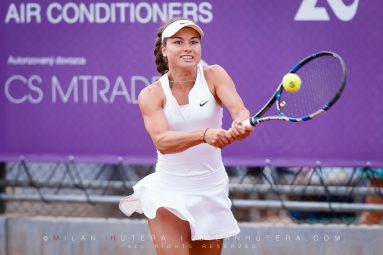 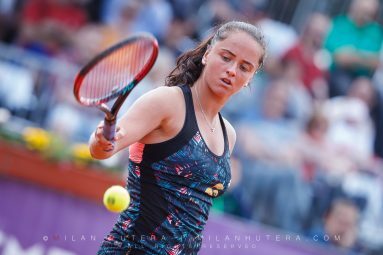 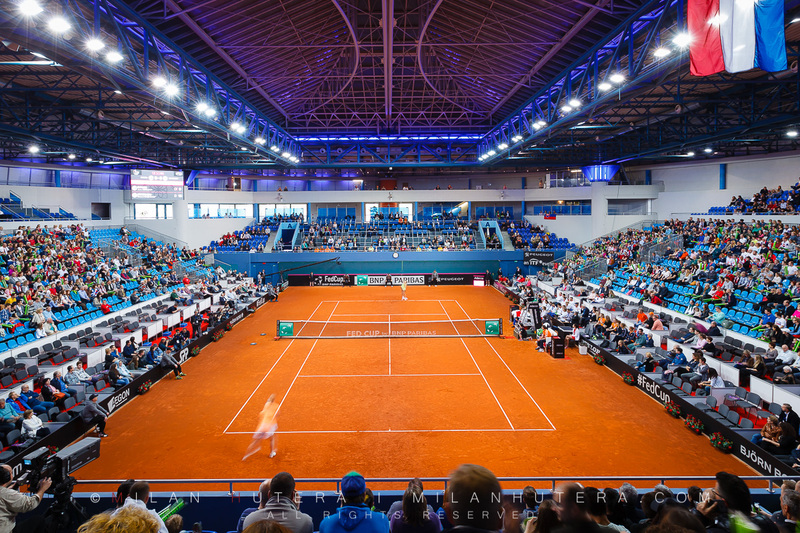 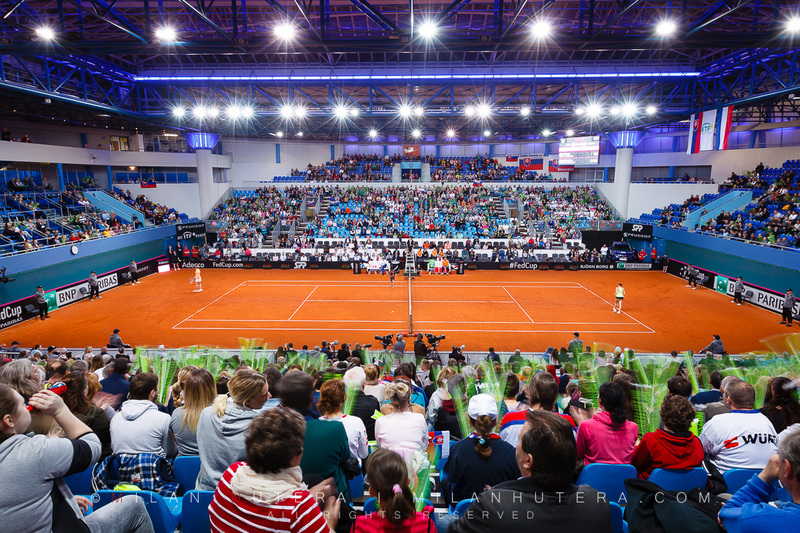 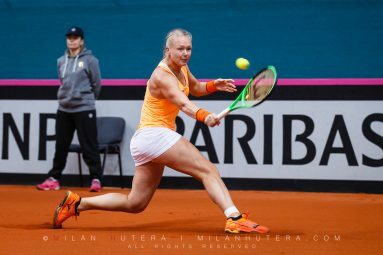 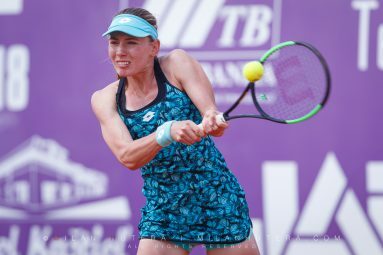 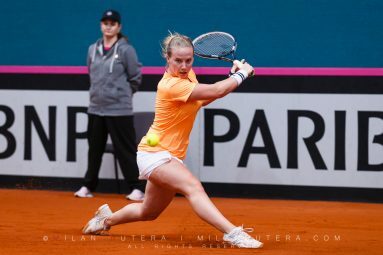 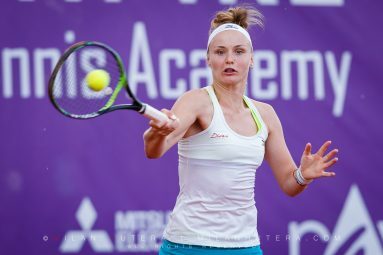 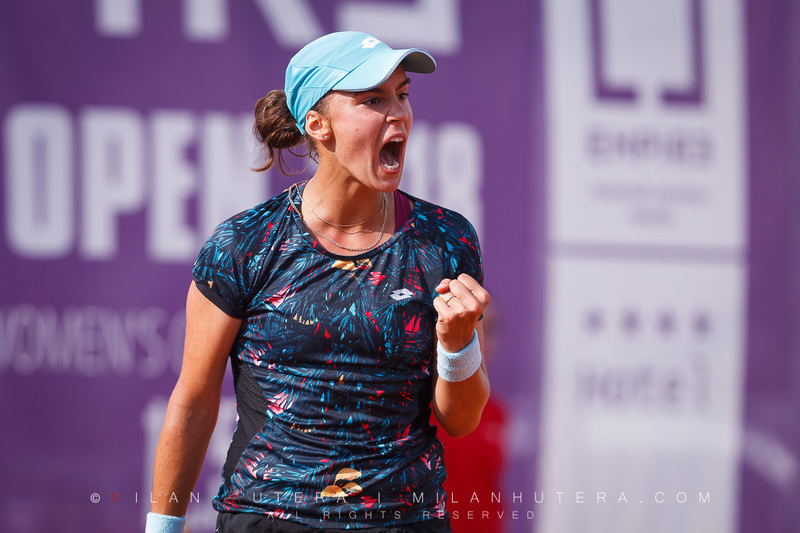 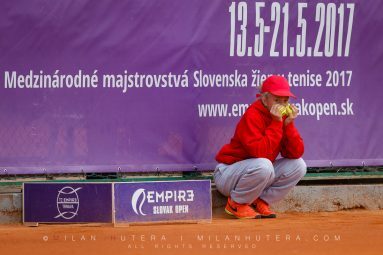 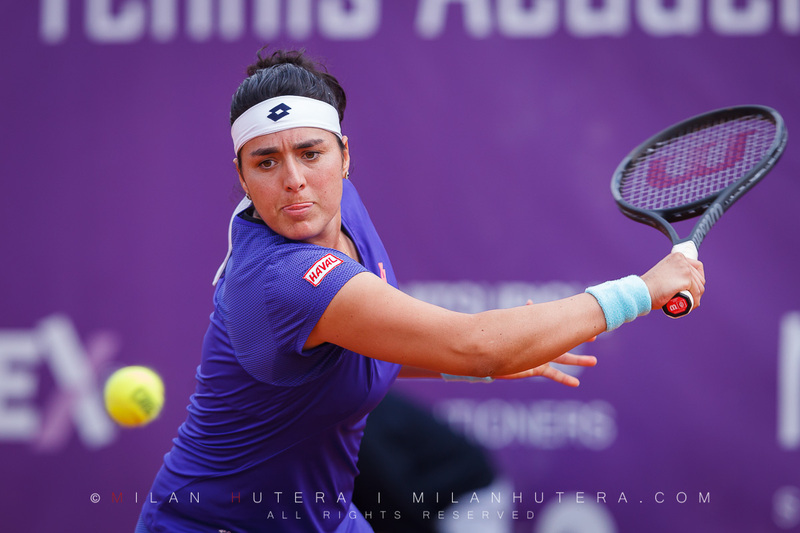 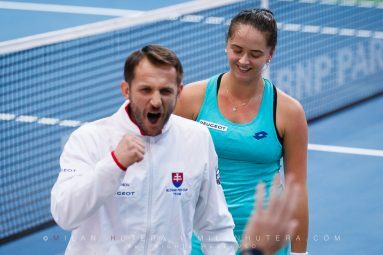 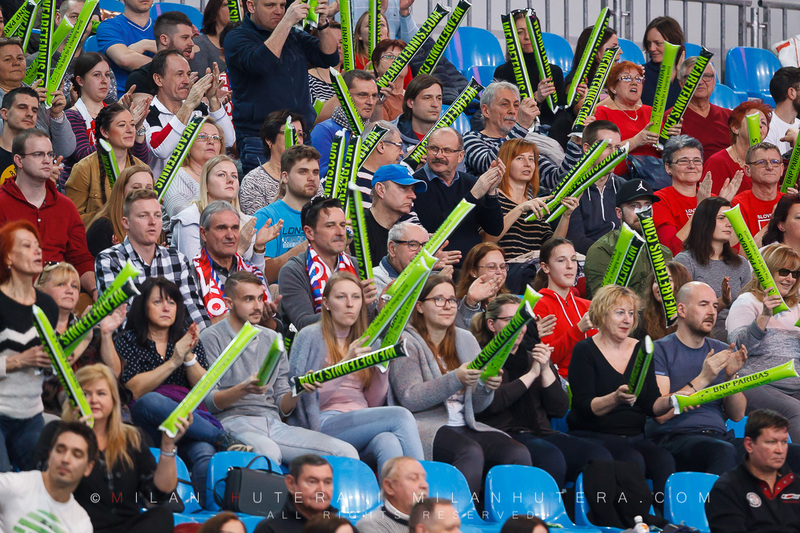 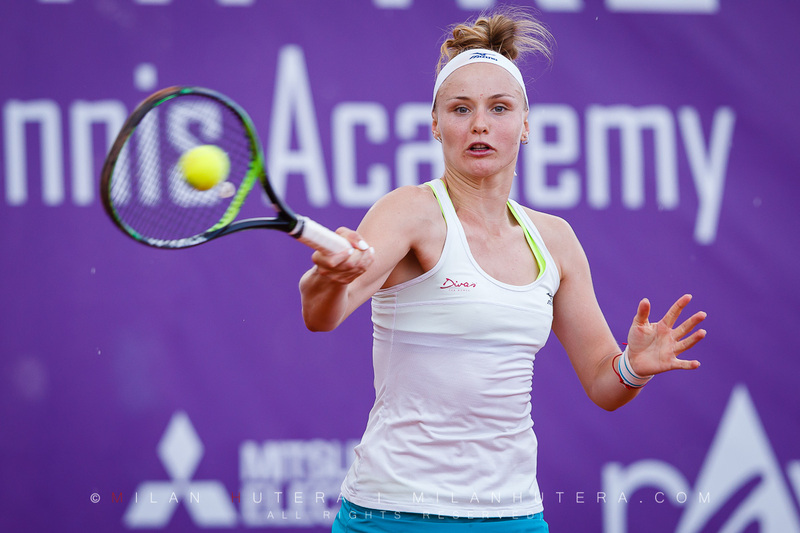 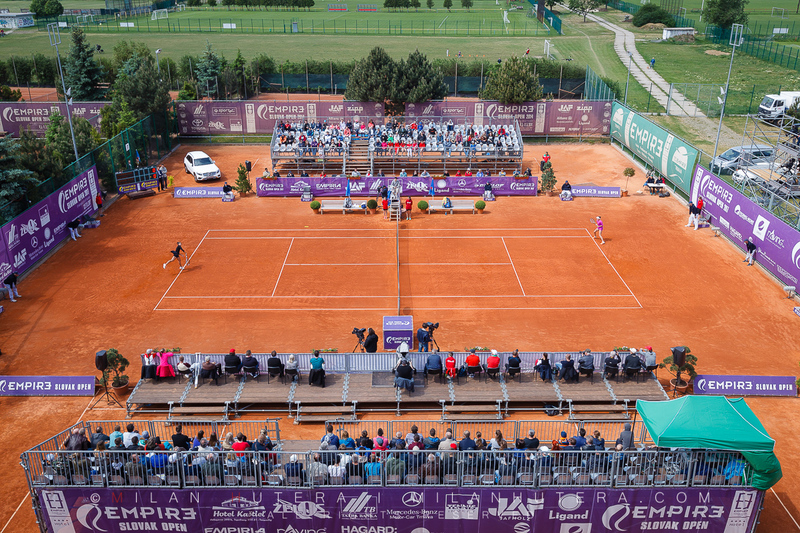 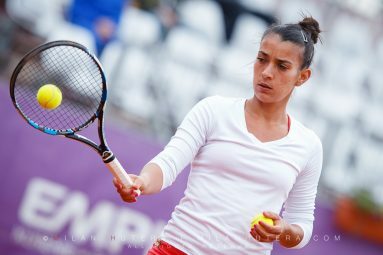 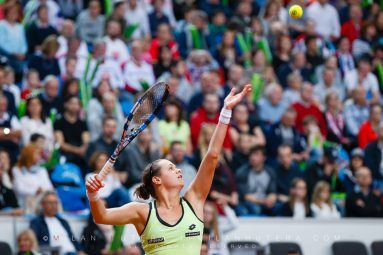 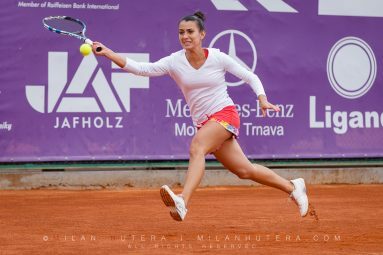 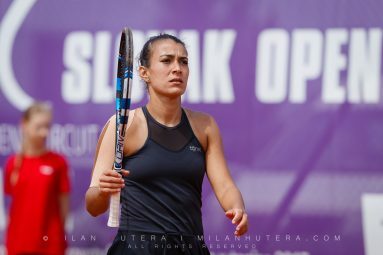 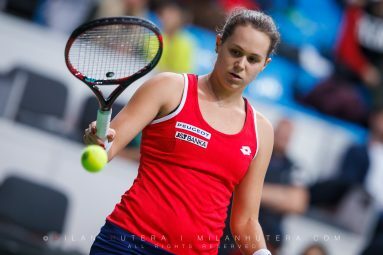 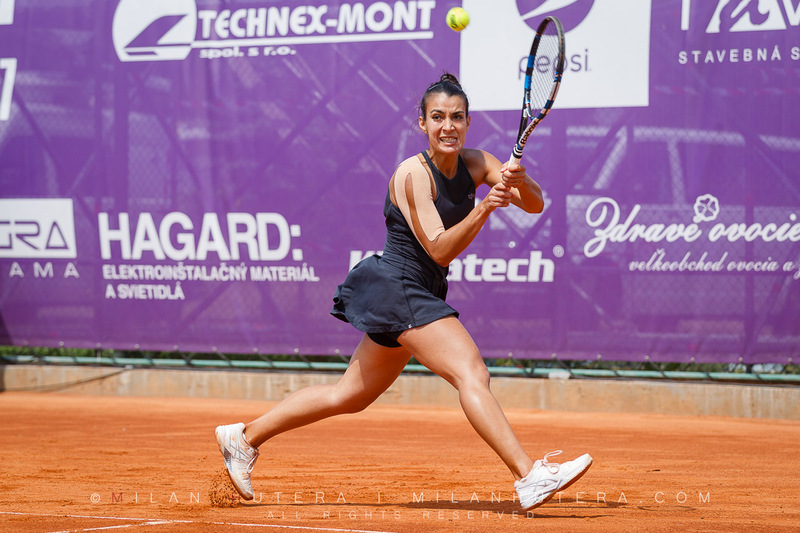 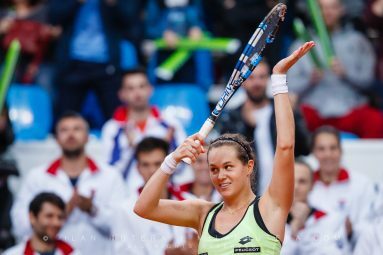 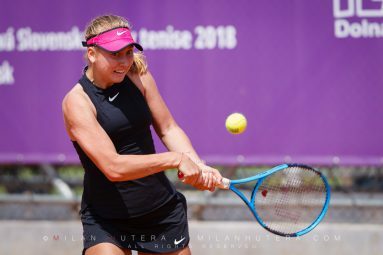 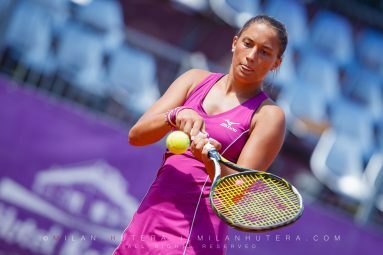 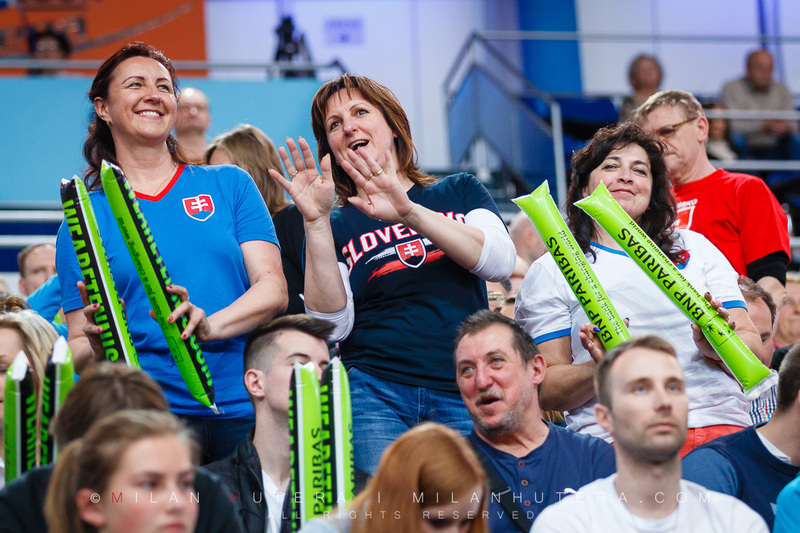 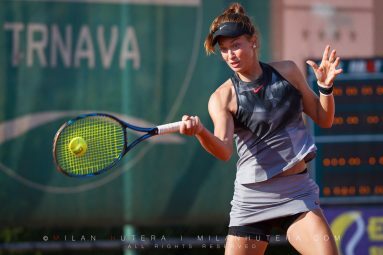 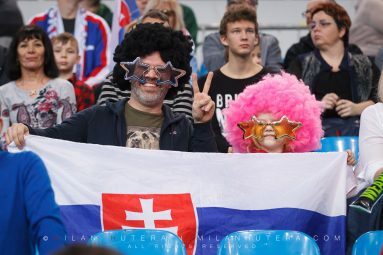 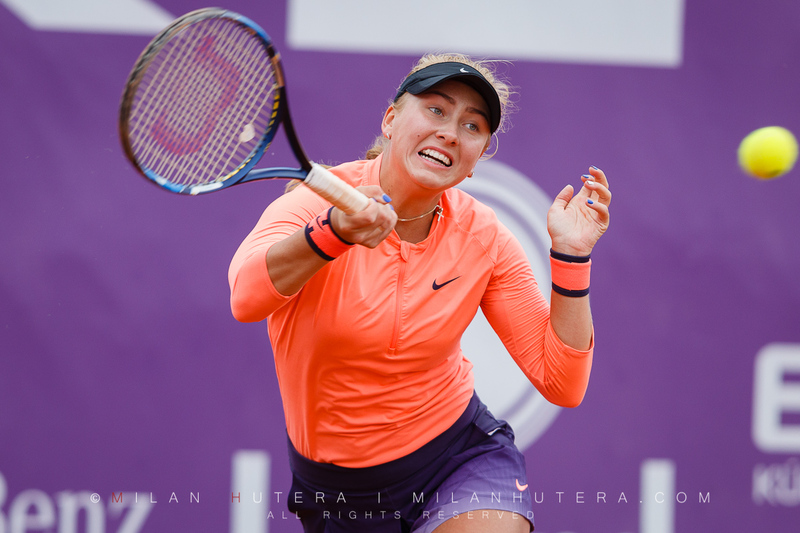 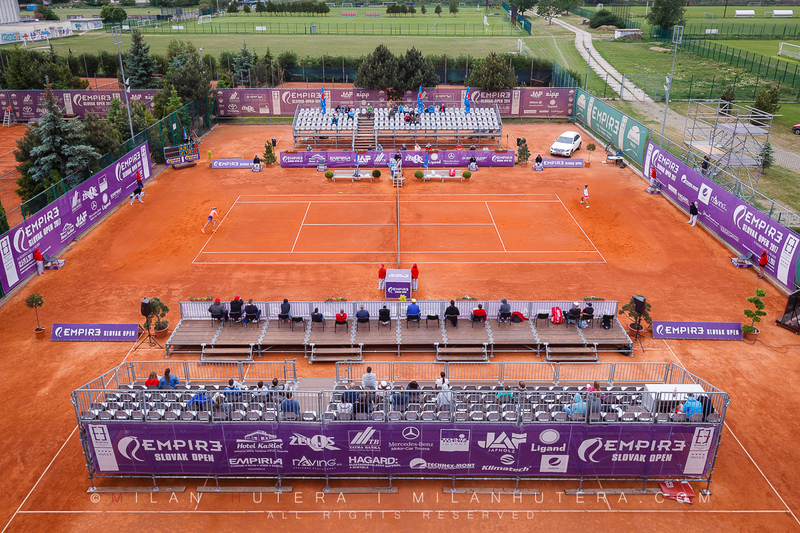 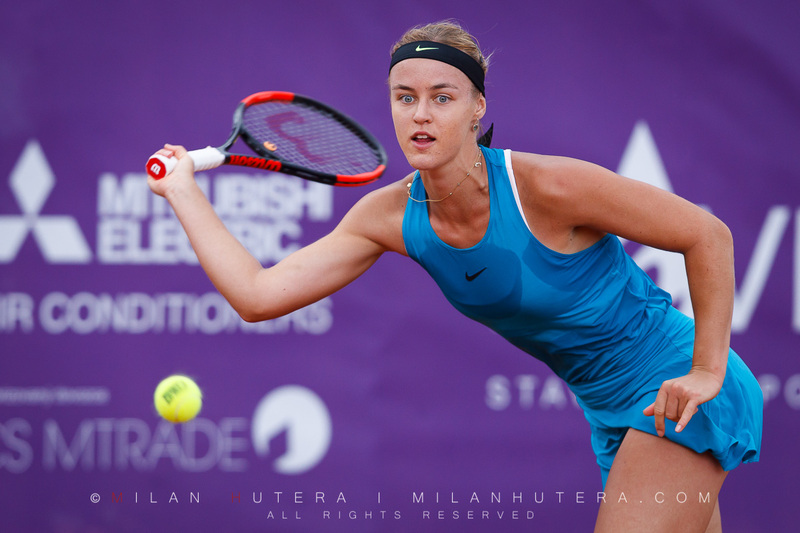 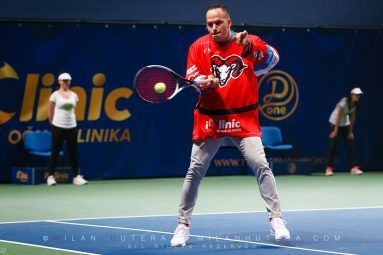 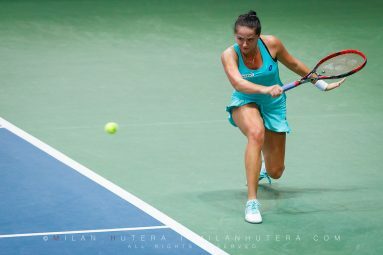 Empire Slovak Open 2017 – the largest women’s tennis tournament is Slovakia saw some amazing battles. 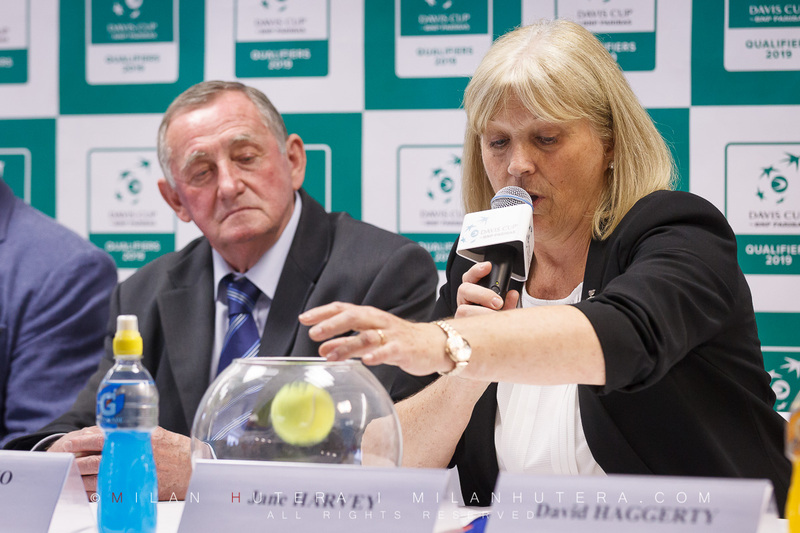 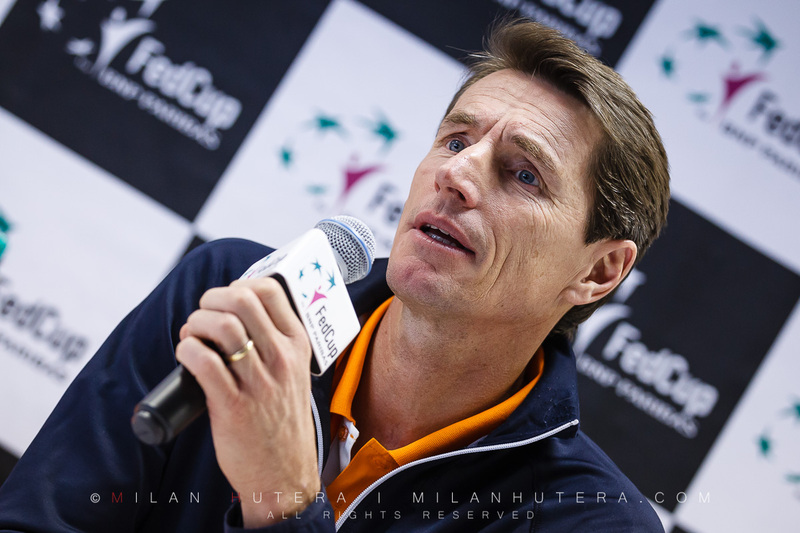 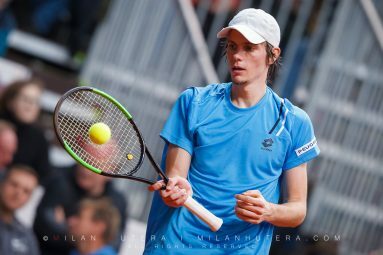 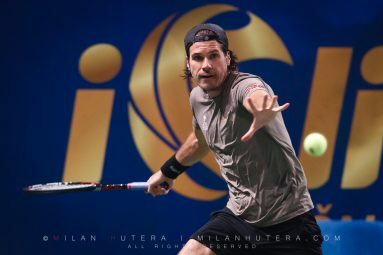 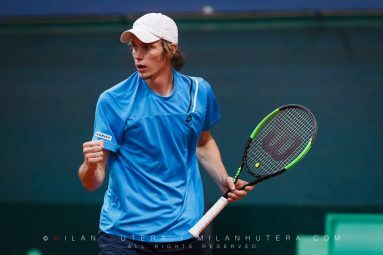 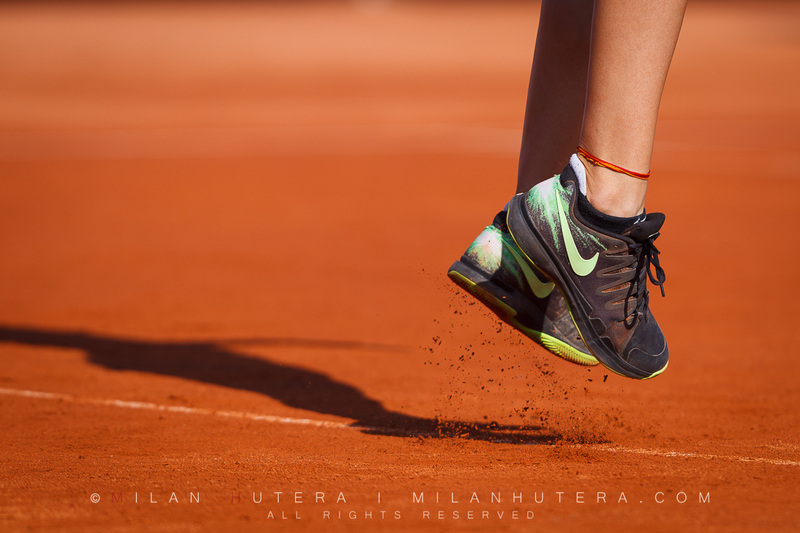 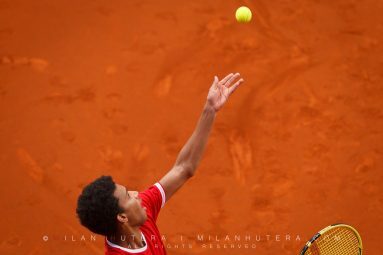 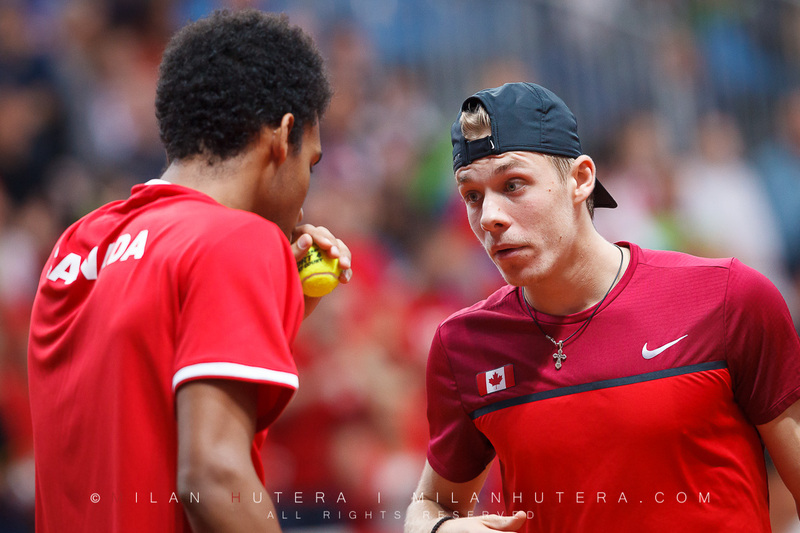 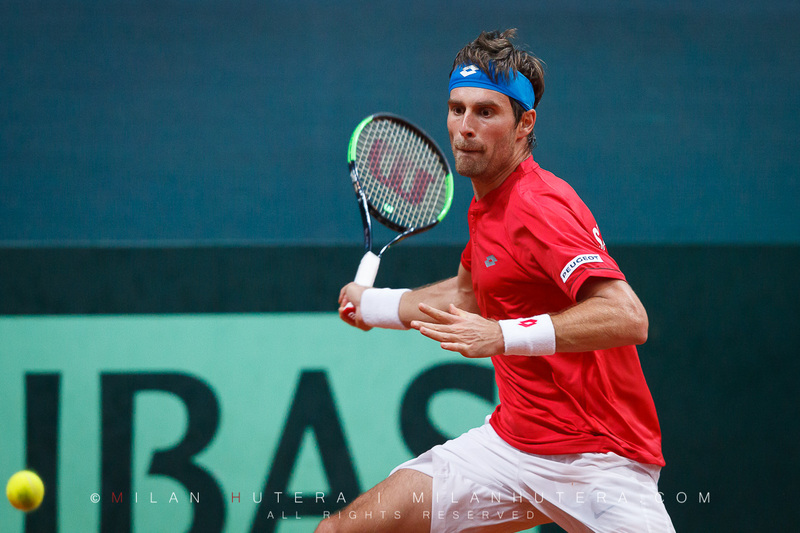 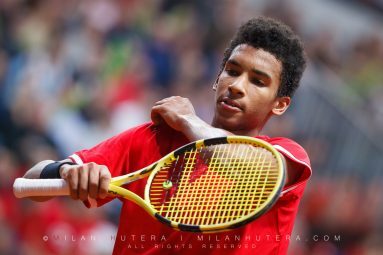 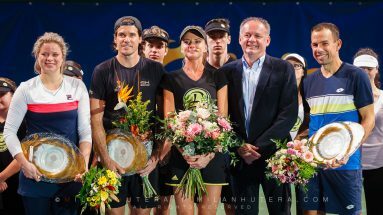 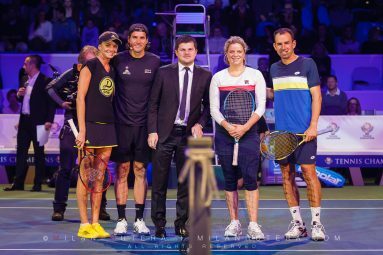 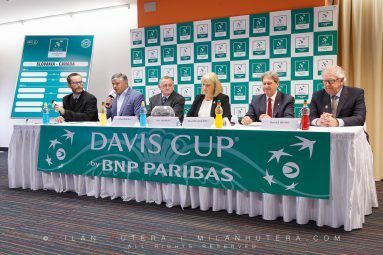 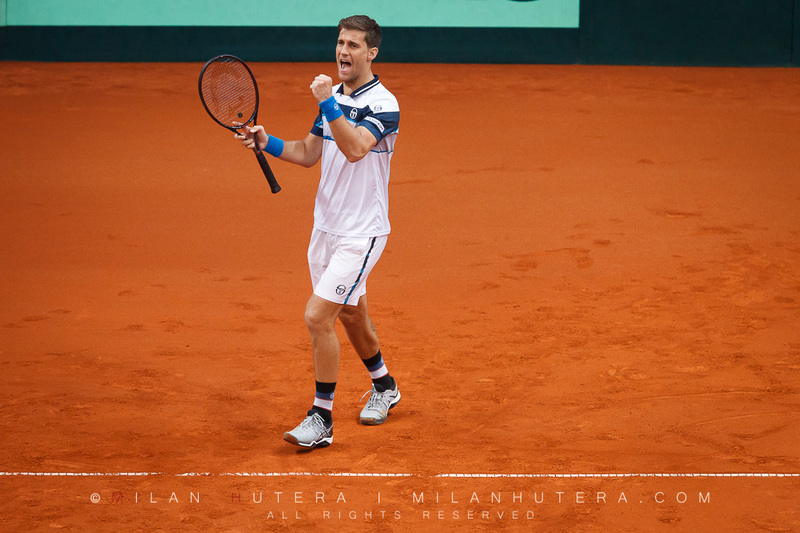 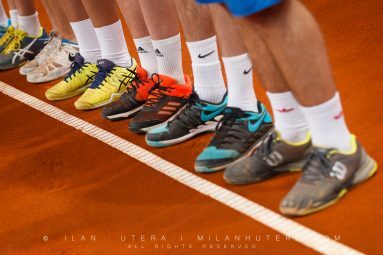 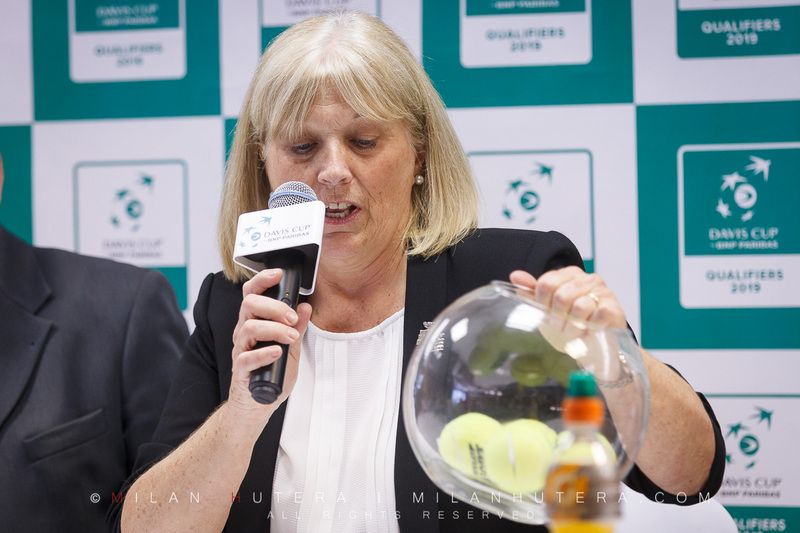 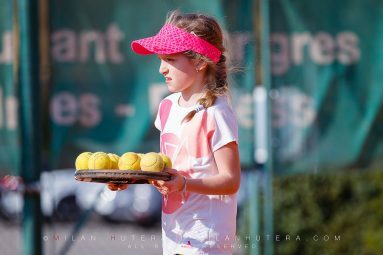 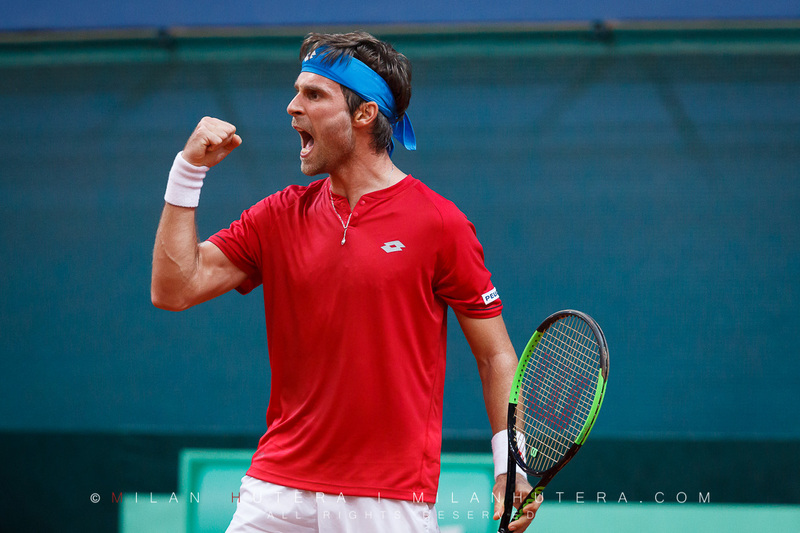 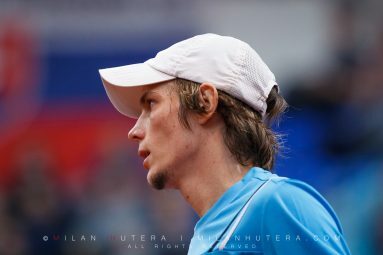 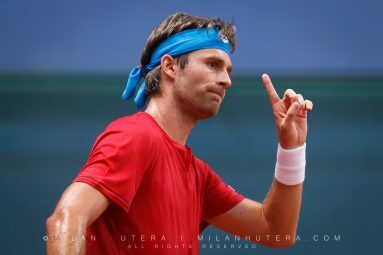 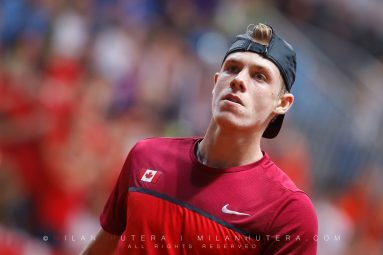 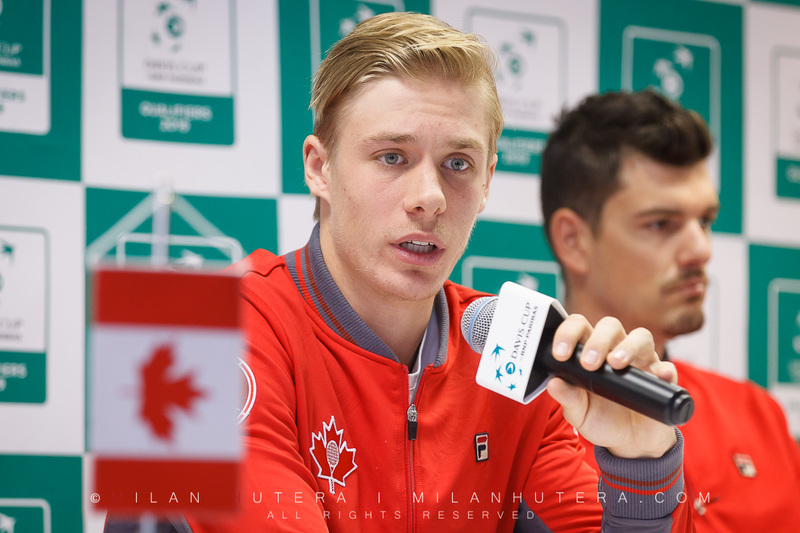 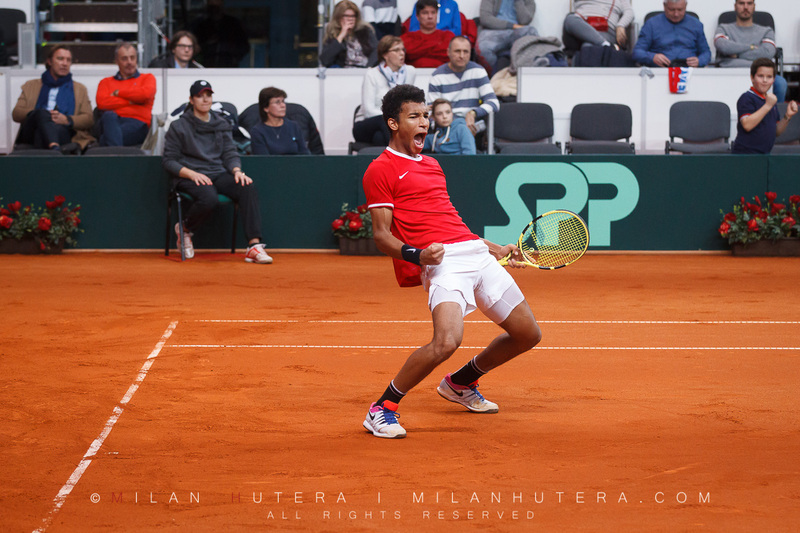 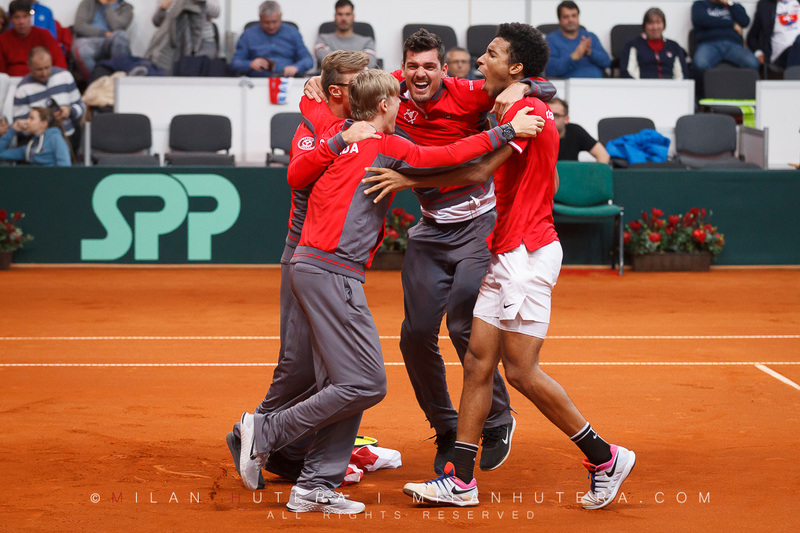 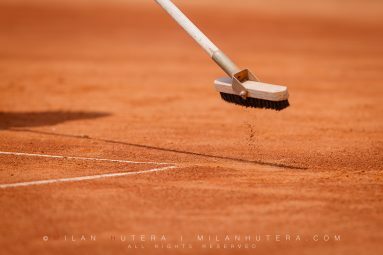 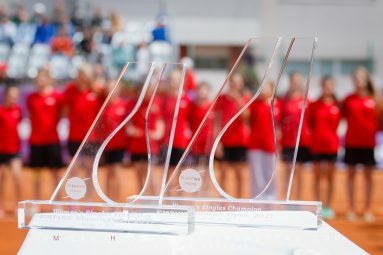 This ITF Event with the prize money of 100 000 dollars is often a lauching pad in the careers of young tennis players. 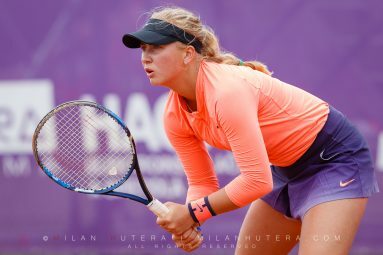 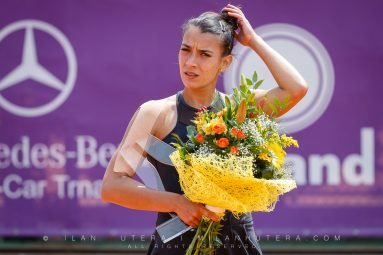 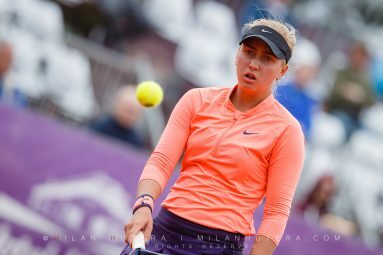 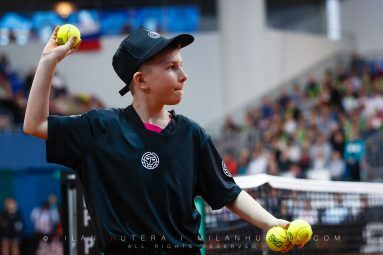 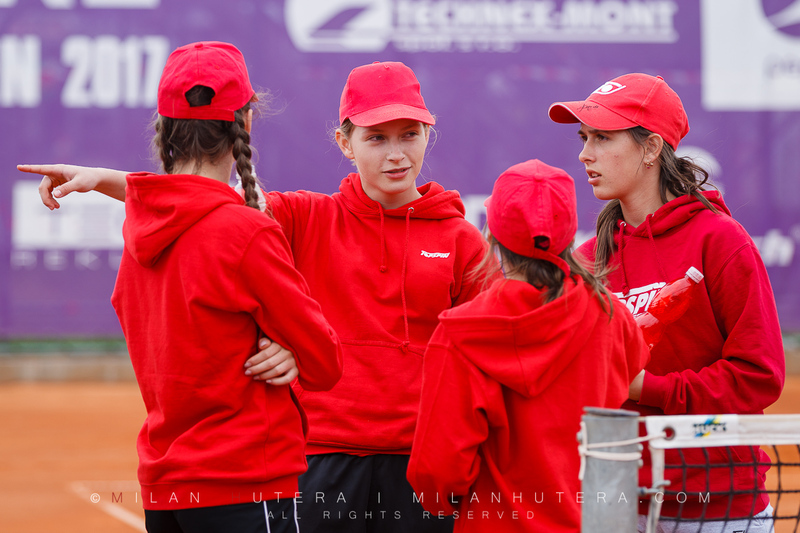 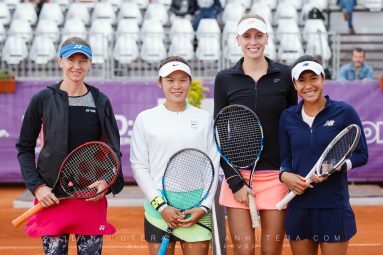 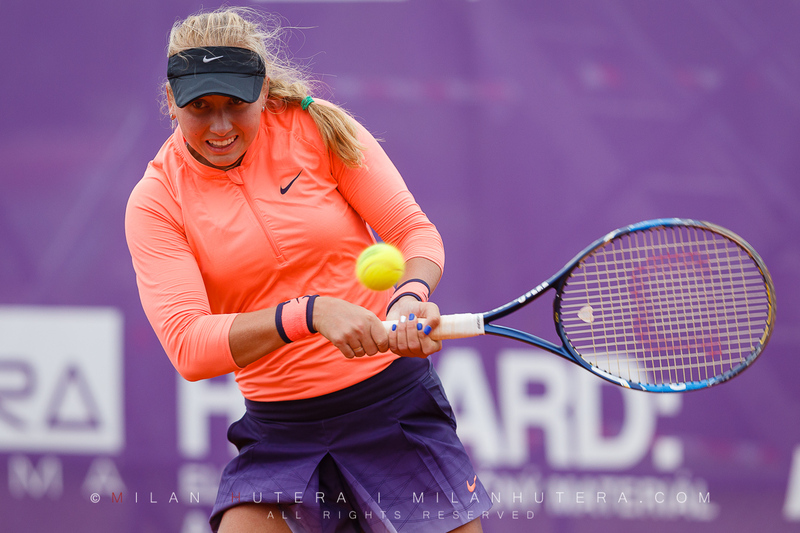 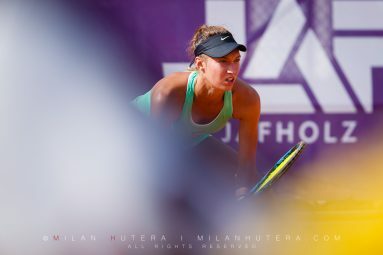 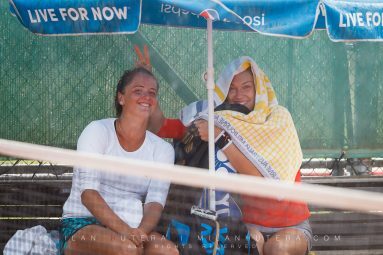 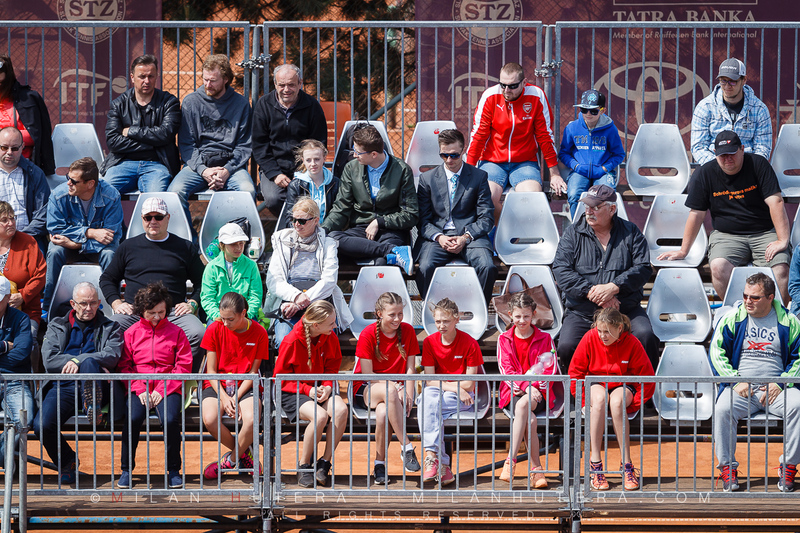 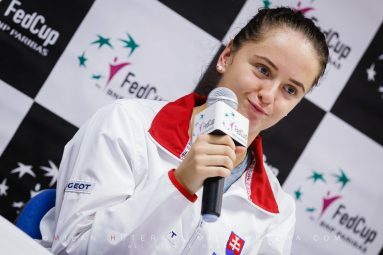 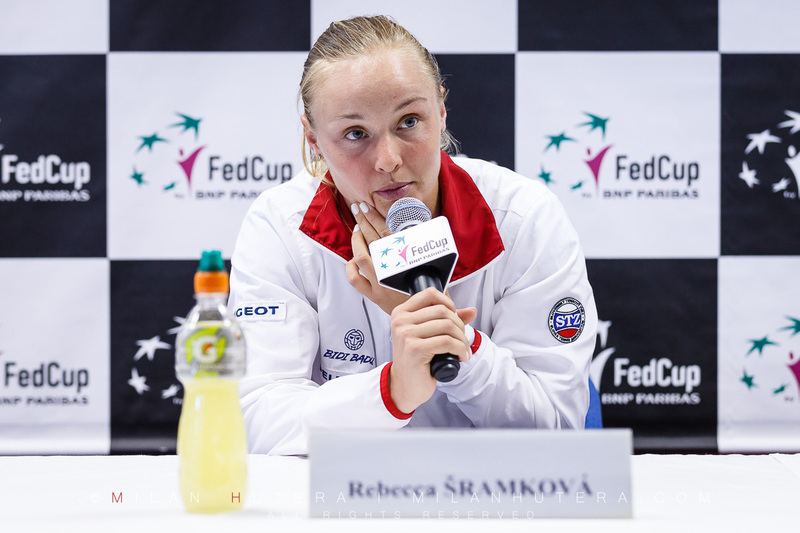 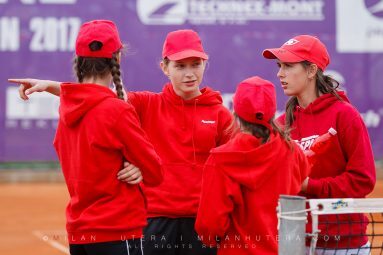 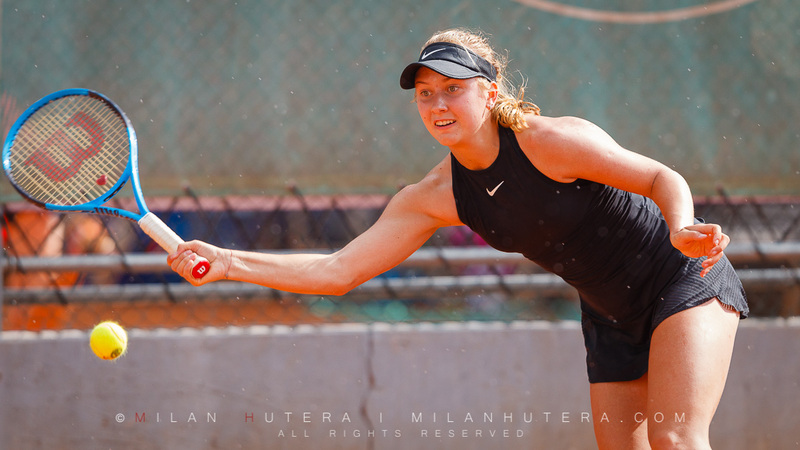 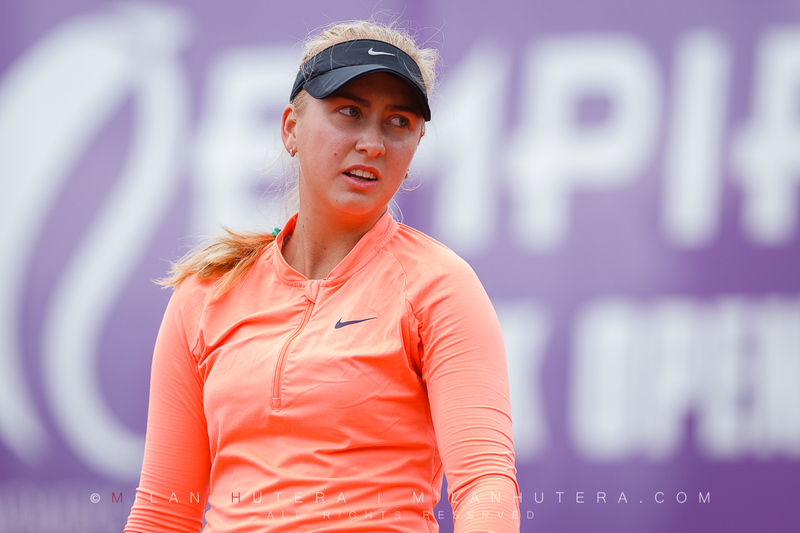 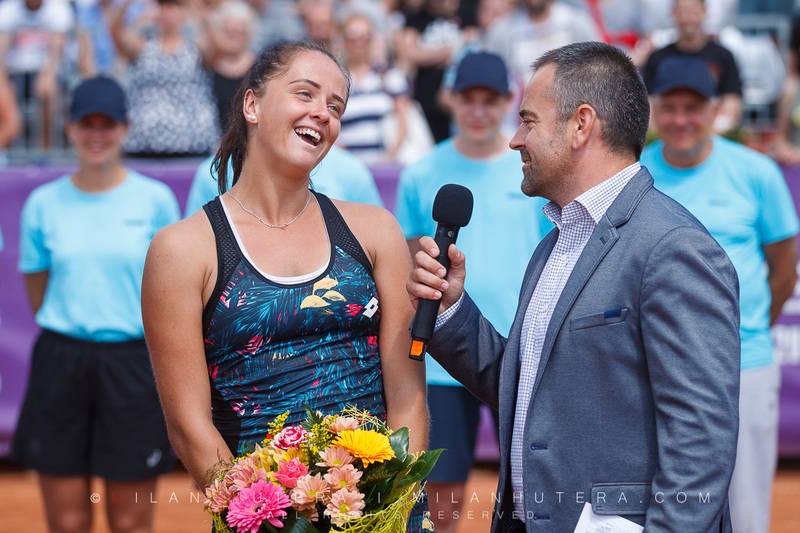 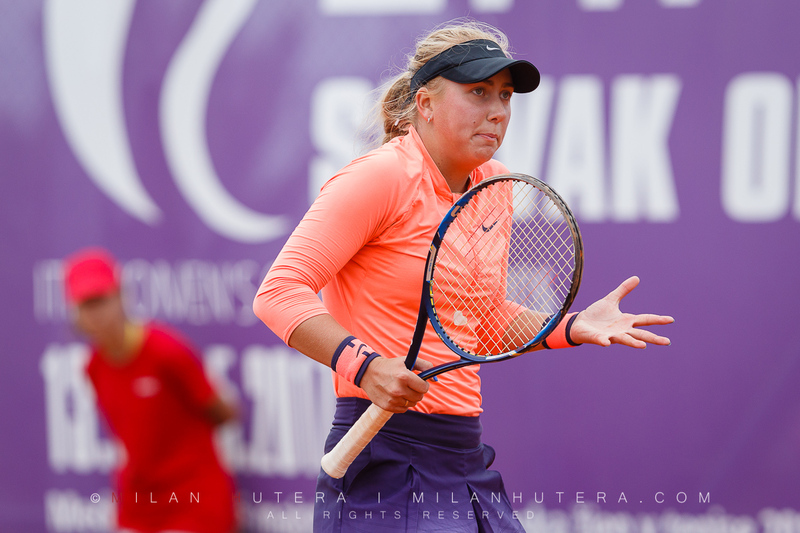 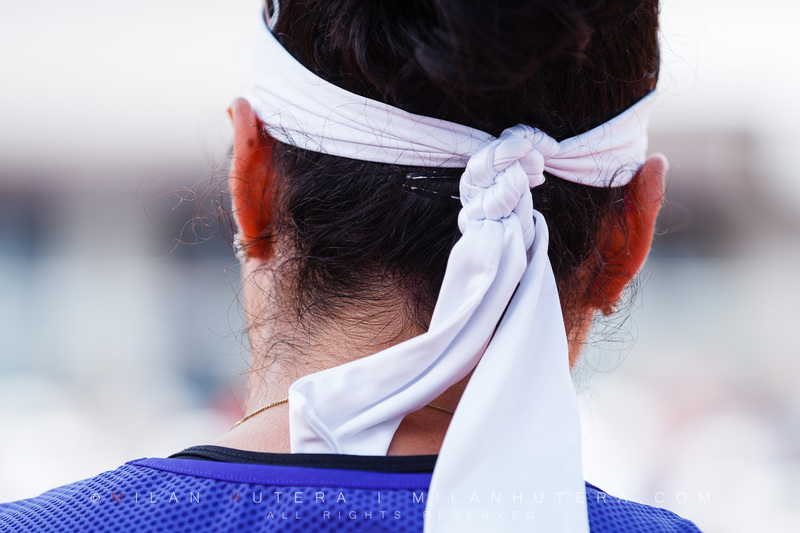 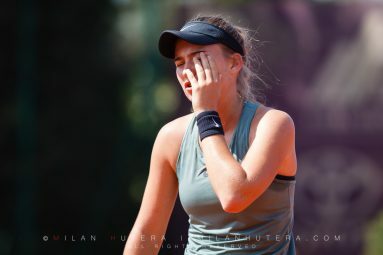 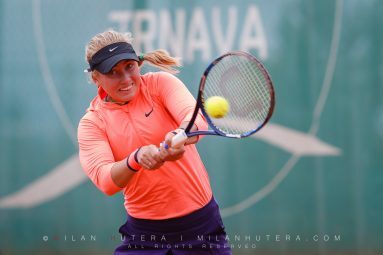 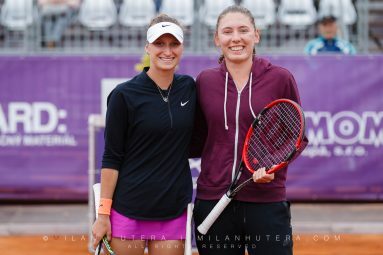 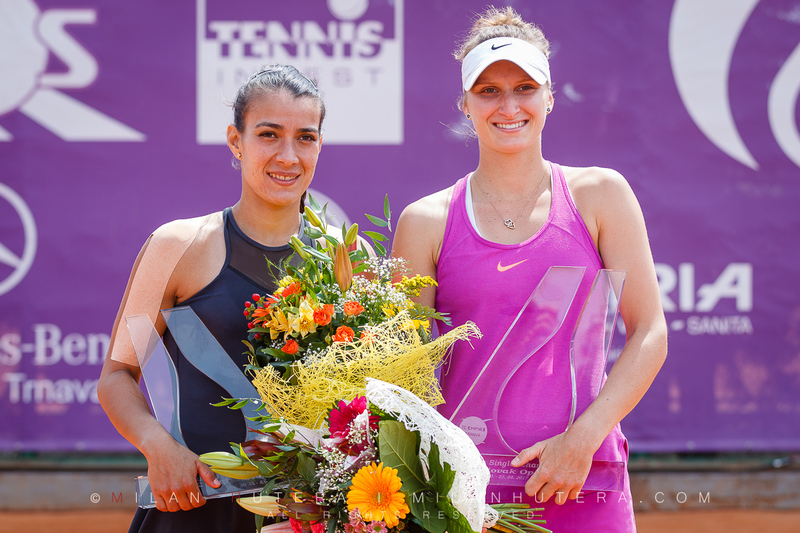 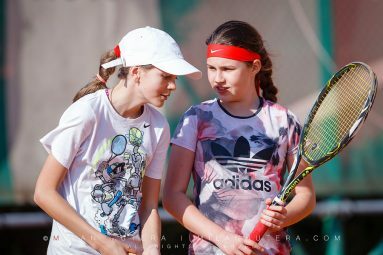 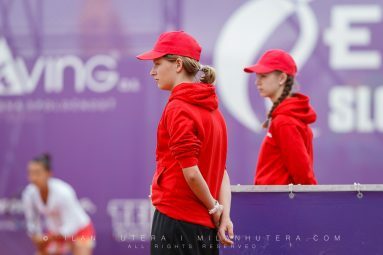 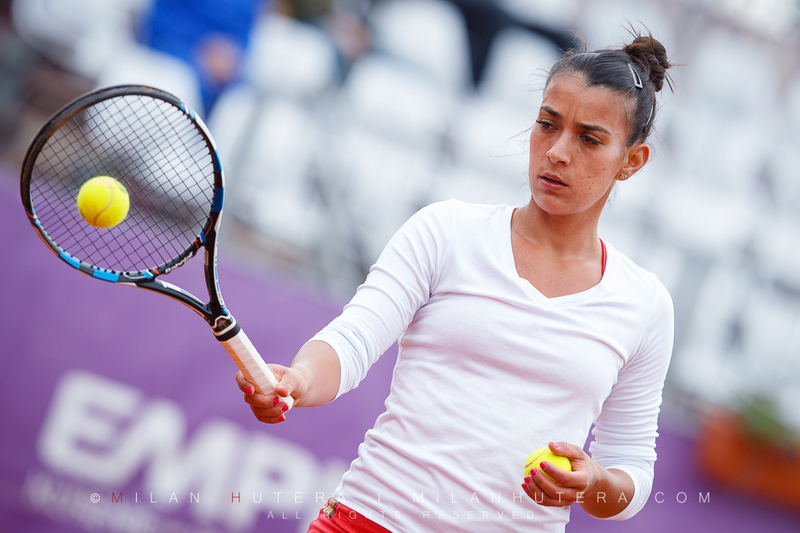 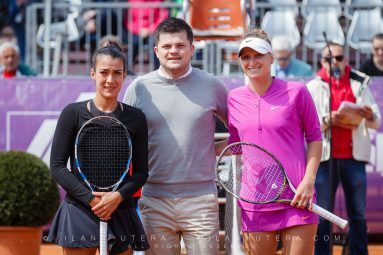 I believe this year we’ve seen the future superstars of women’s tennis in Trnava. 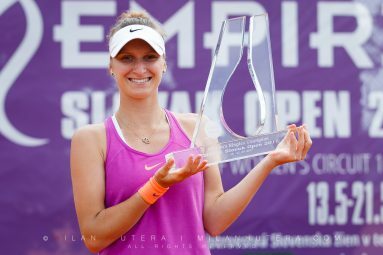 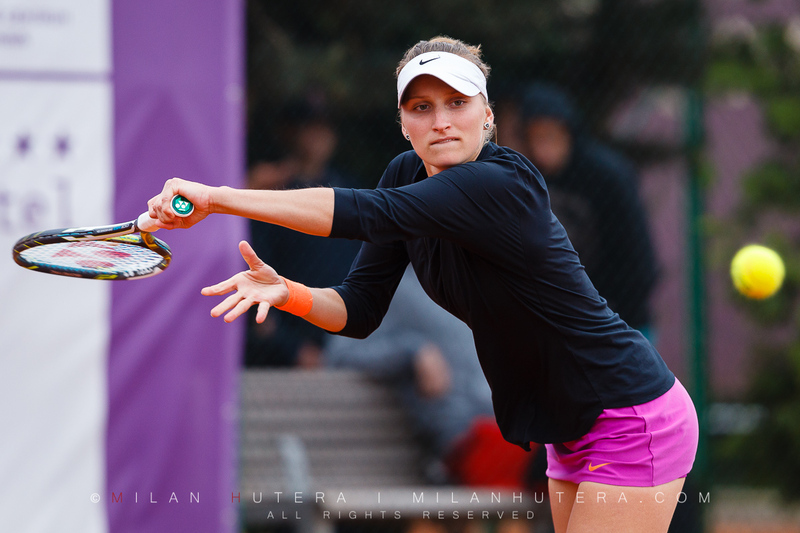 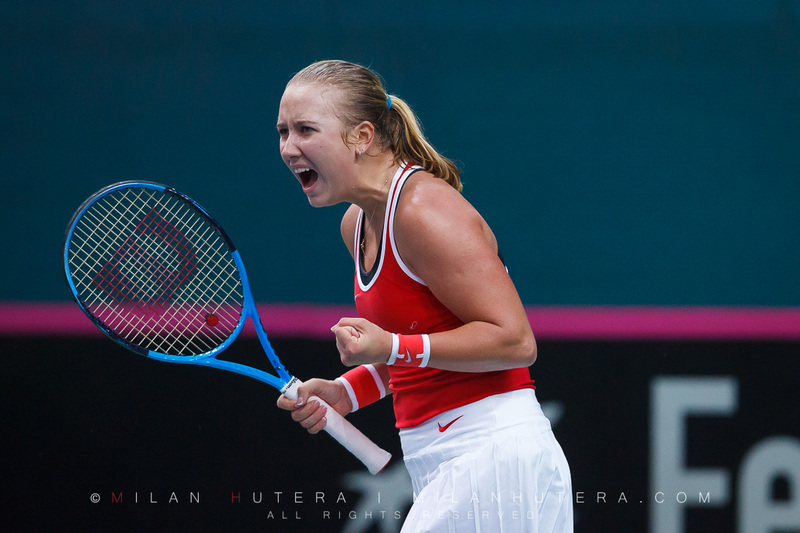 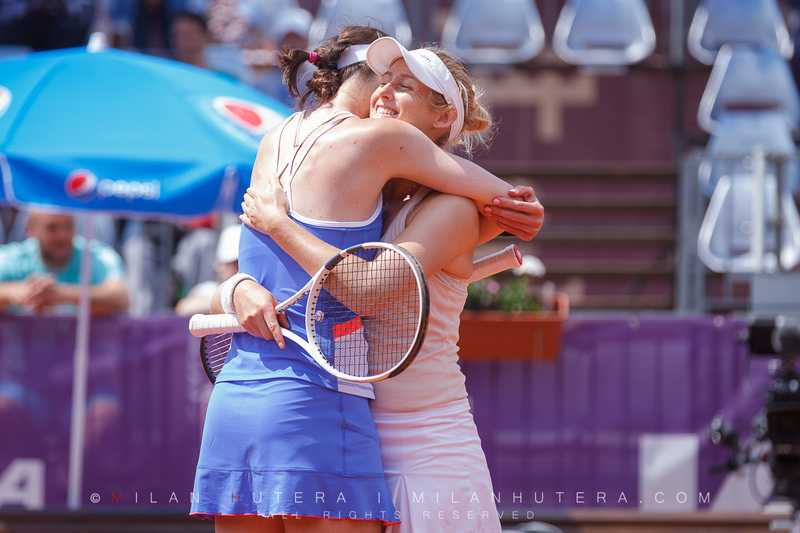 Marketa Vondrousova of Czech republic (17 years old) claimed the title, defeating Veronica Cepede Royg of Paraguay. 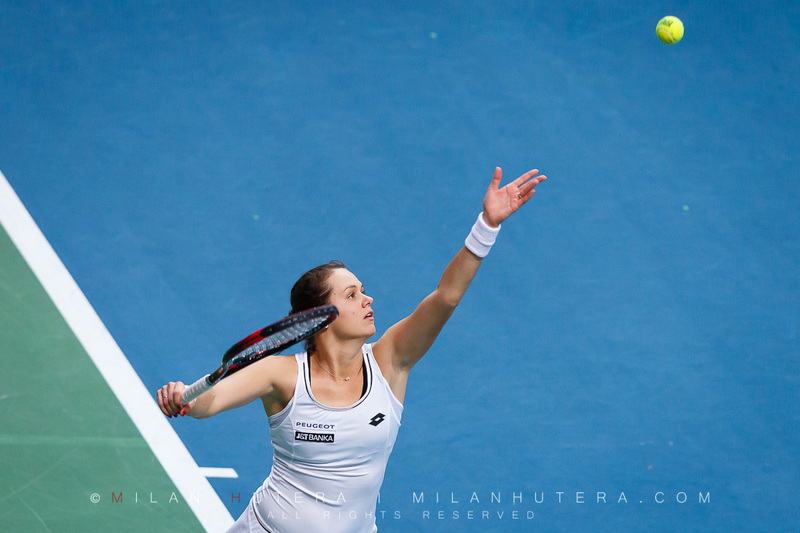 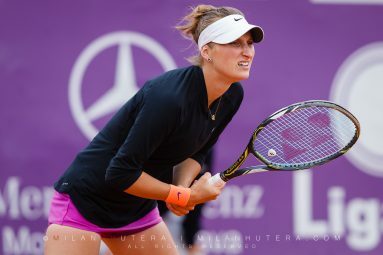 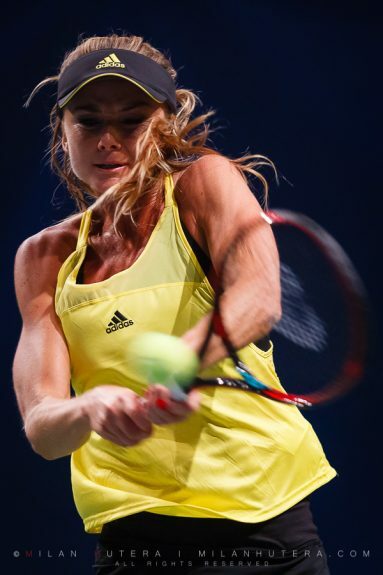 With this victory Marketa broke into Top 100 for the very first time and continued her impressive match record. 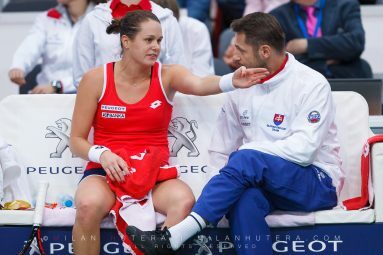 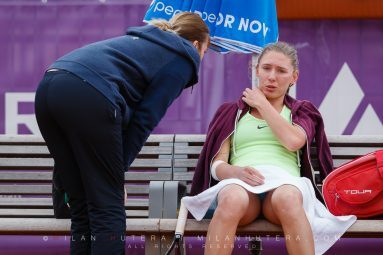 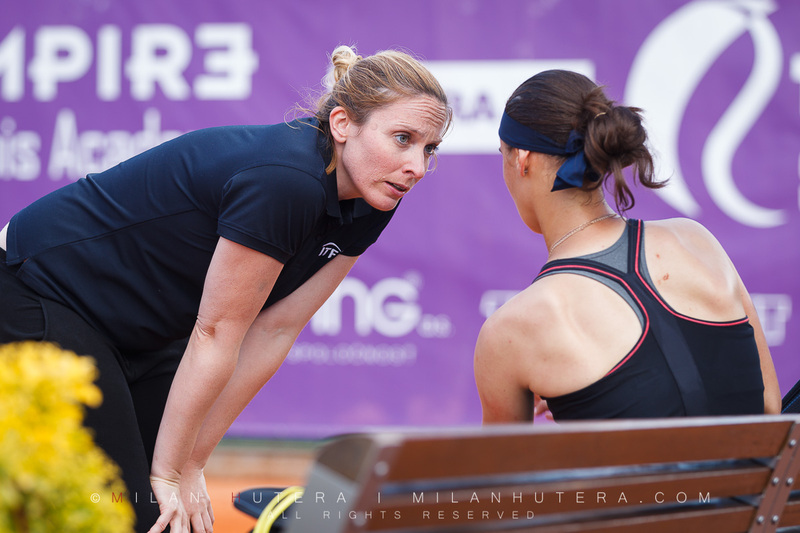 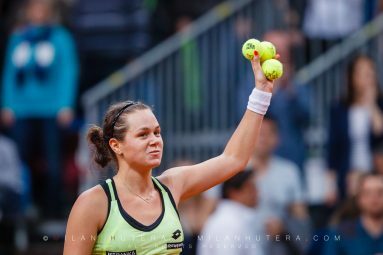 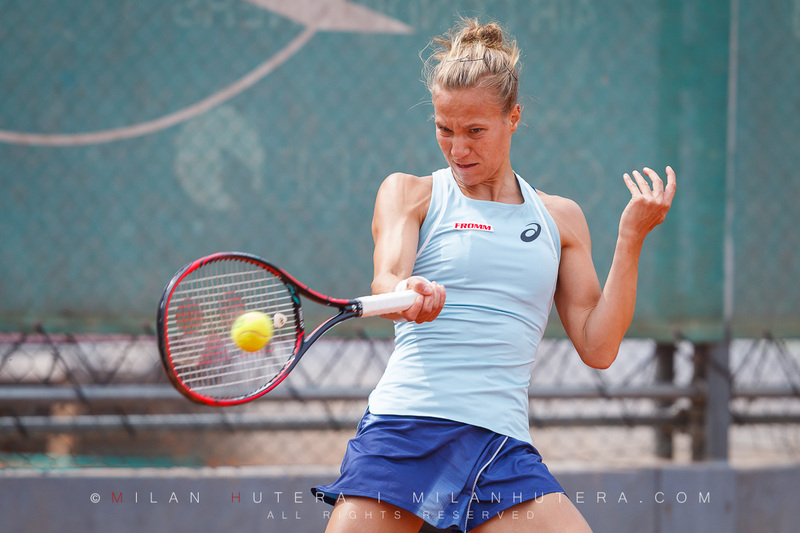 In the first 5 months of 2017, Marketa managed to win 47 matches and recorded only 6 loses. 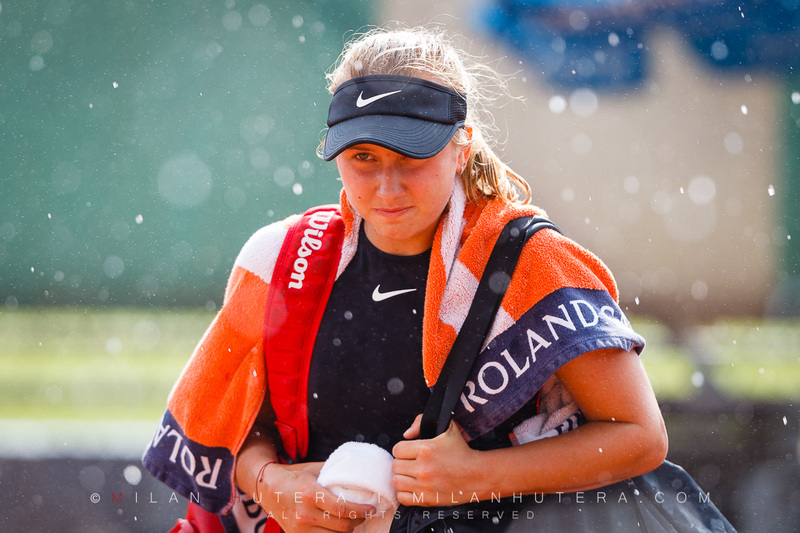 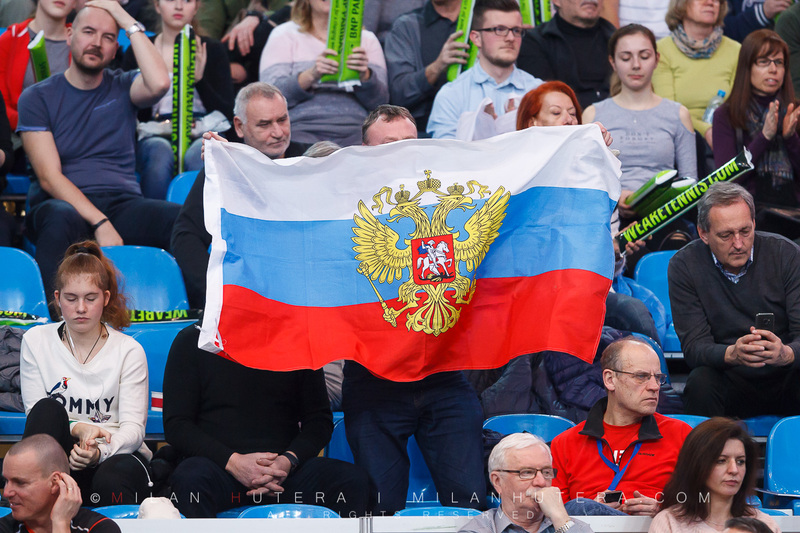 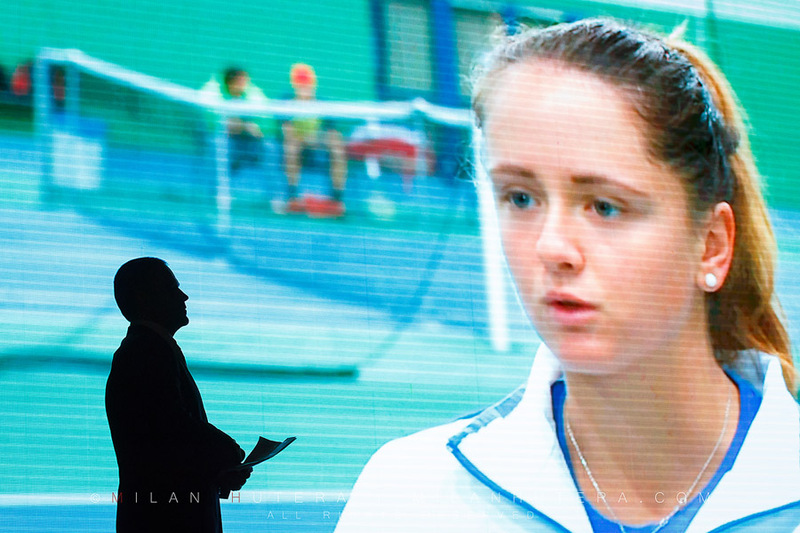 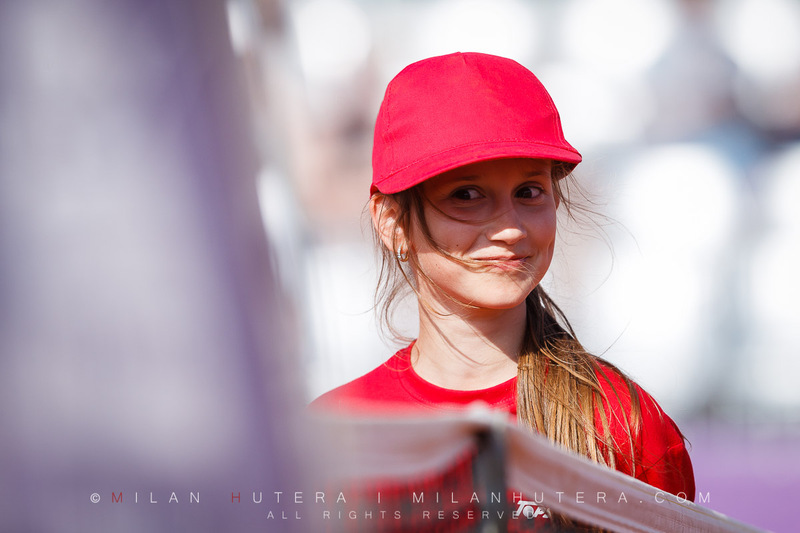 Anastasia Potapova of Russia (16 years old), who is currently the Junior number one, made another notable appearance. 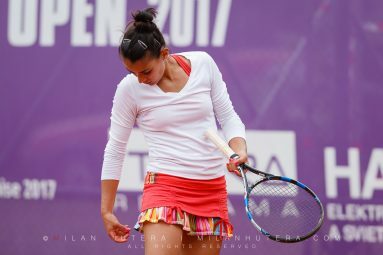 She lost to Cepede Royg in a very close semifinal match. 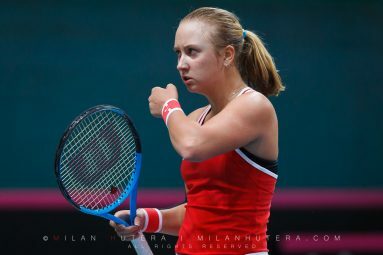 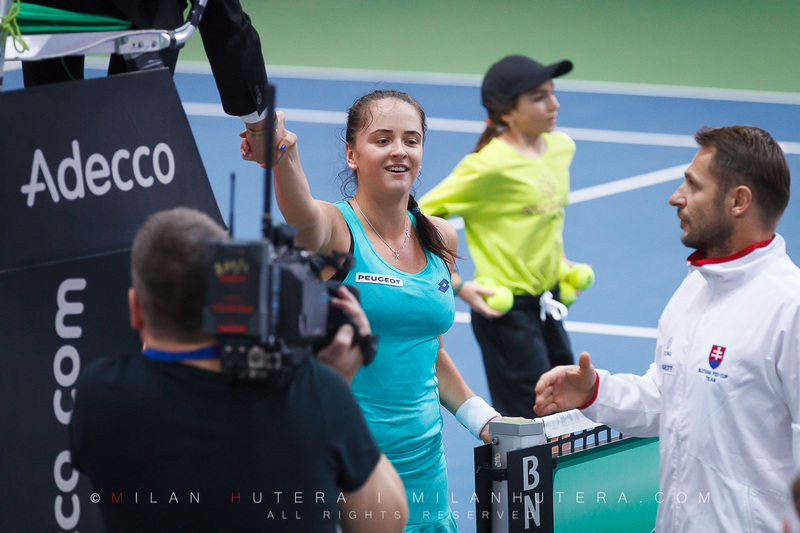 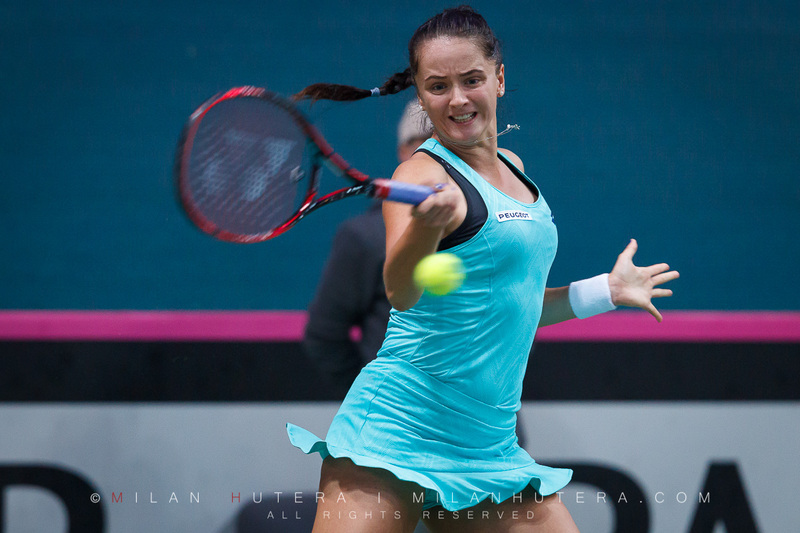 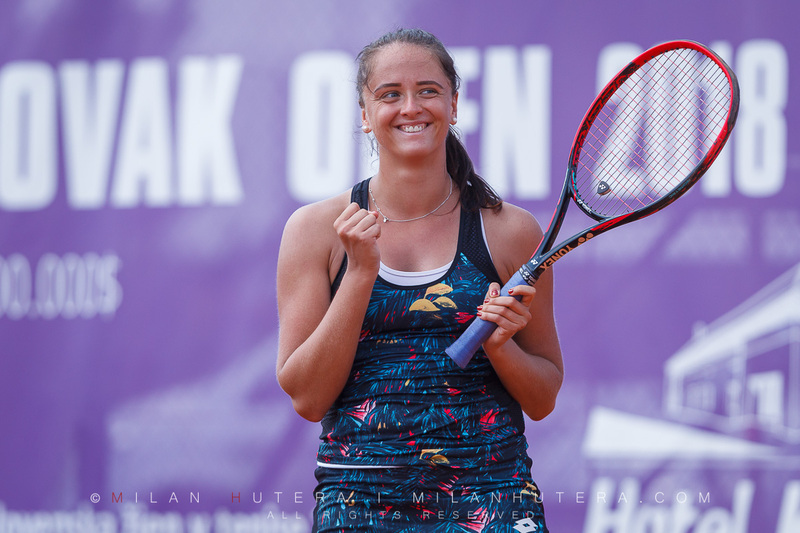 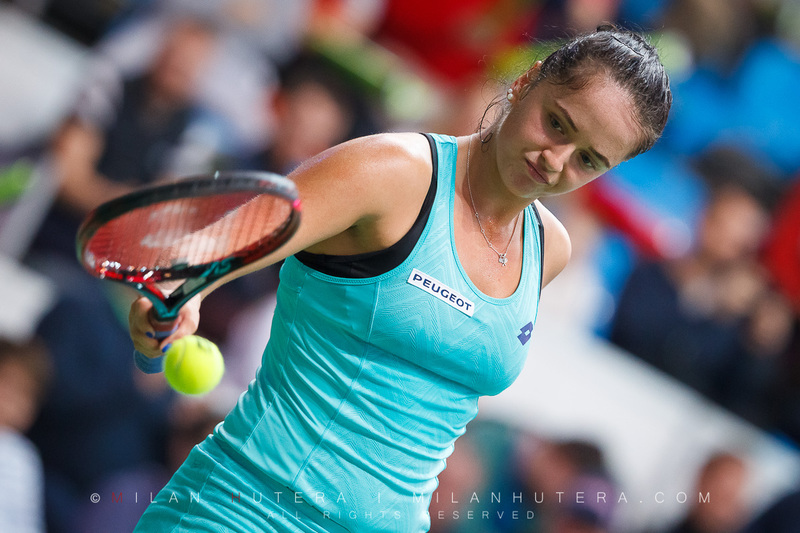 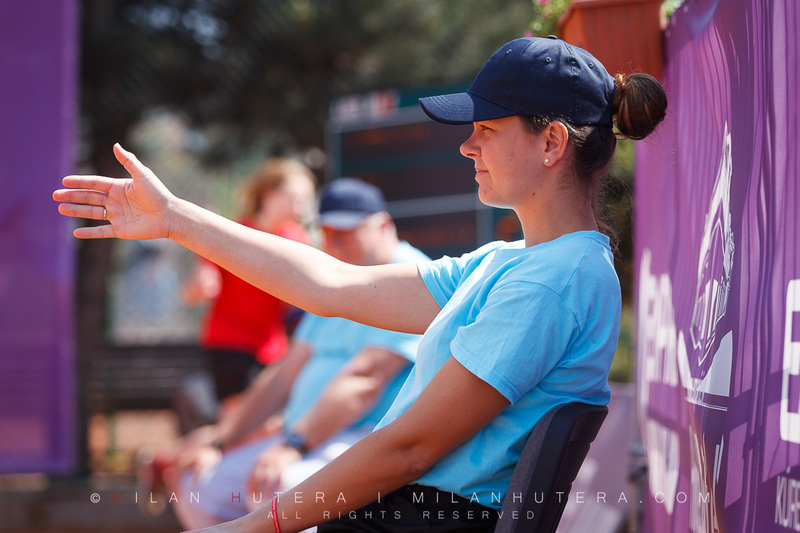 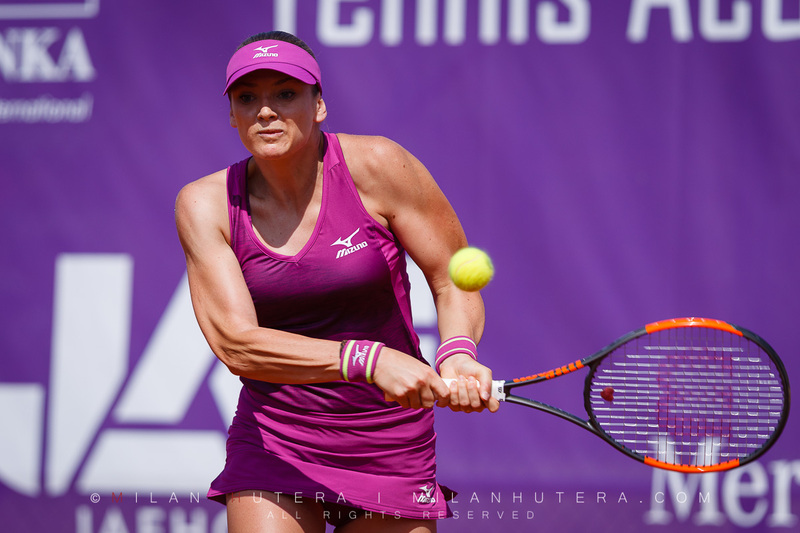 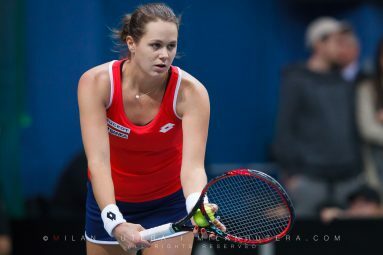 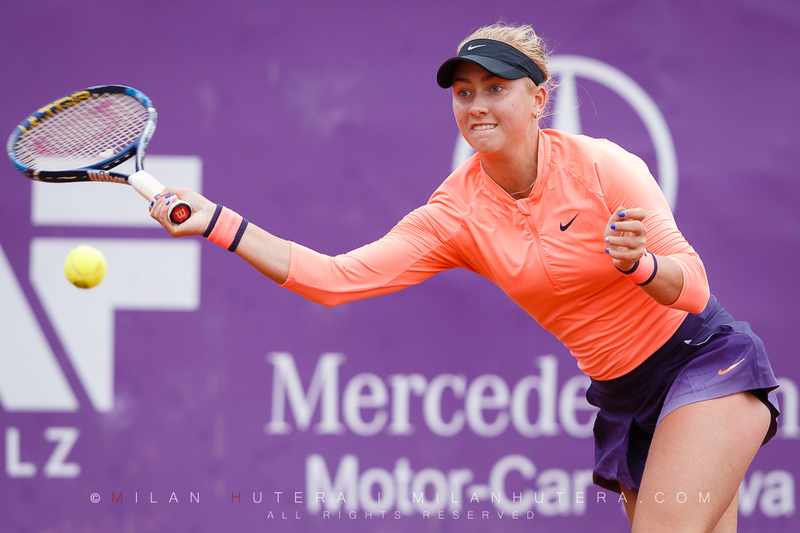 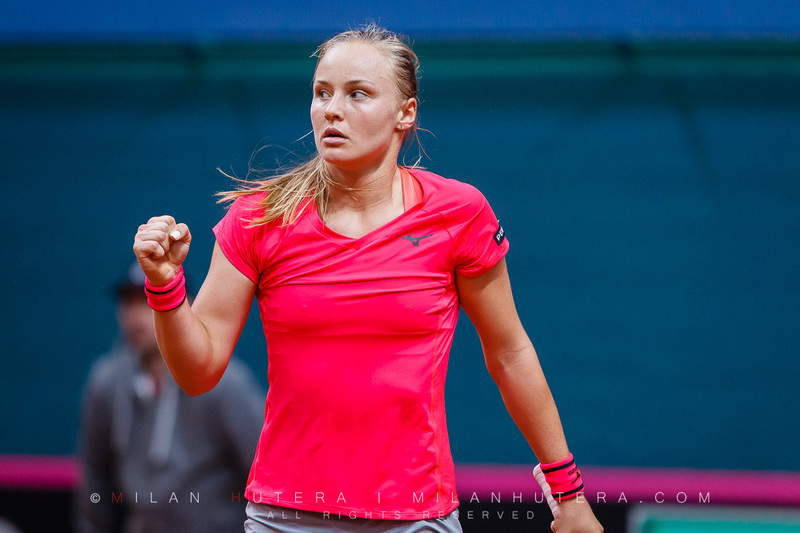 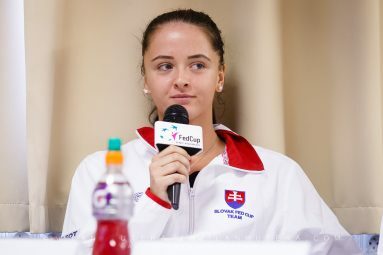 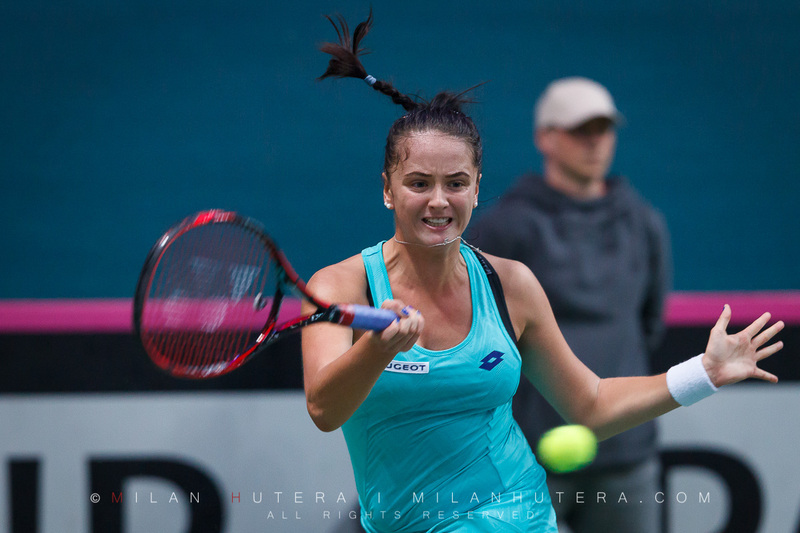 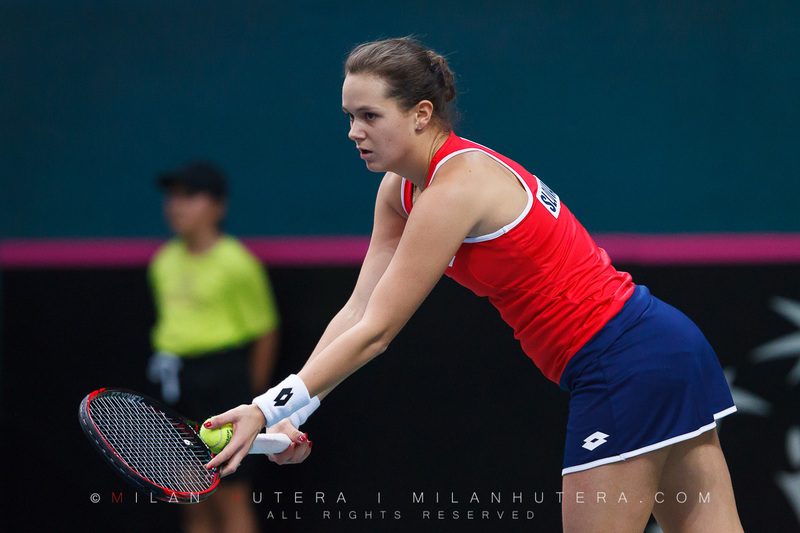 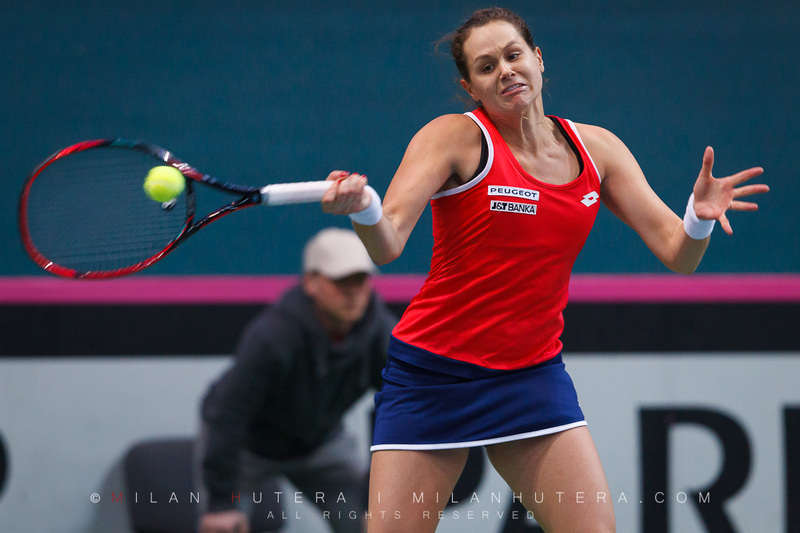 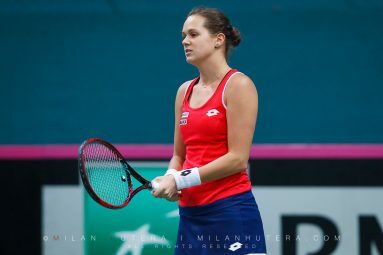 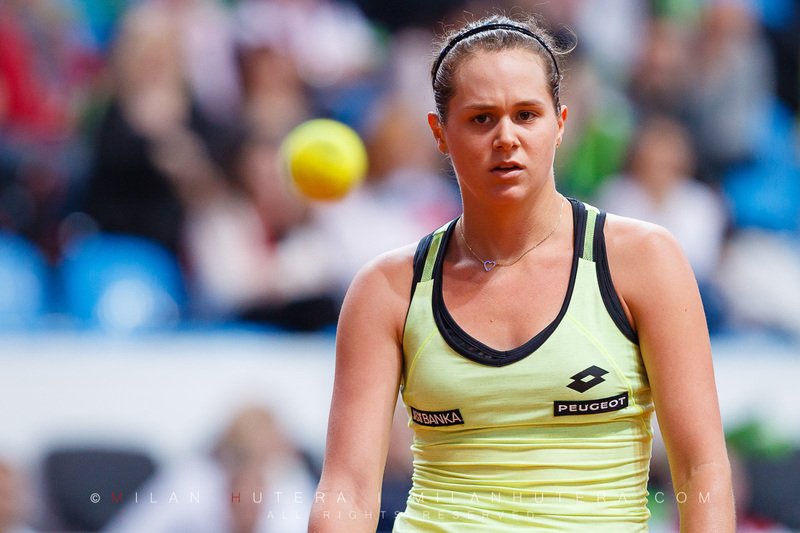 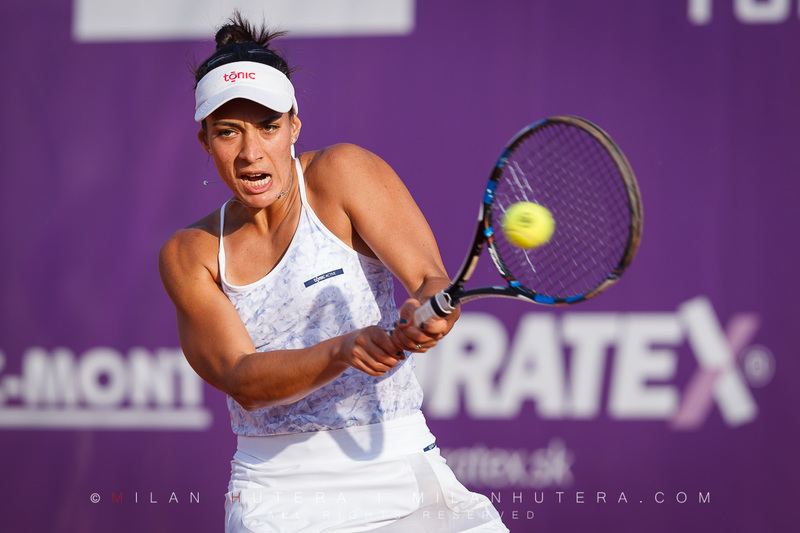 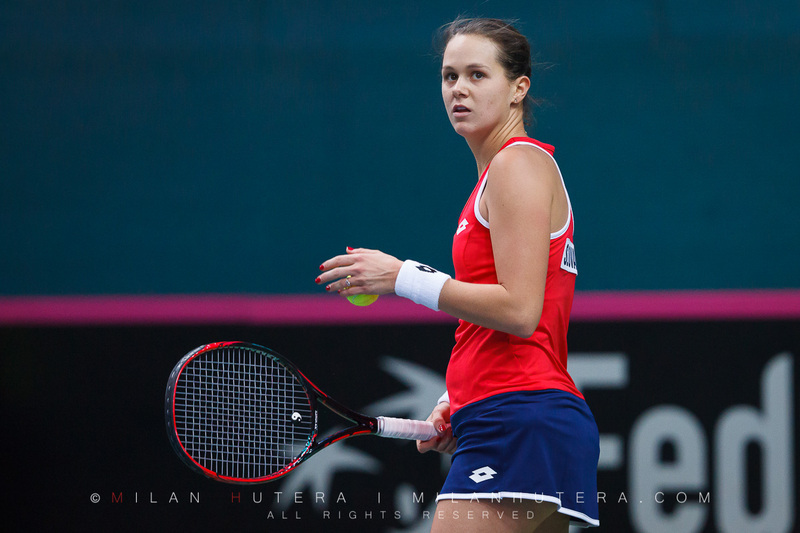 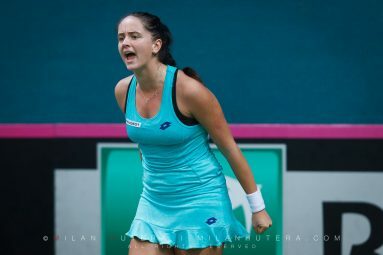 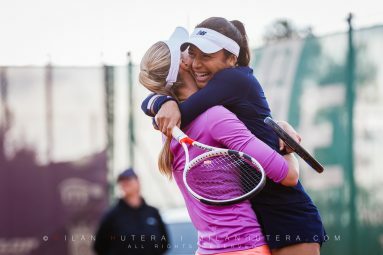 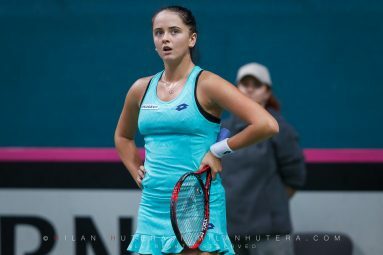 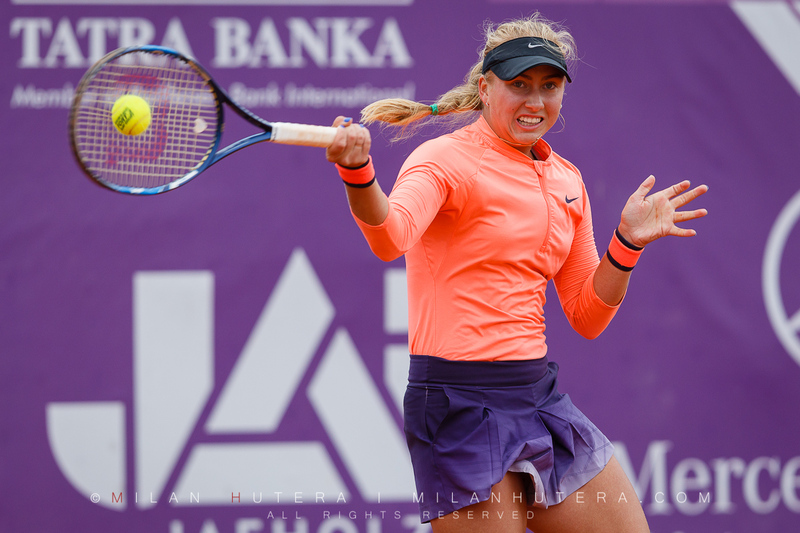 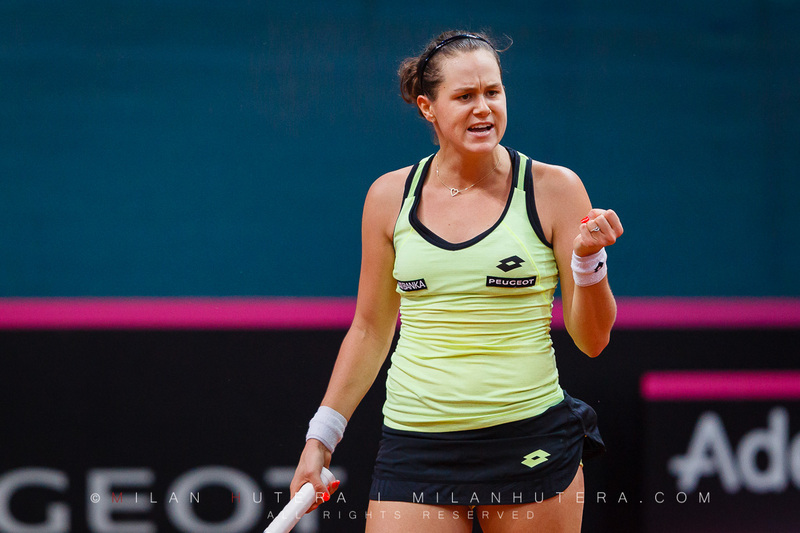 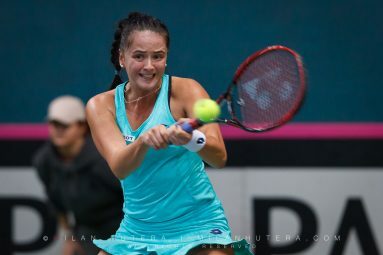 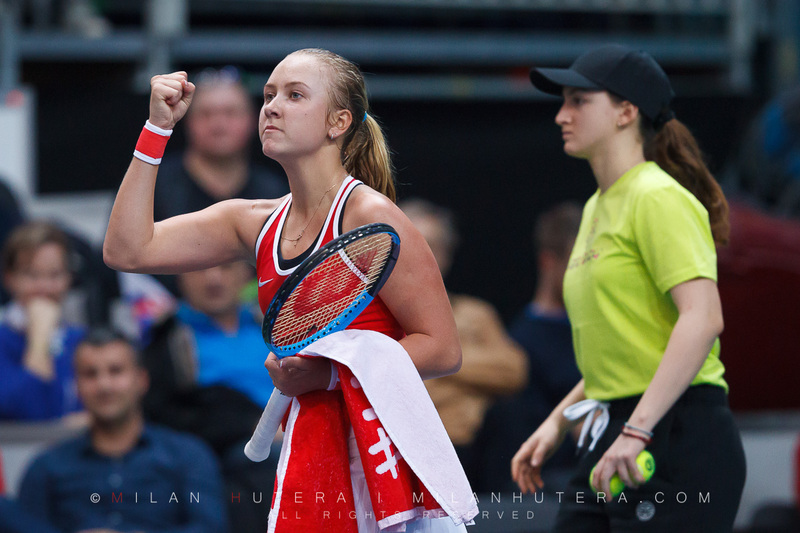 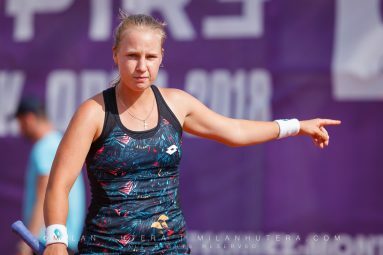 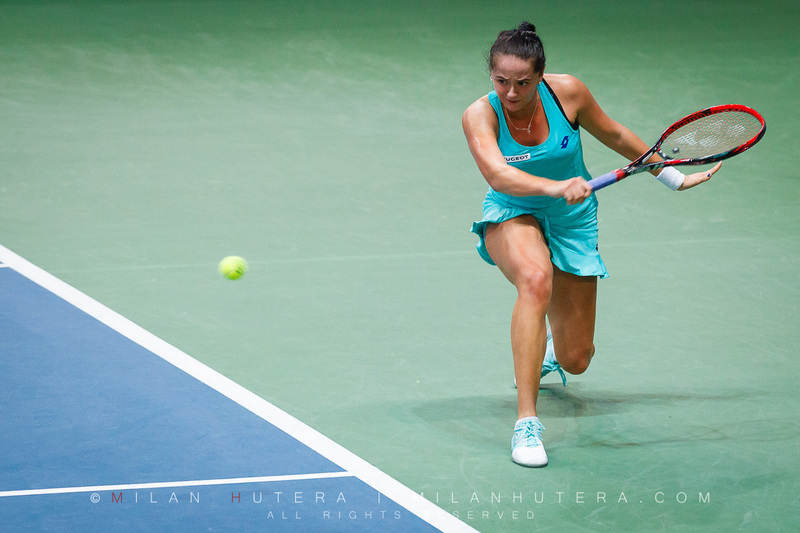 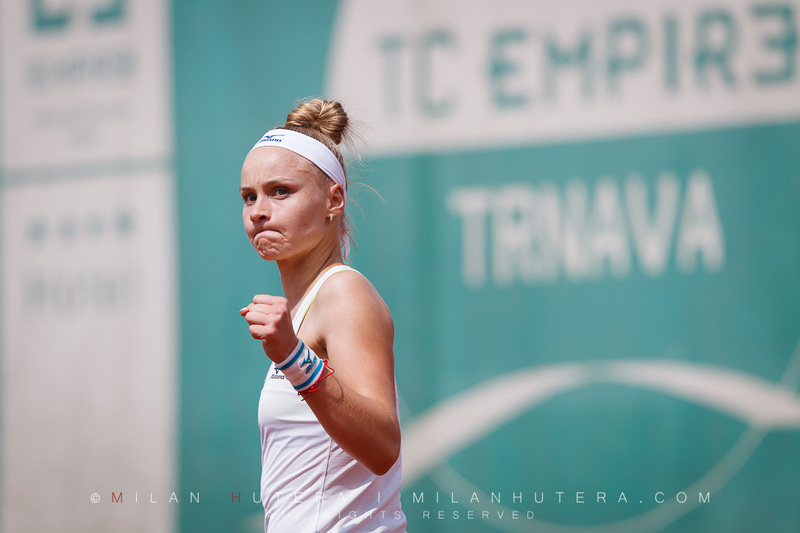 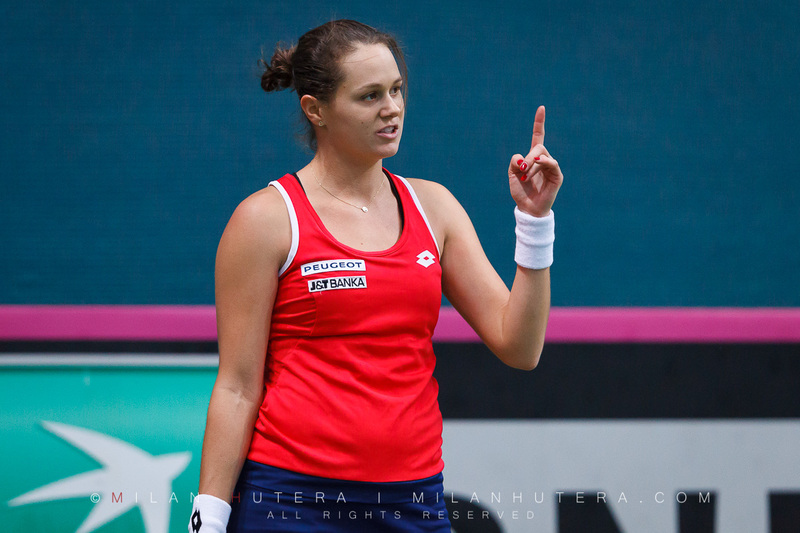 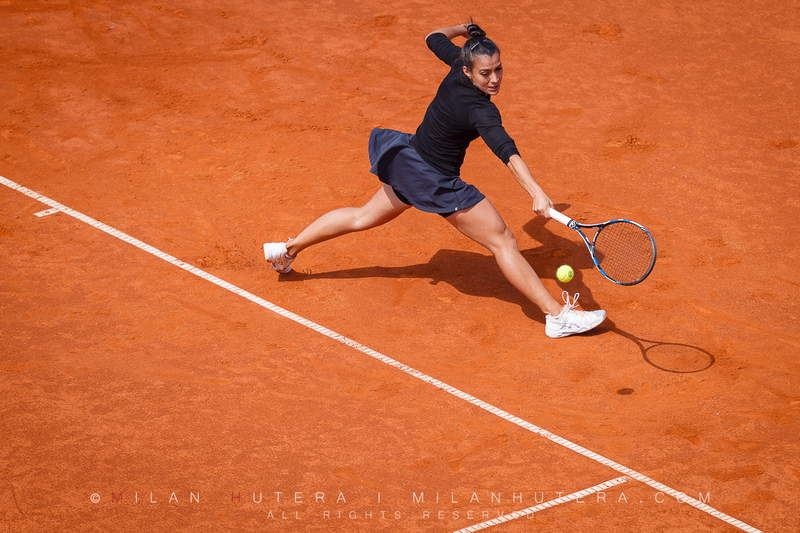 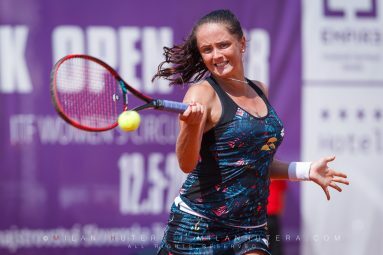 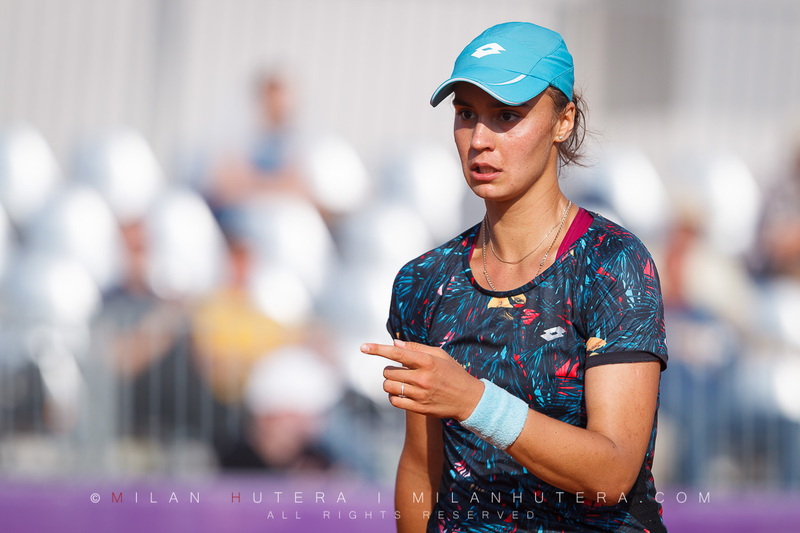 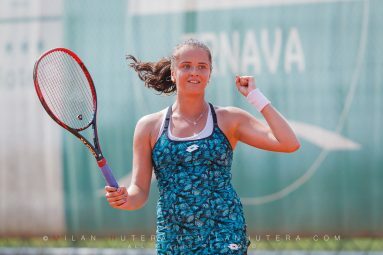 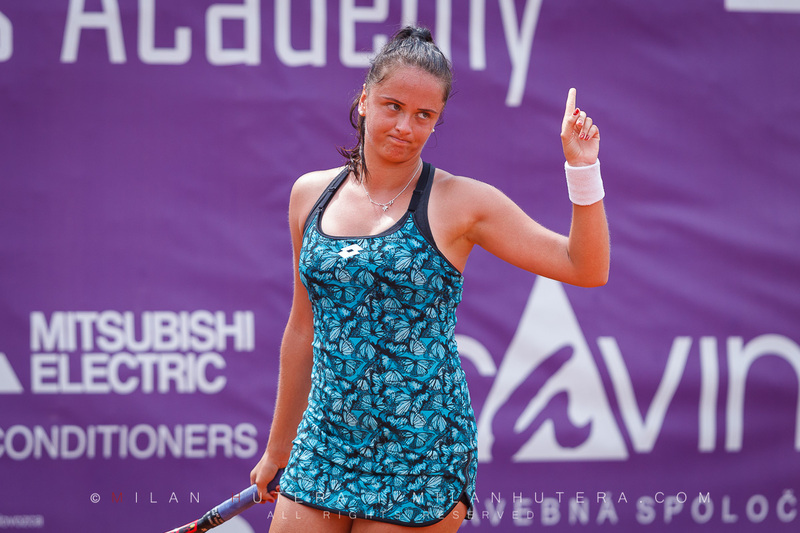 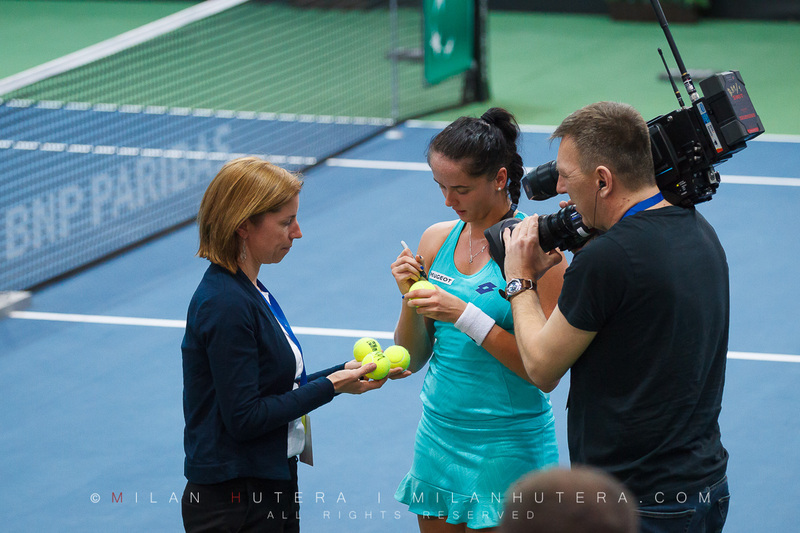 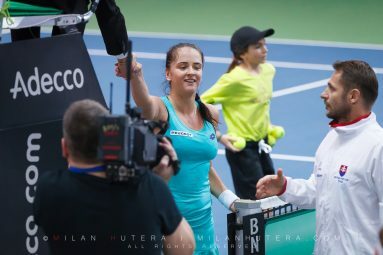 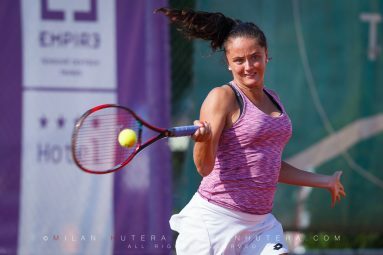 Viktoria Kuzmova recorded the best result for a Slovak player this year with 2nd round loss to Heather Watson. 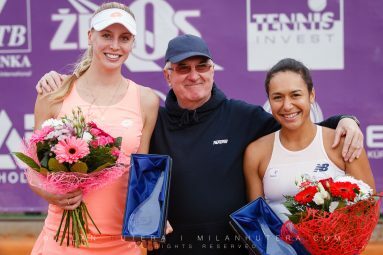 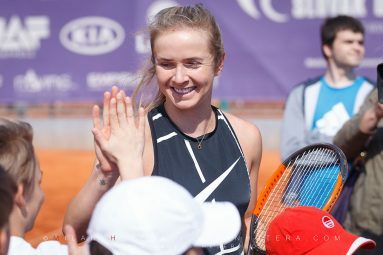 Watson and her british colleague Naomi Broady captured the doubles title. 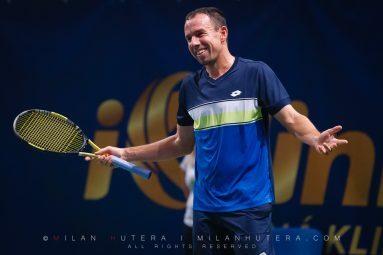 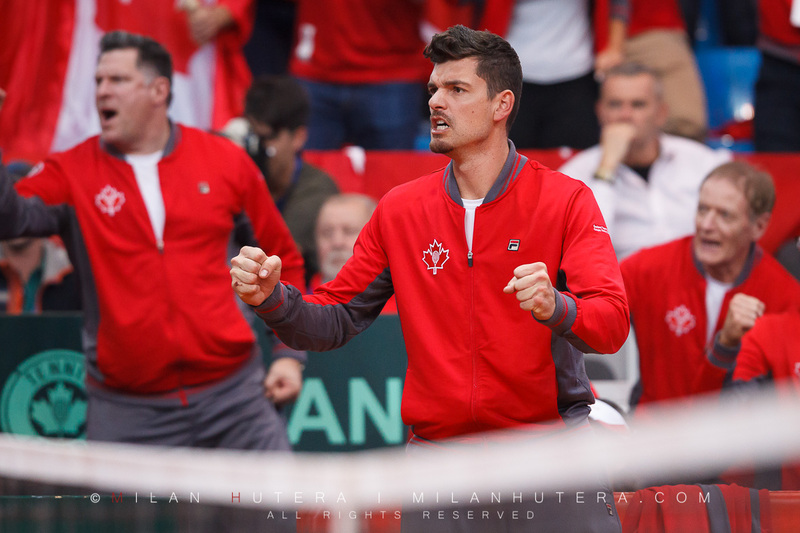 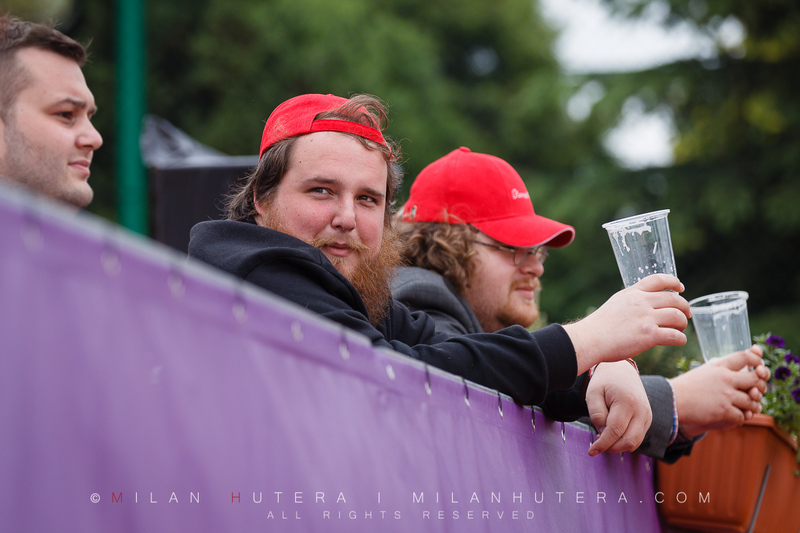 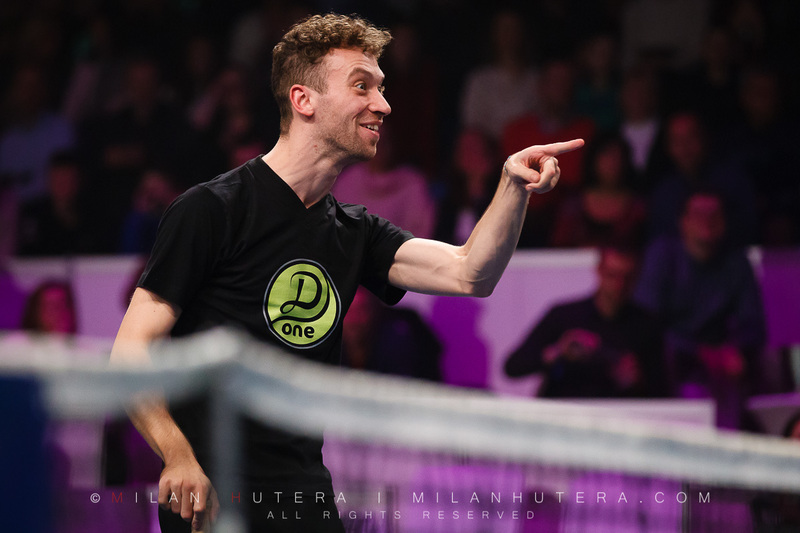 They defeated Renata Voracova and Chia-Jung Chuang in straight sets. 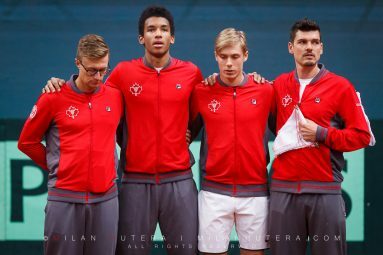 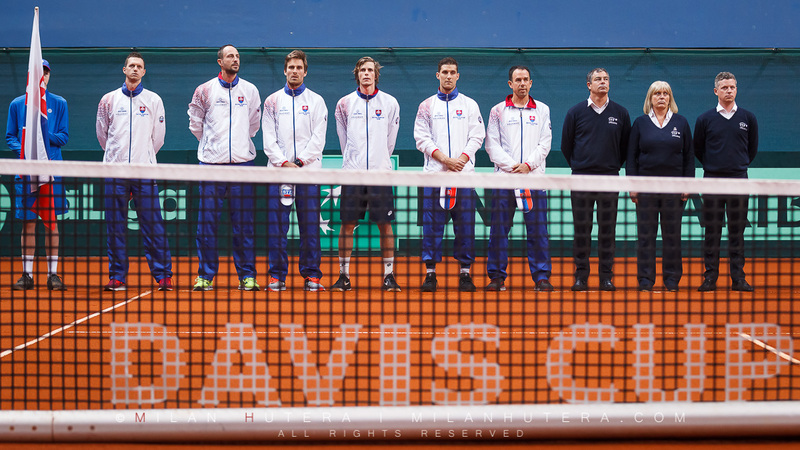 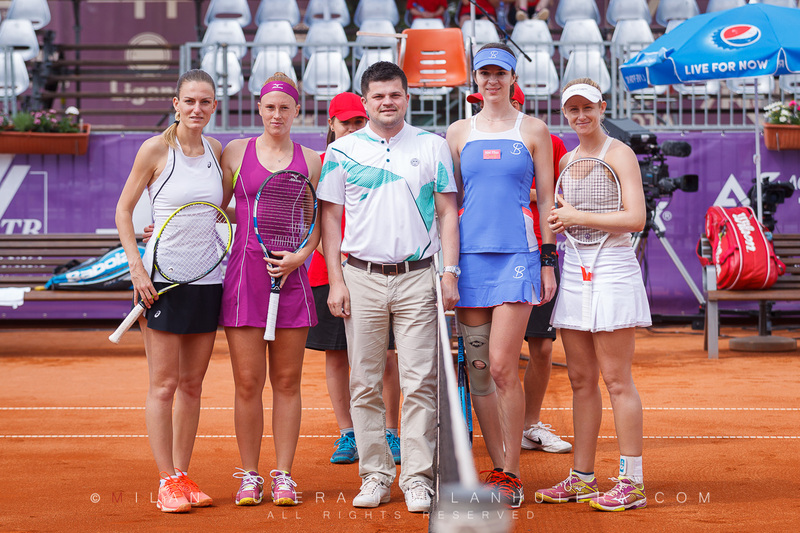 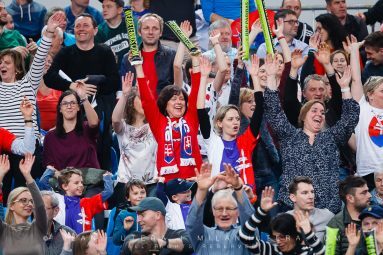 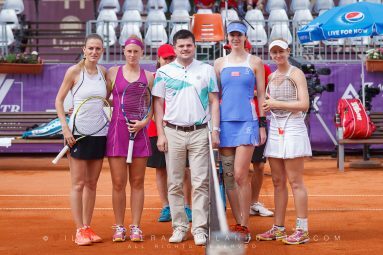 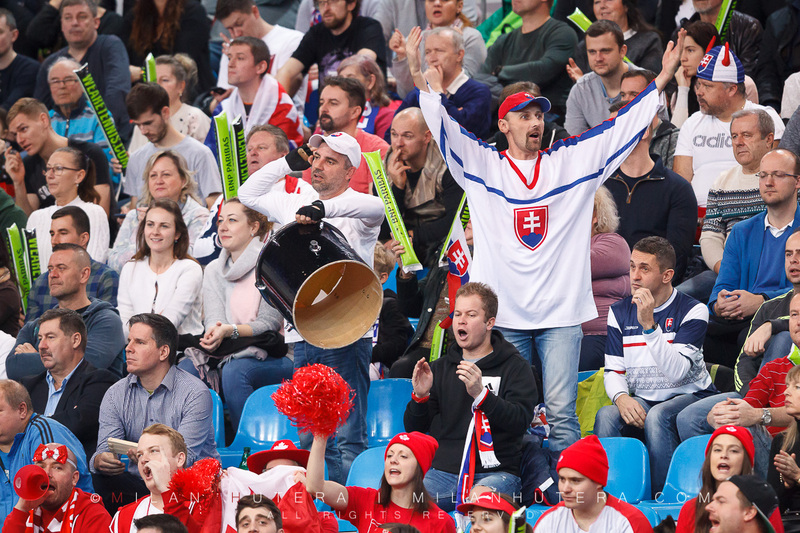 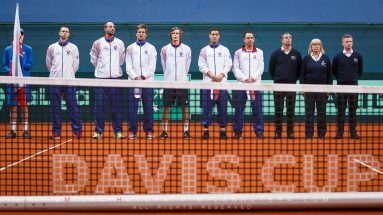 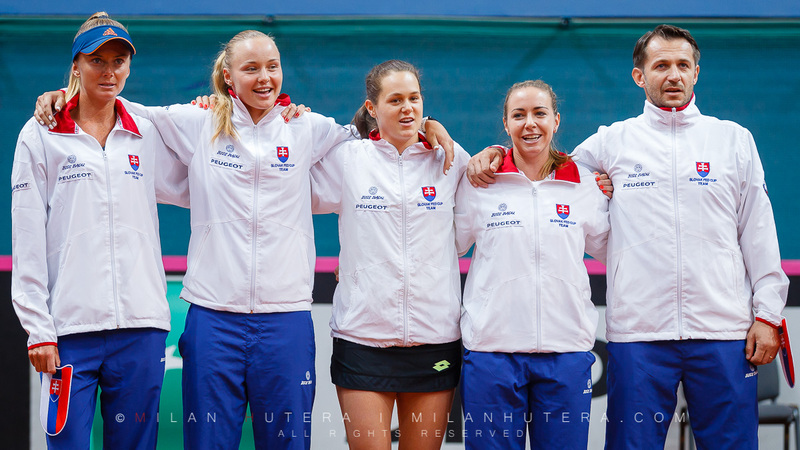 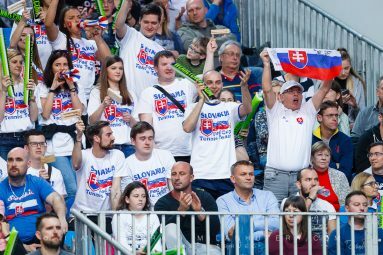 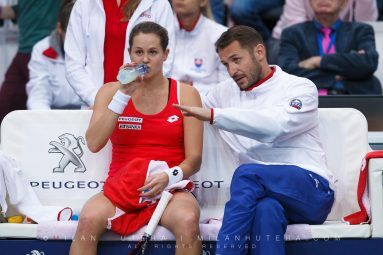 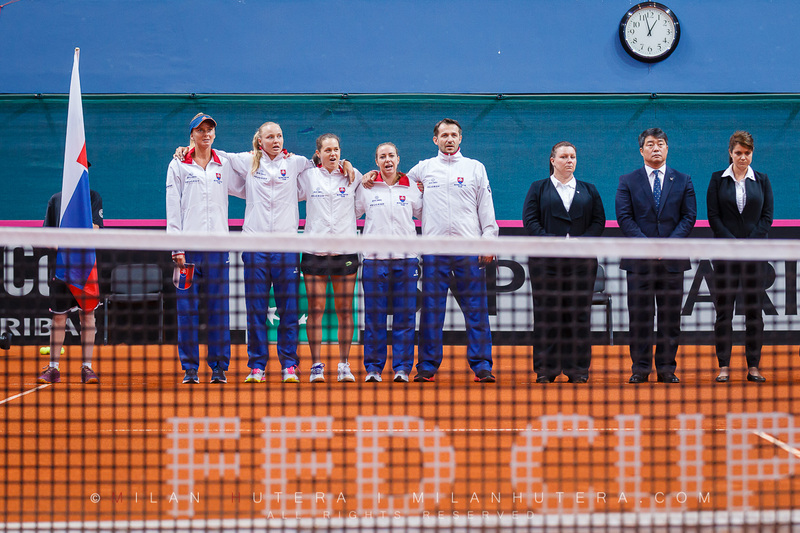 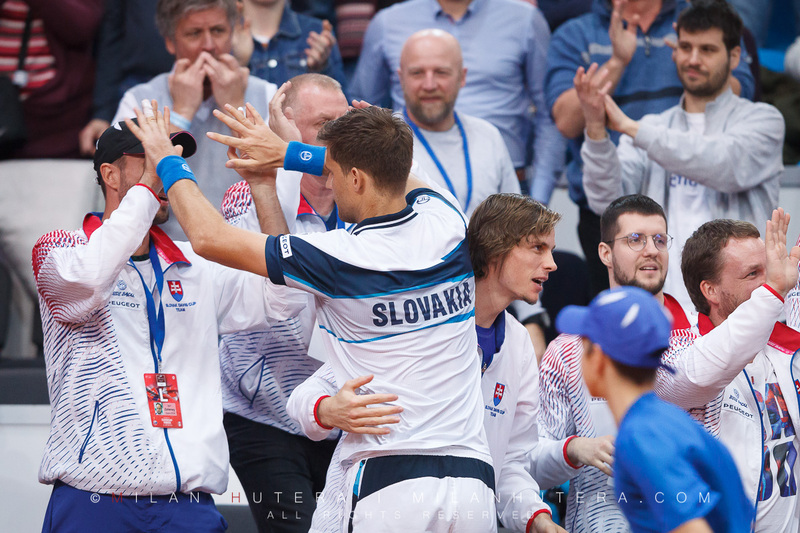 Slovak Fed Cup Team Played the 2017 Fed Cup World Group Play Off Tiea against Team Netherlands on April 22. 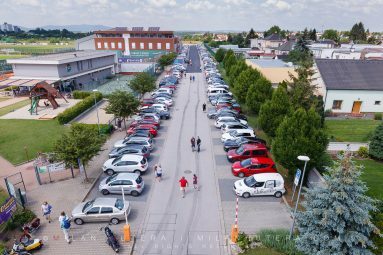 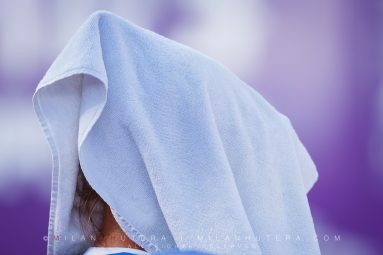 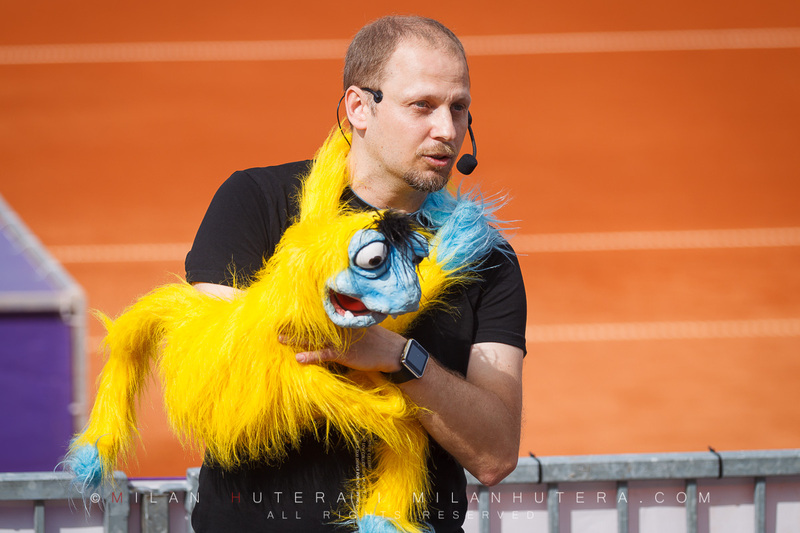 – 23. 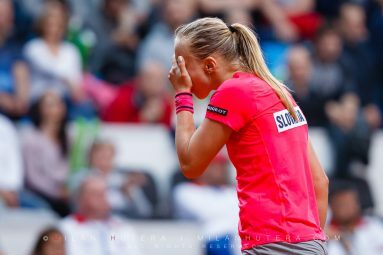 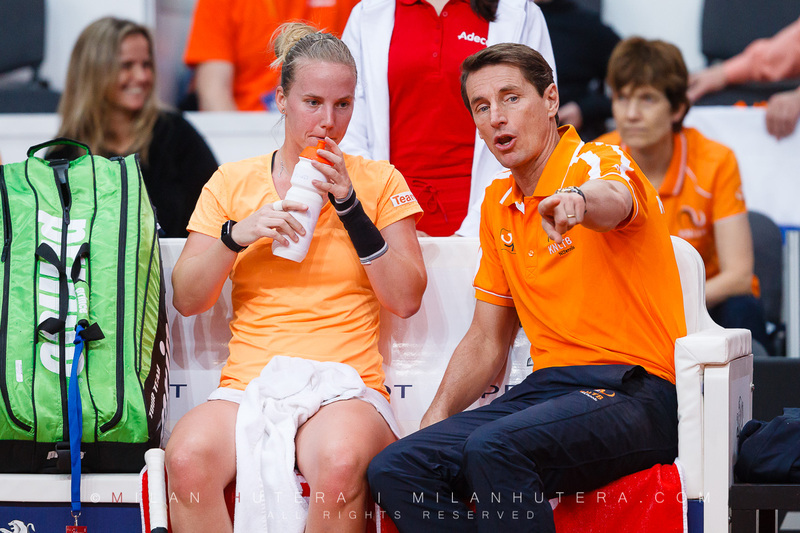 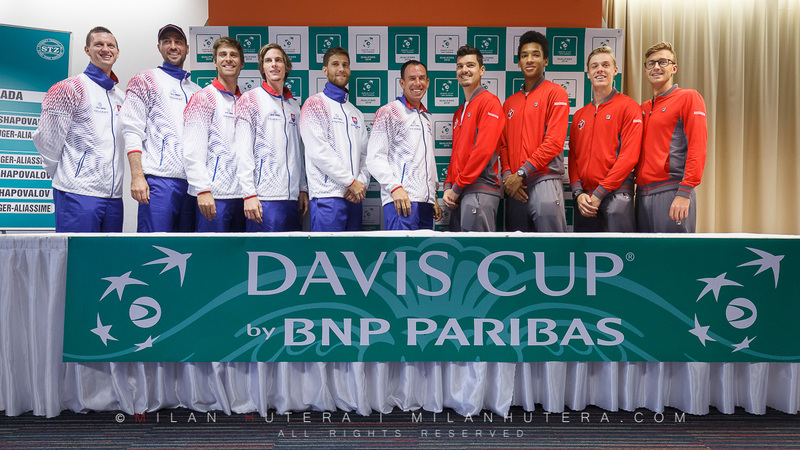 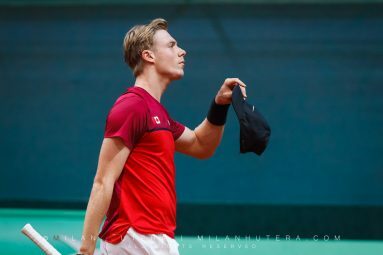 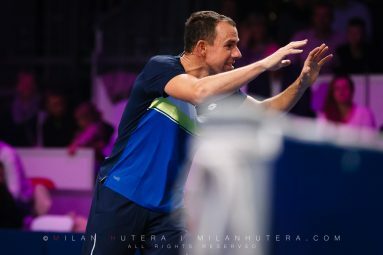 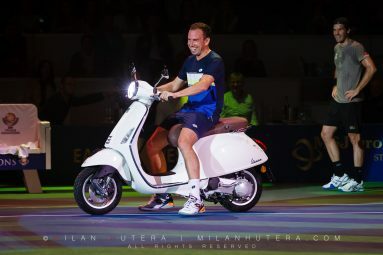 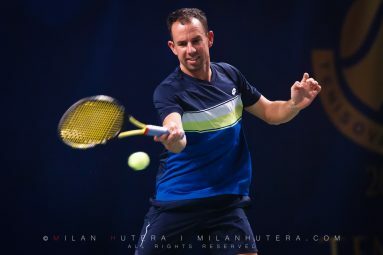 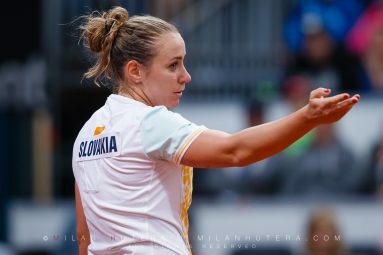 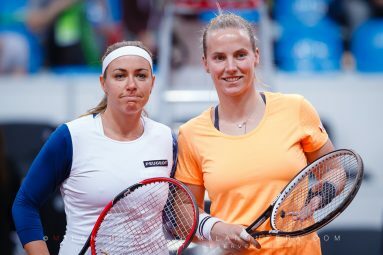 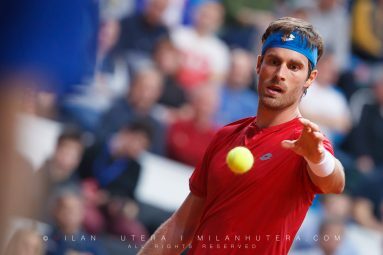 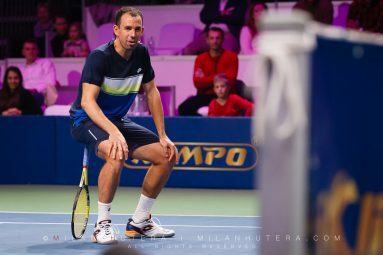 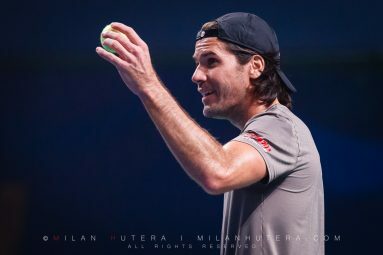 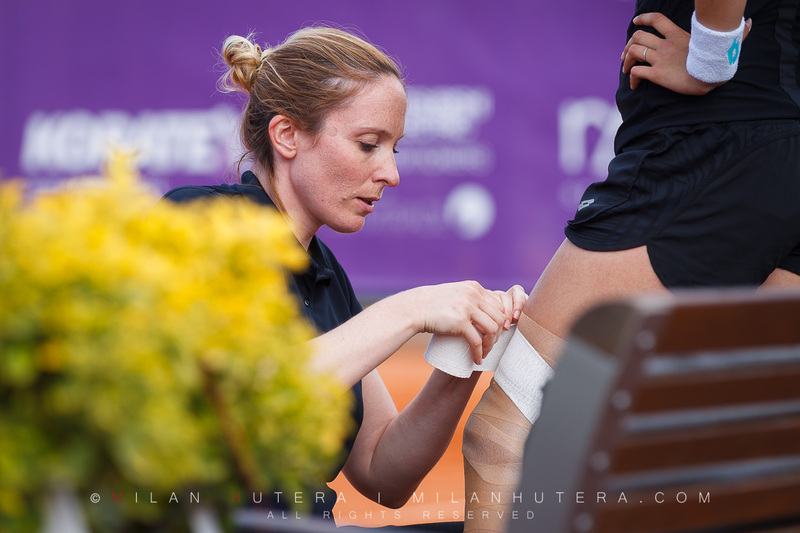 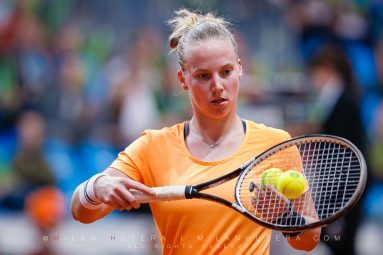 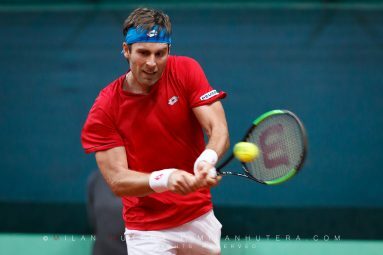 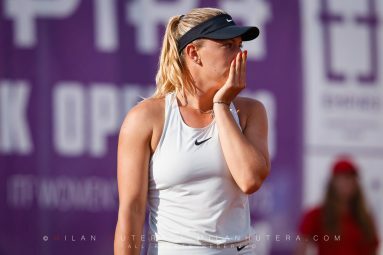 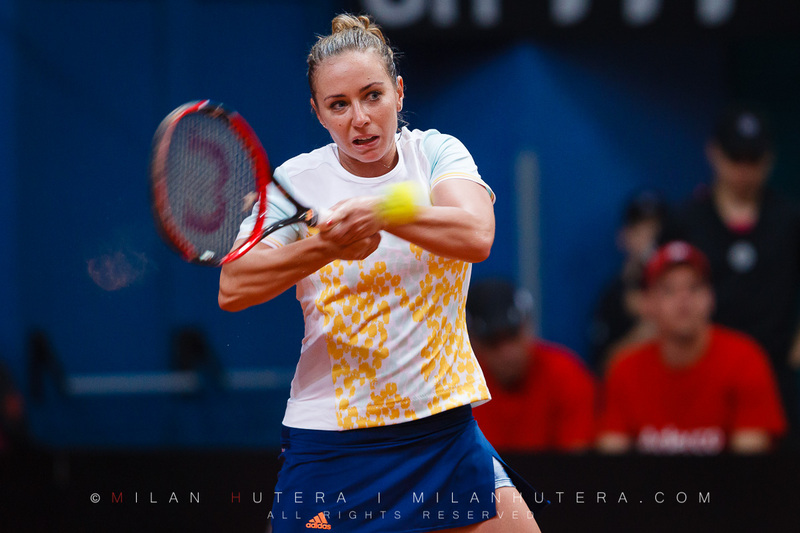 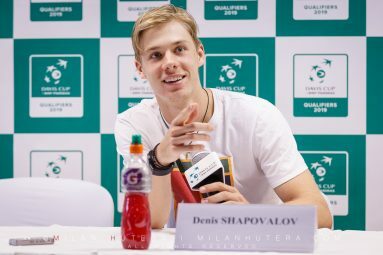 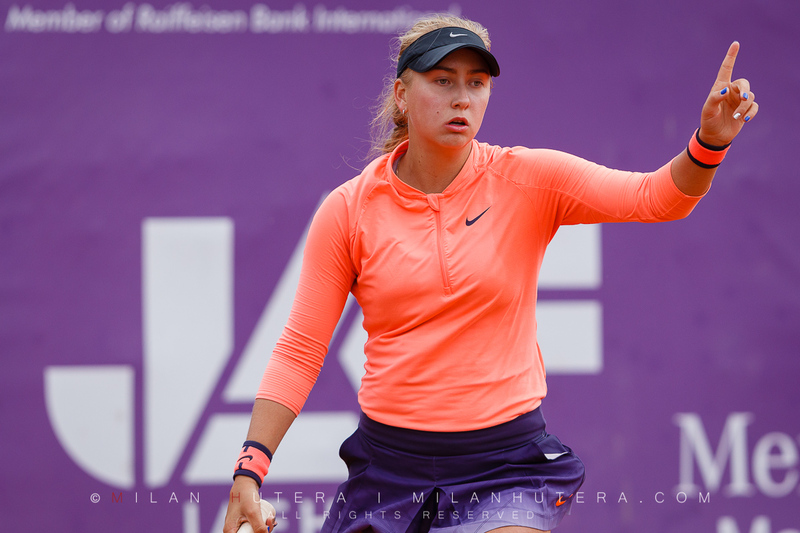 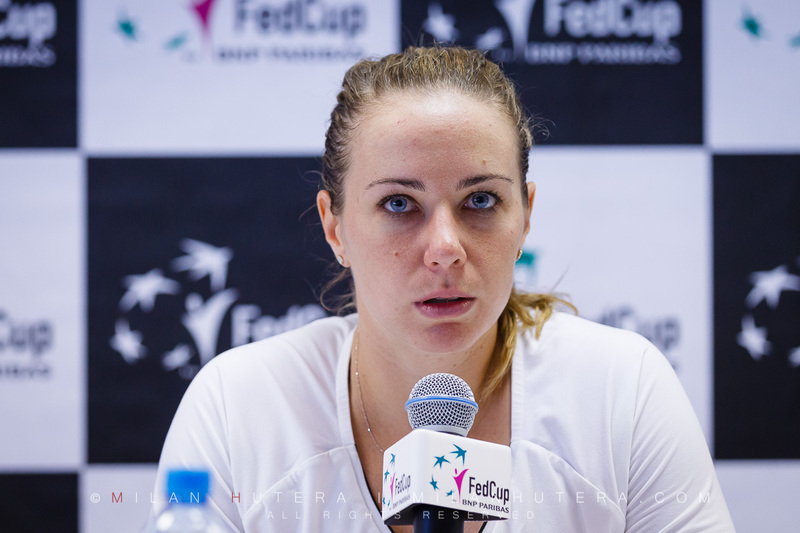 Due to the injury of Dominika Cibulkova, the Dutch led by World No. 20 Kiki Bertens were a favorite of this match. 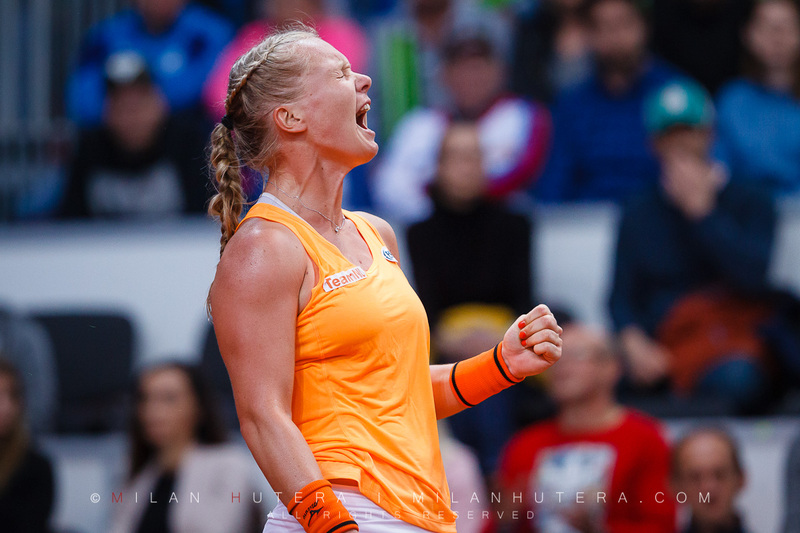 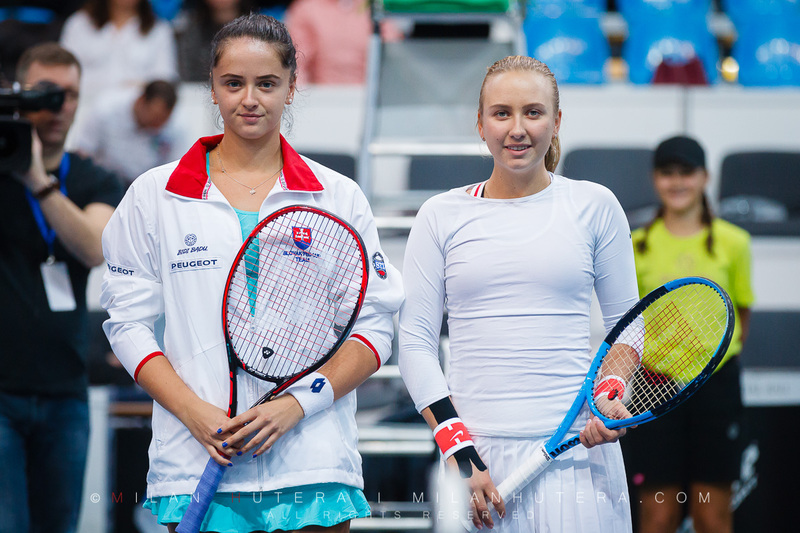 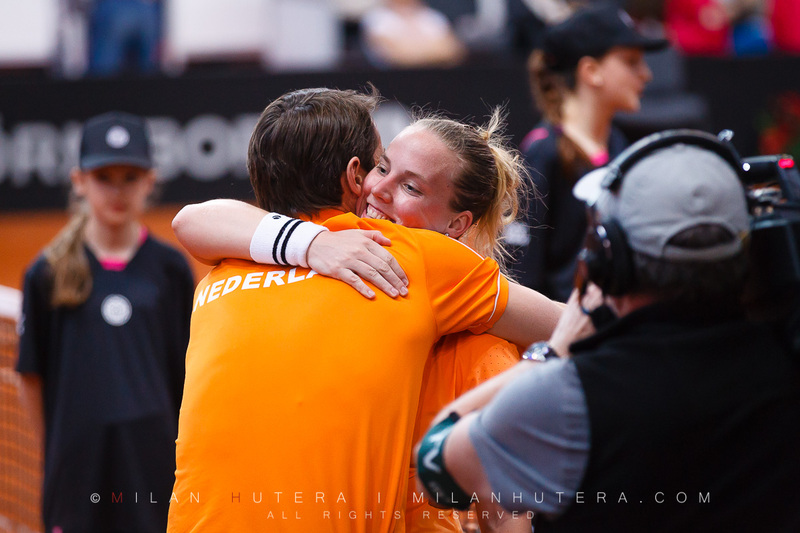 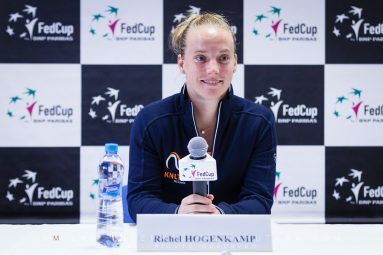 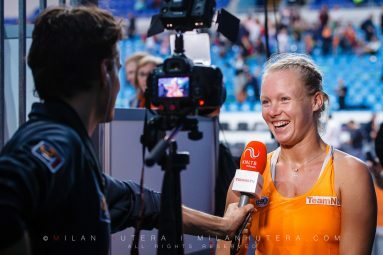 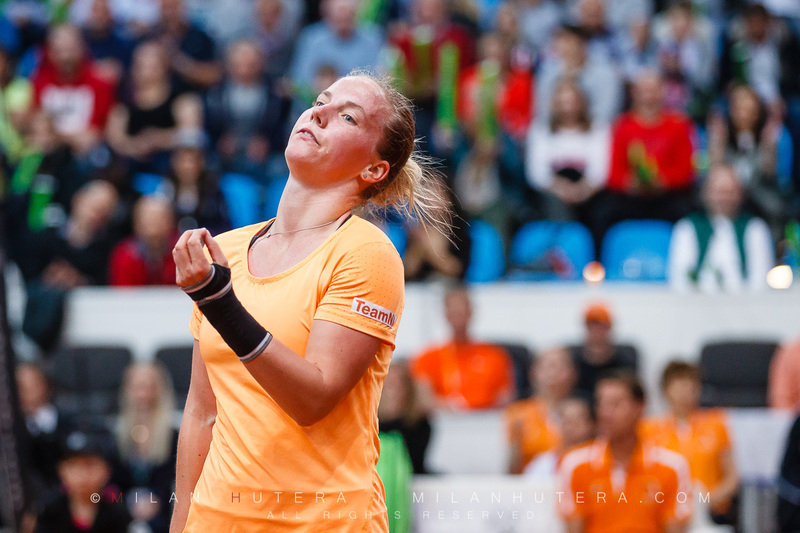 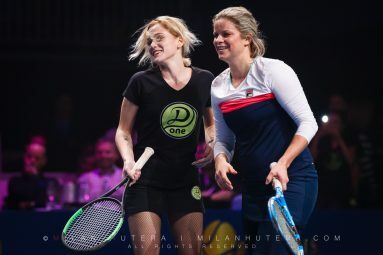 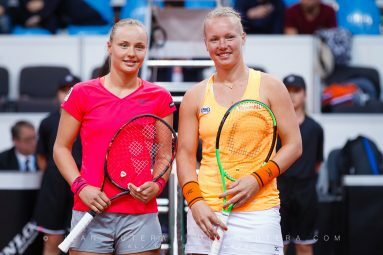 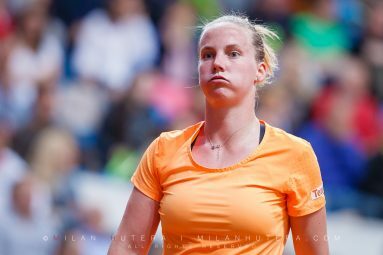 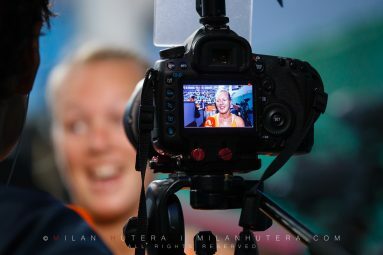 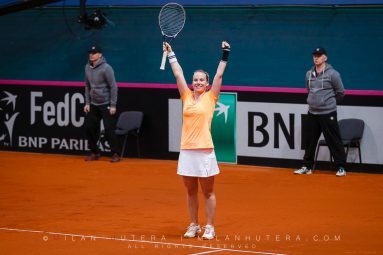 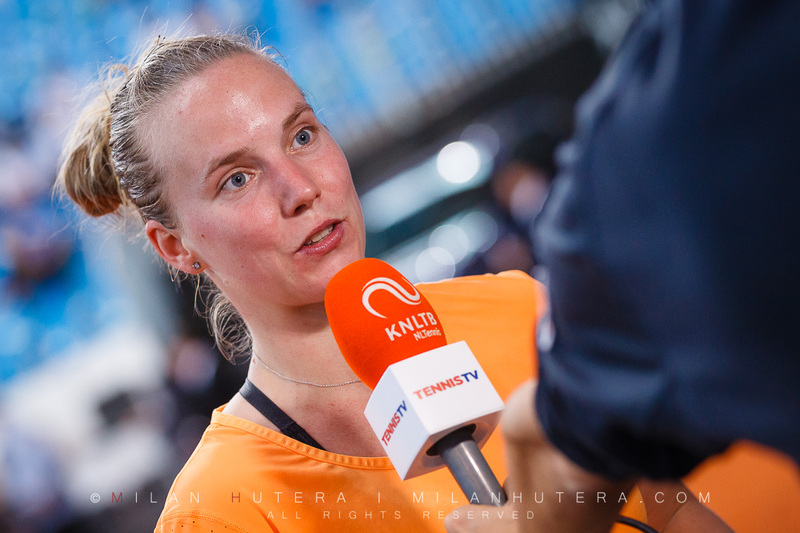 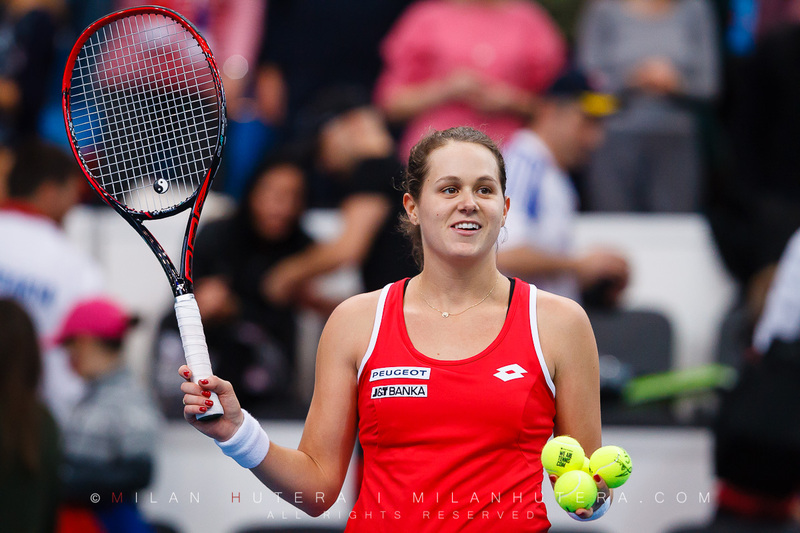 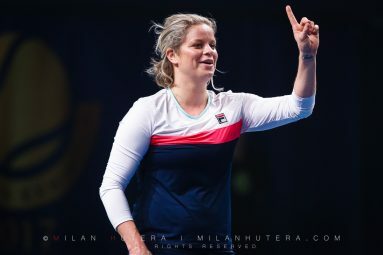 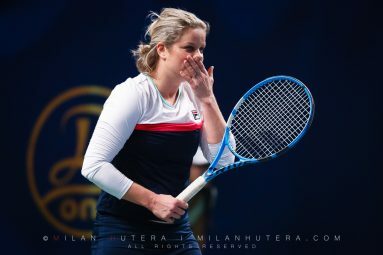 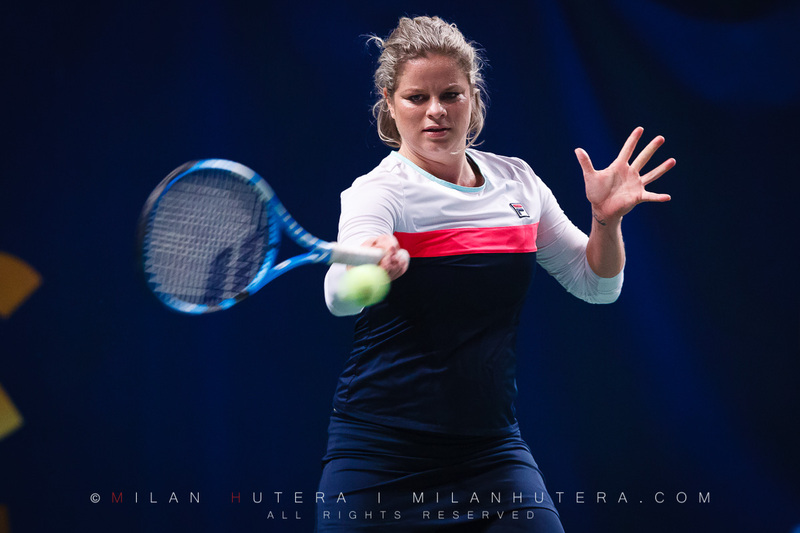 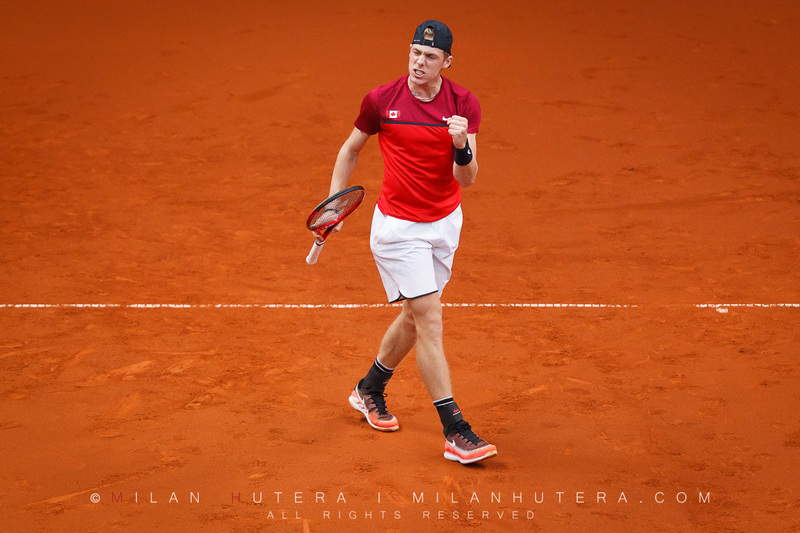 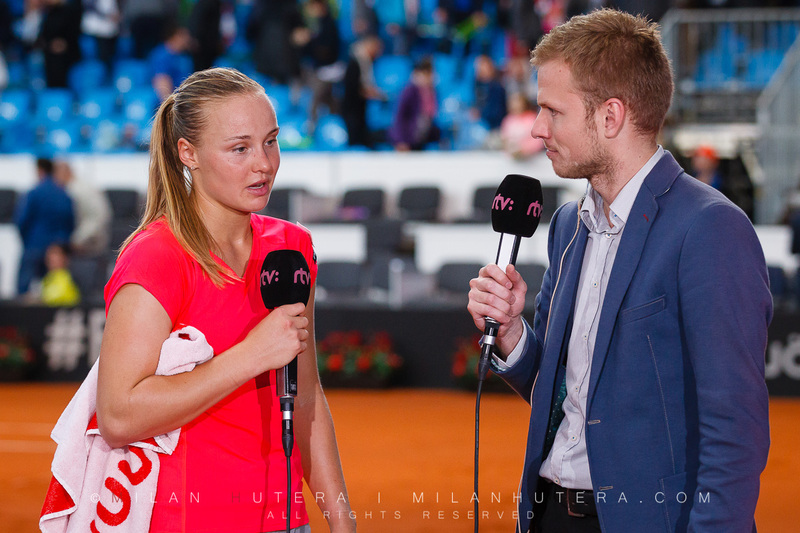 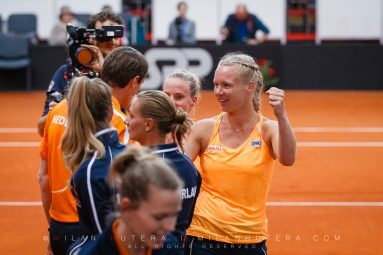 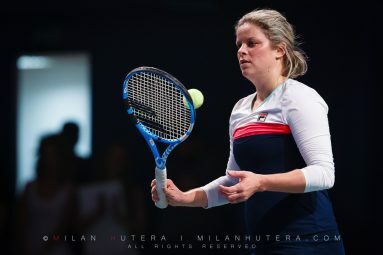 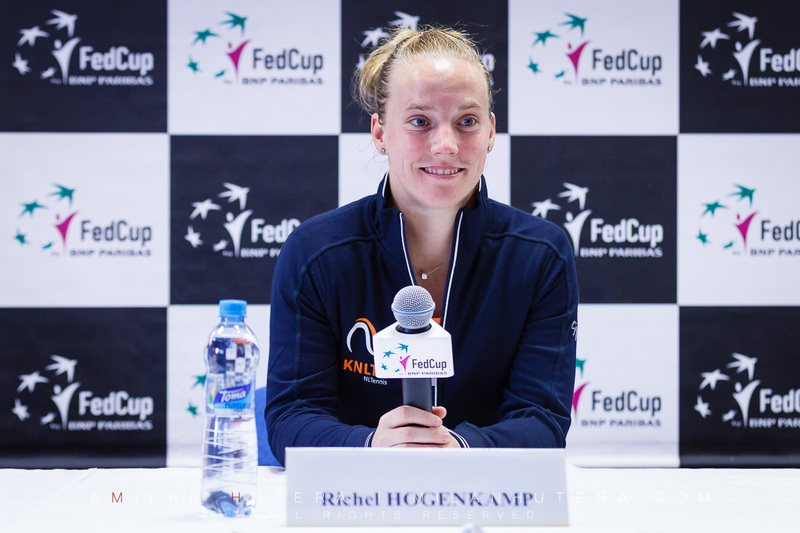 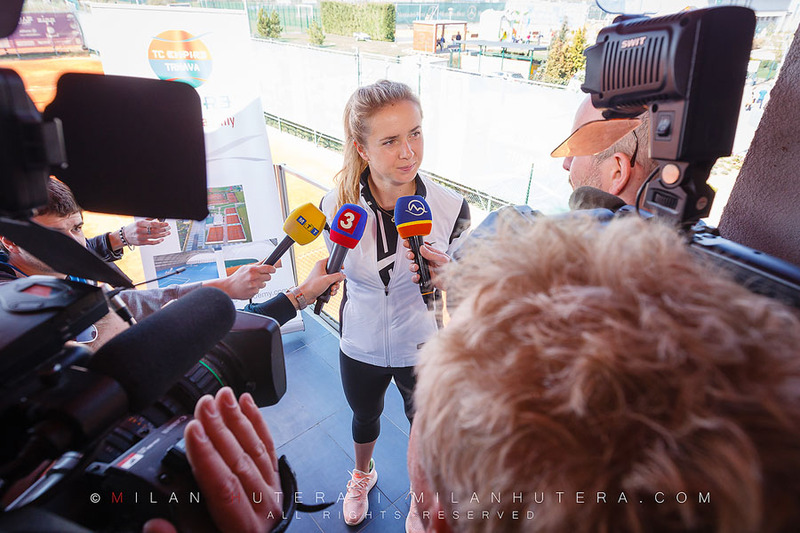 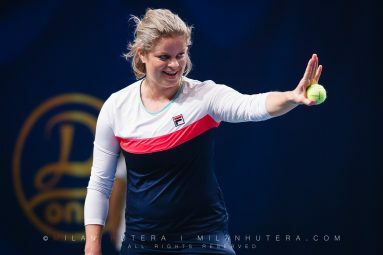 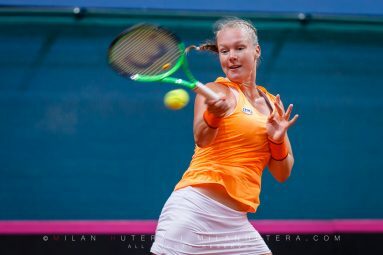 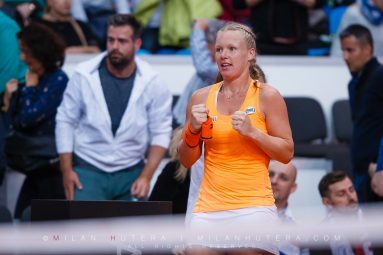 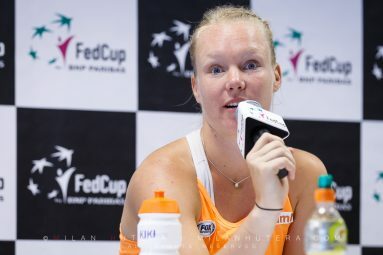 In the end, Bertens and Richel Hogenkamp managed to secure 3 necessary points. 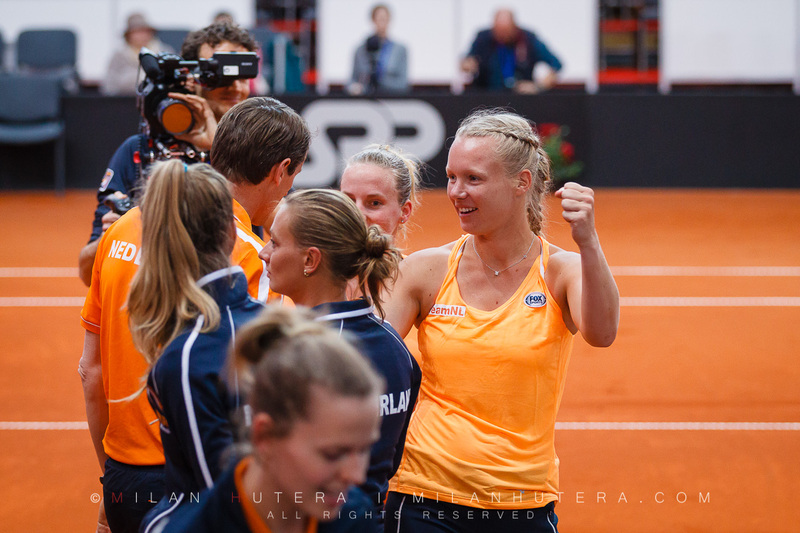 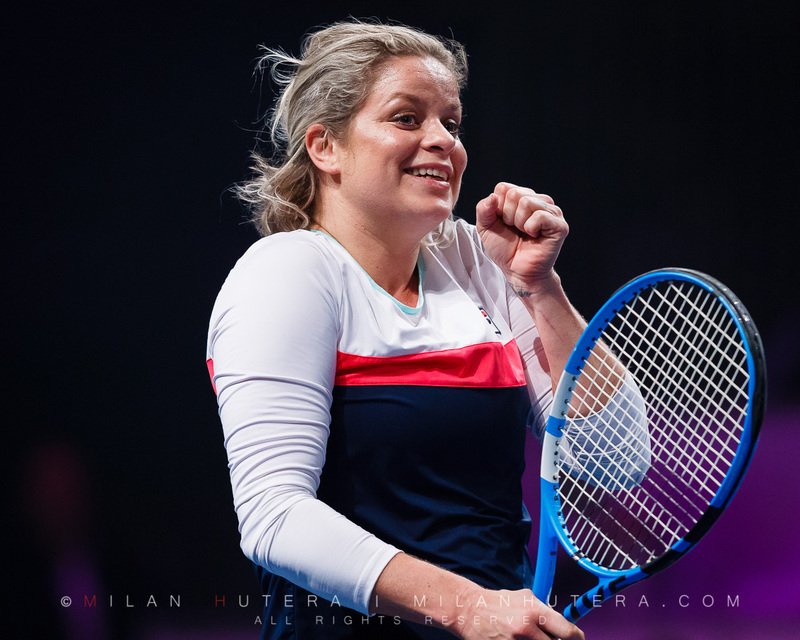 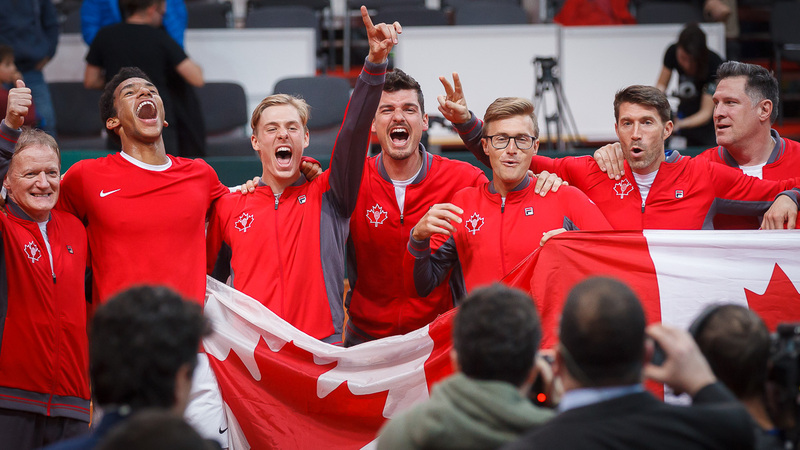 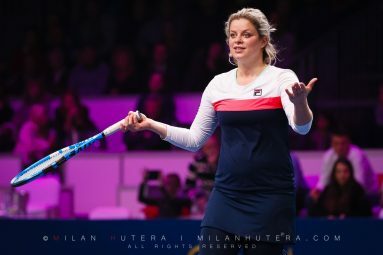 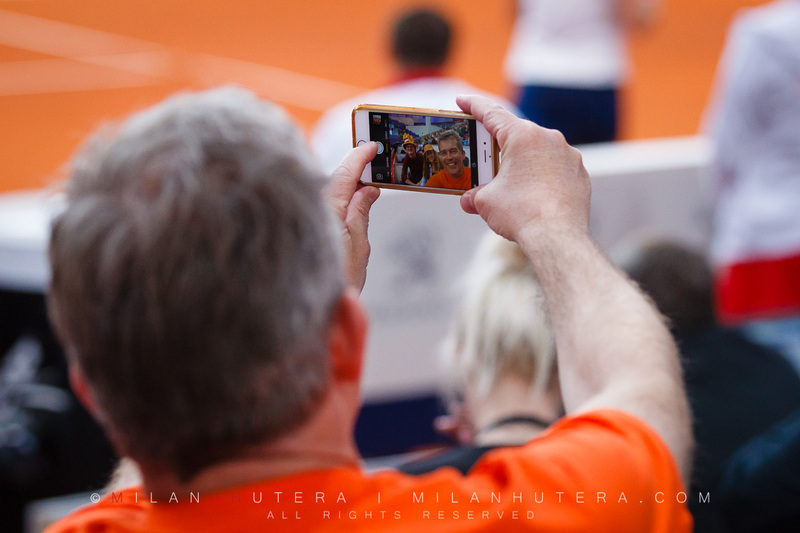 Netherlands won the tie 3:2 and advanced to the 2018 Fed Cup World Group 1. 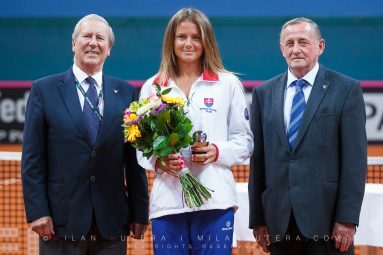 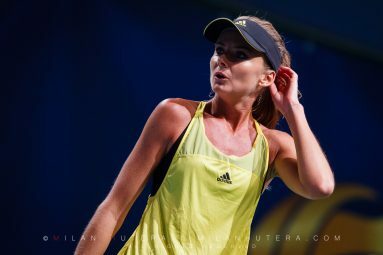 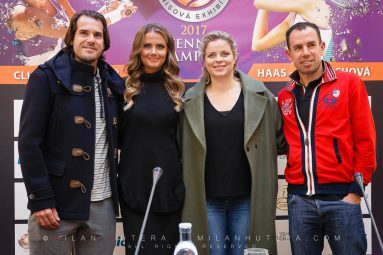 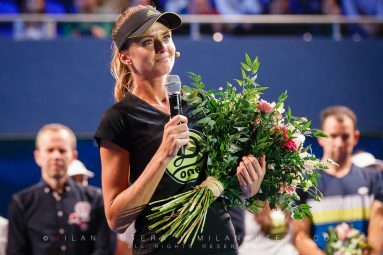 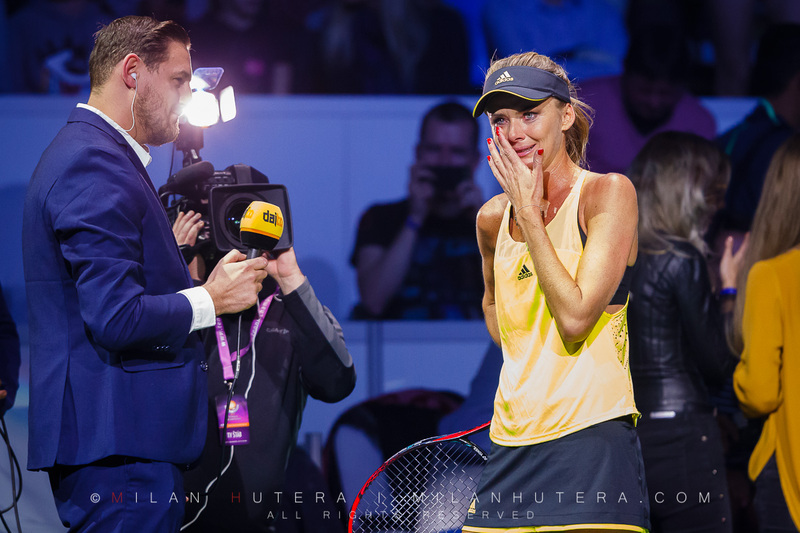 Prior to Sunday’s matches, Daniela Hantuchova received Fed Cup Commitment Award as the first female tennis player from Slovakia. 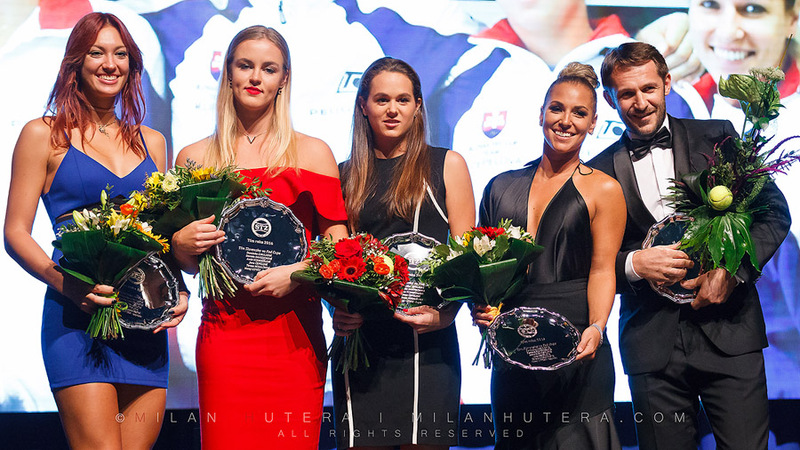 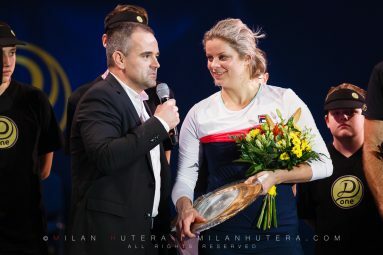 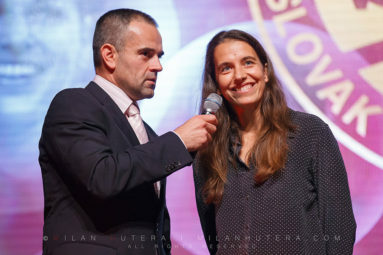 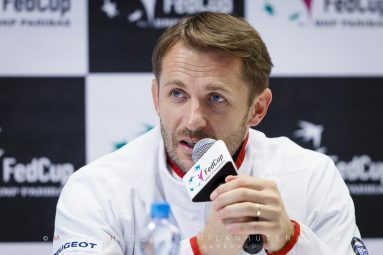 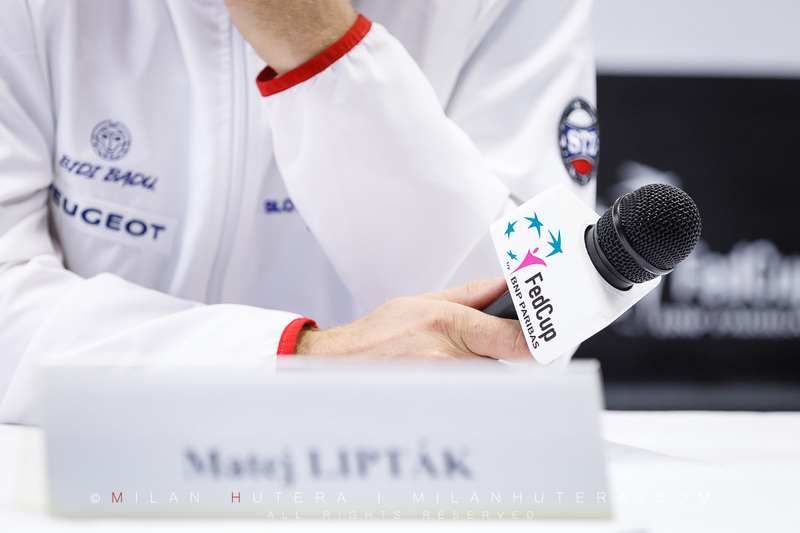 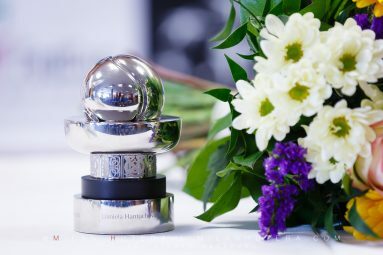 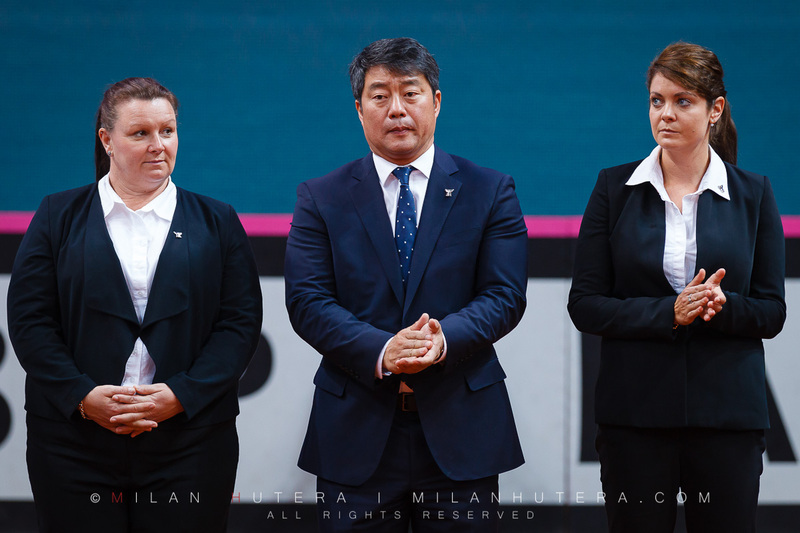 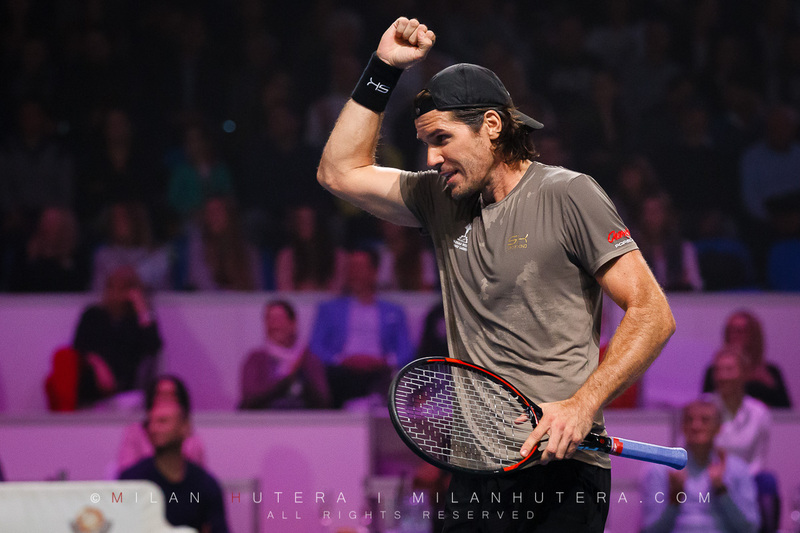 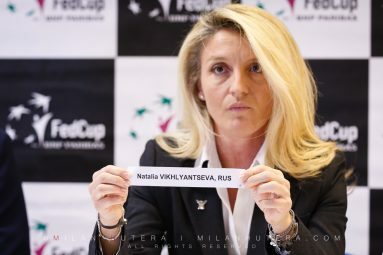 It is awarded to players who have shown long-standing dedication to Fed Cup competition and played a minimum of 20 World Group ties or 40 ties at any level of the competition over the career. 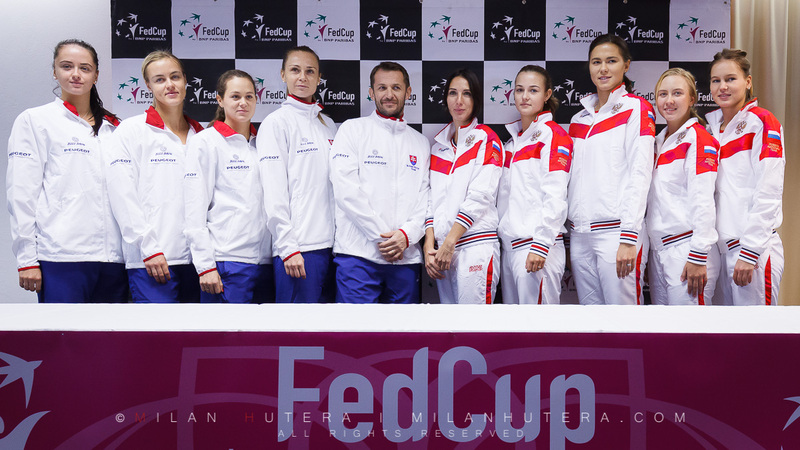 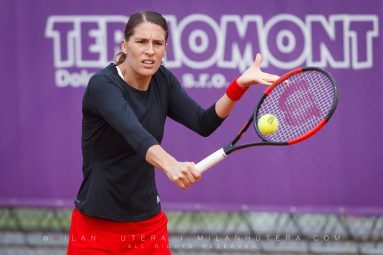 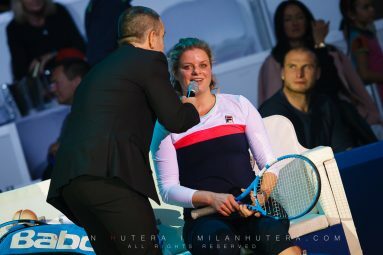 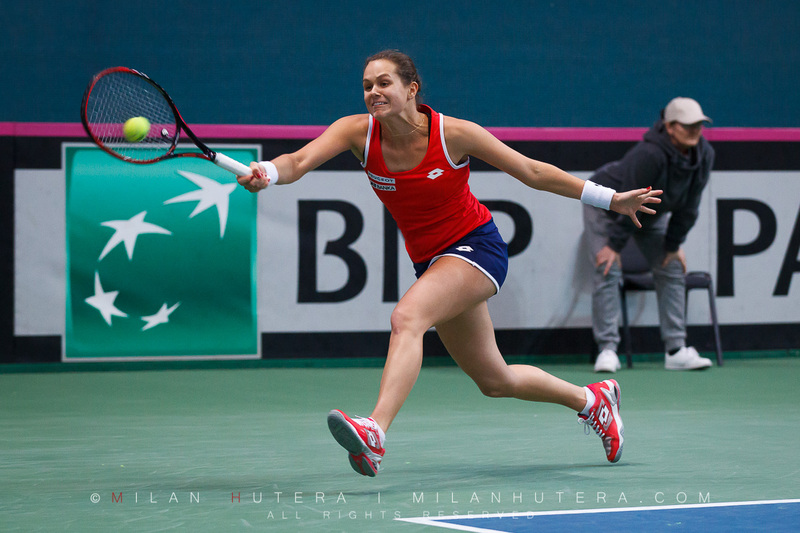 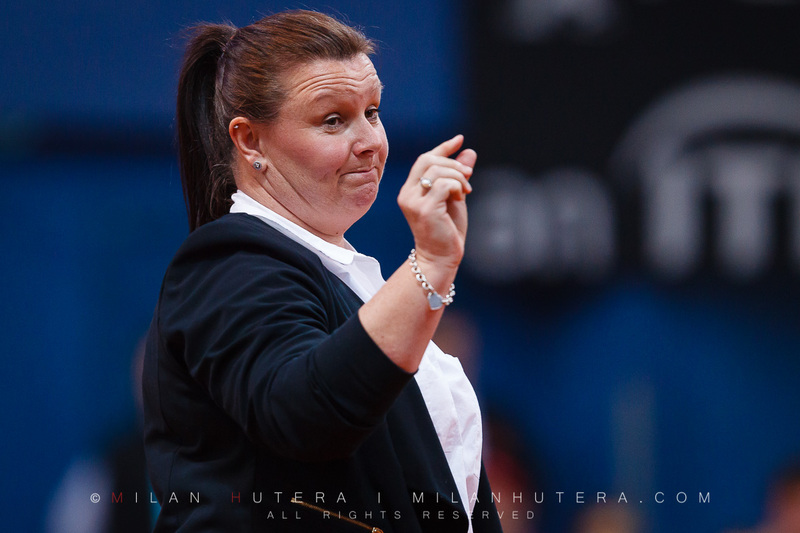 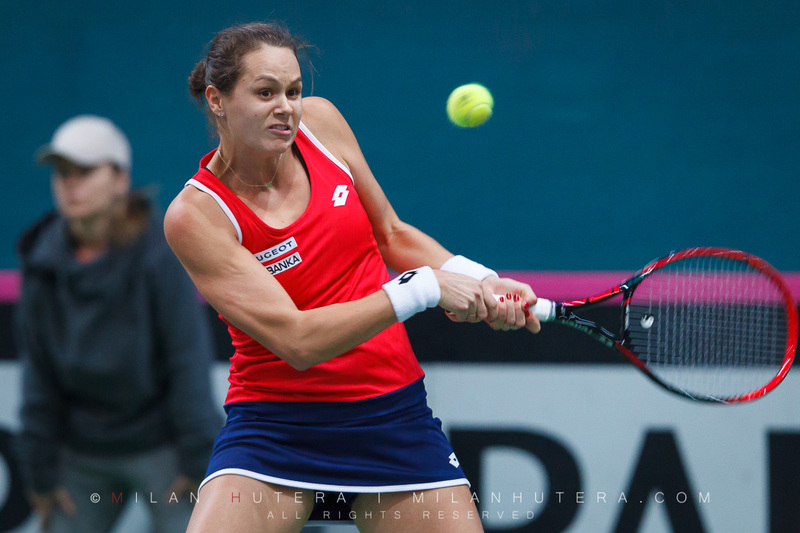 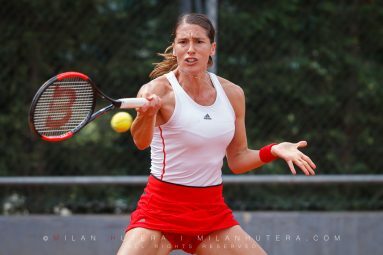 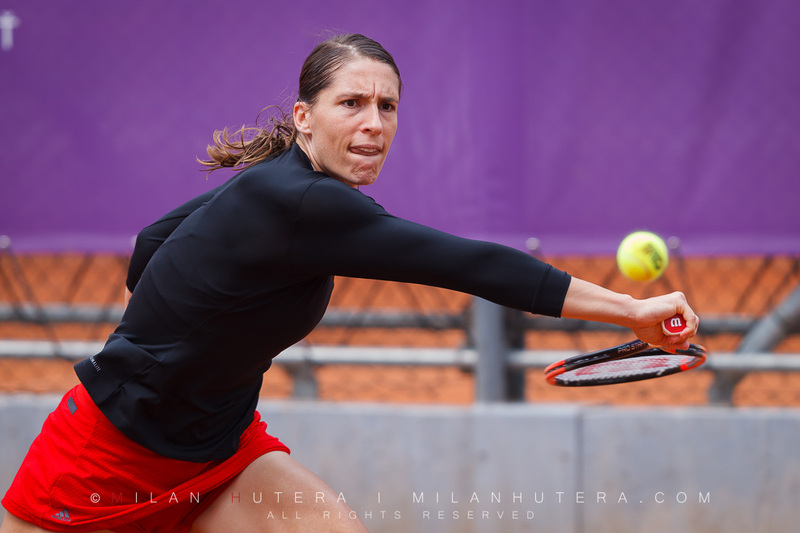 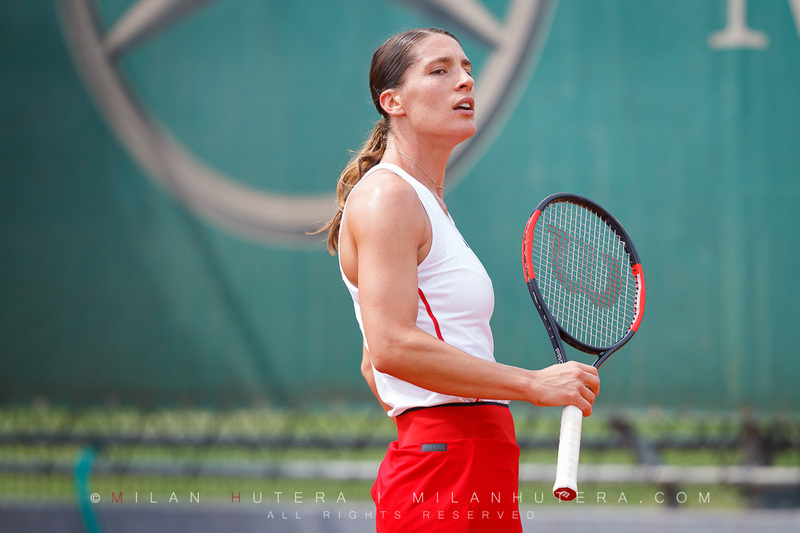 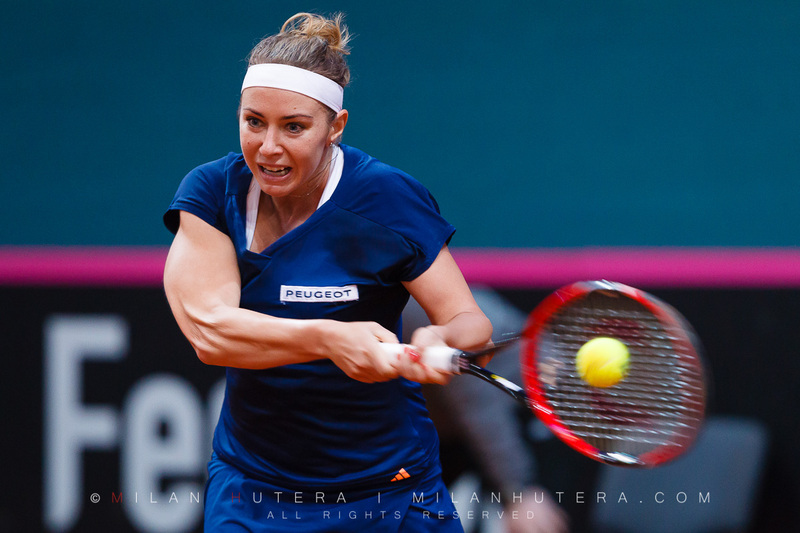 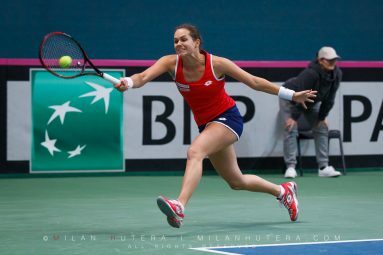 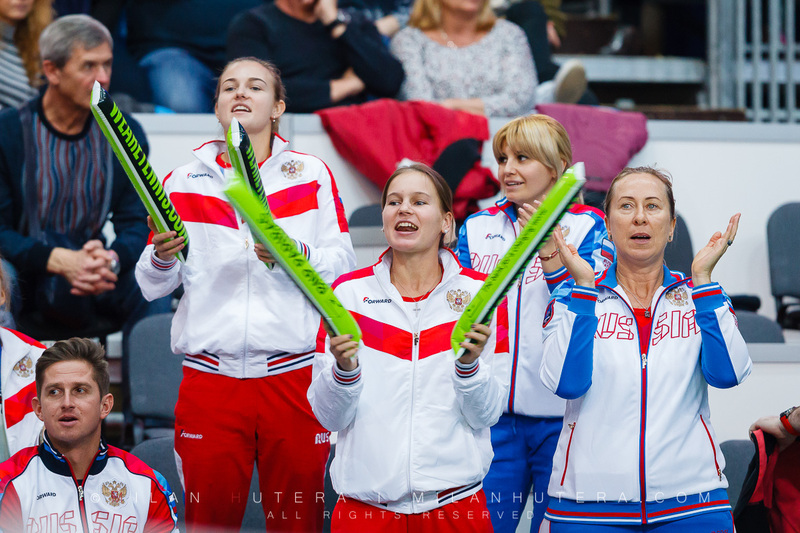 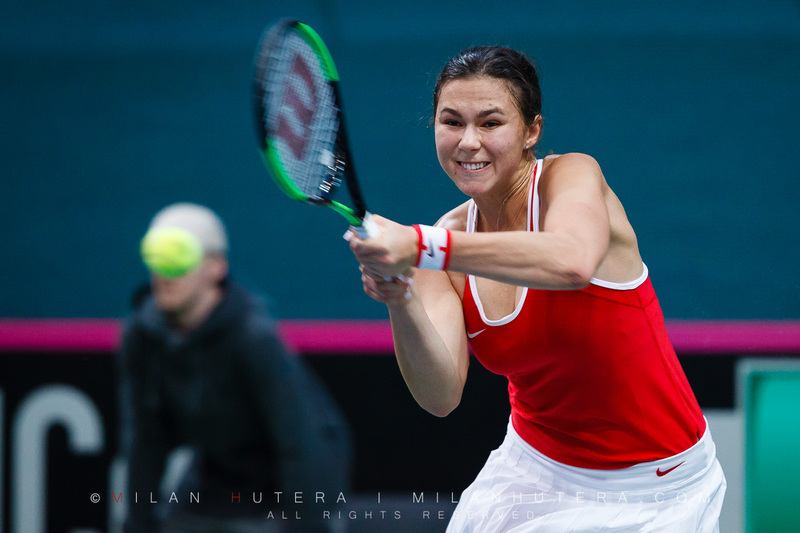 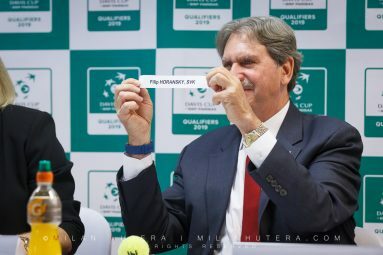 Daniela has been playing in Fed Cup since 1999 and she led the Slovak team to Fed Cup Victory in 2002. 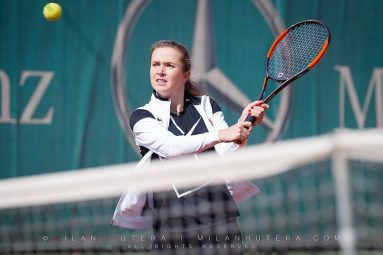 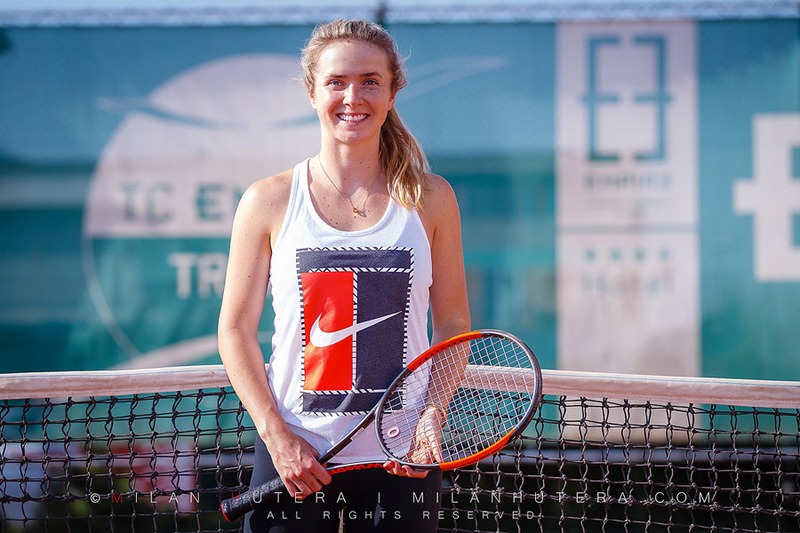 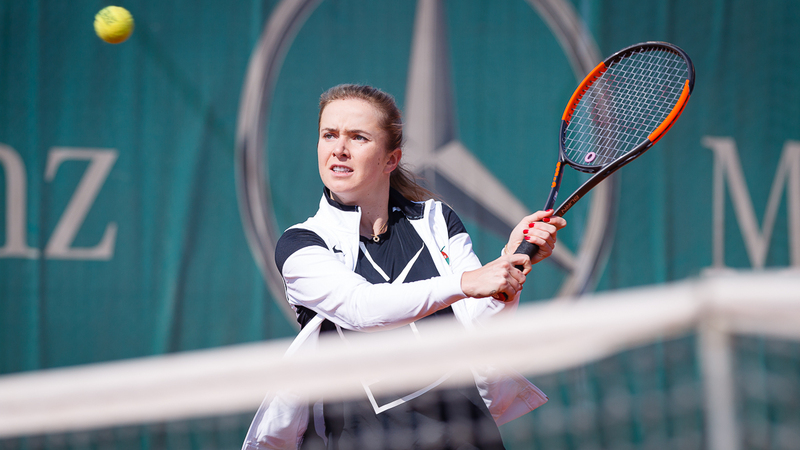 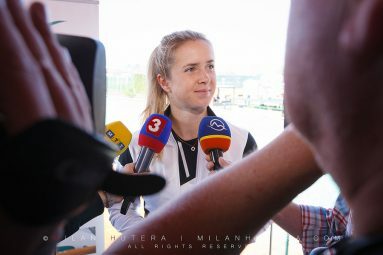 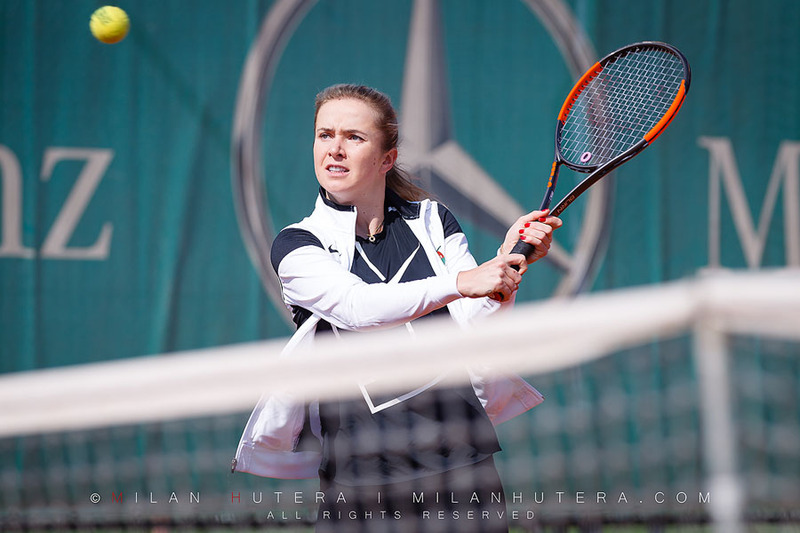 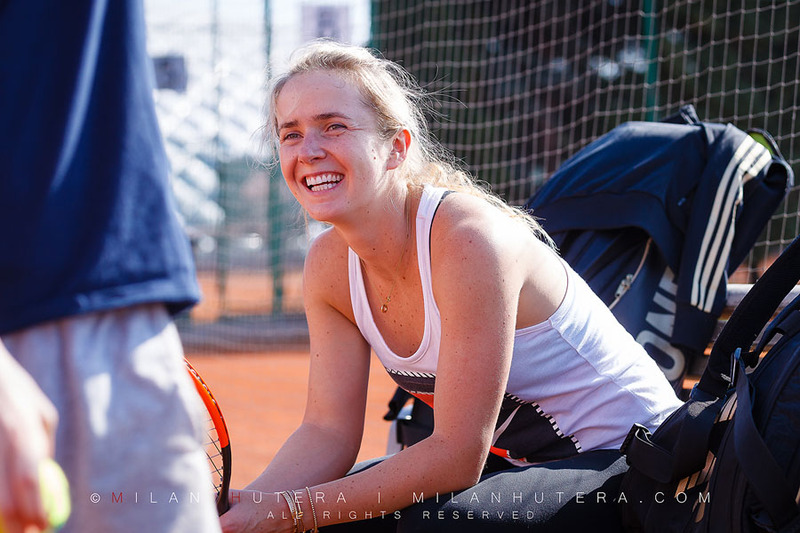 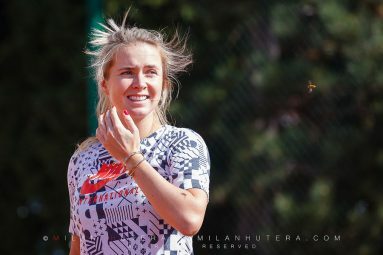 Elina Svitolina, currently No. 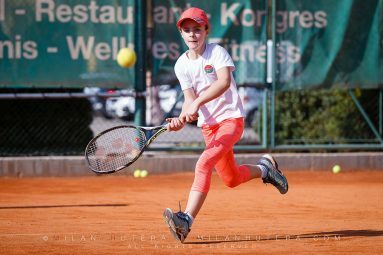 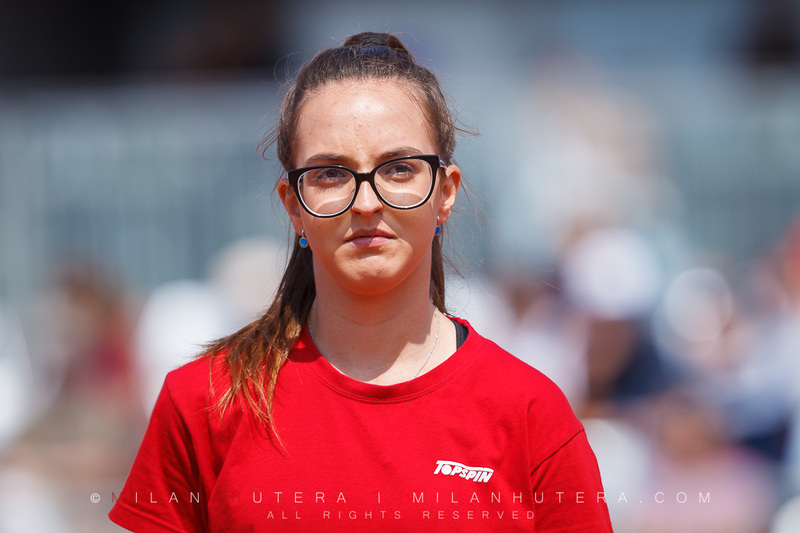 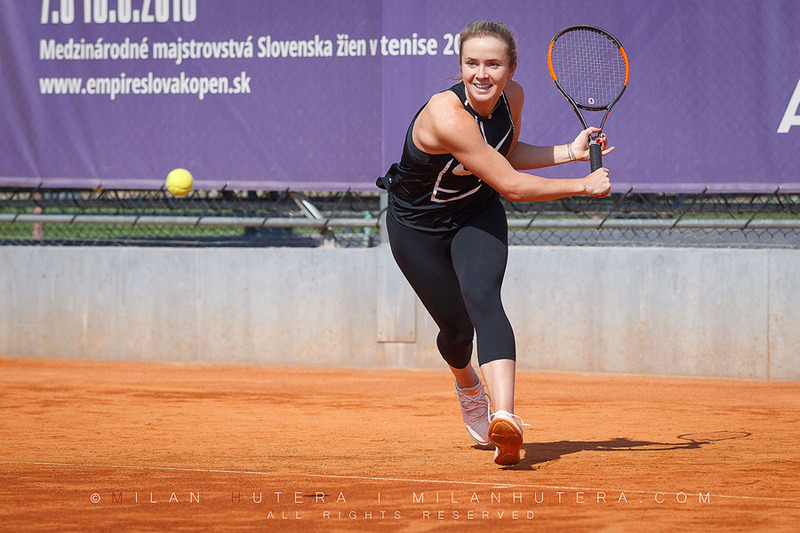 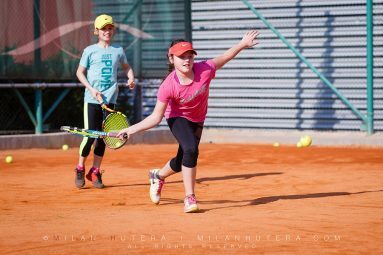 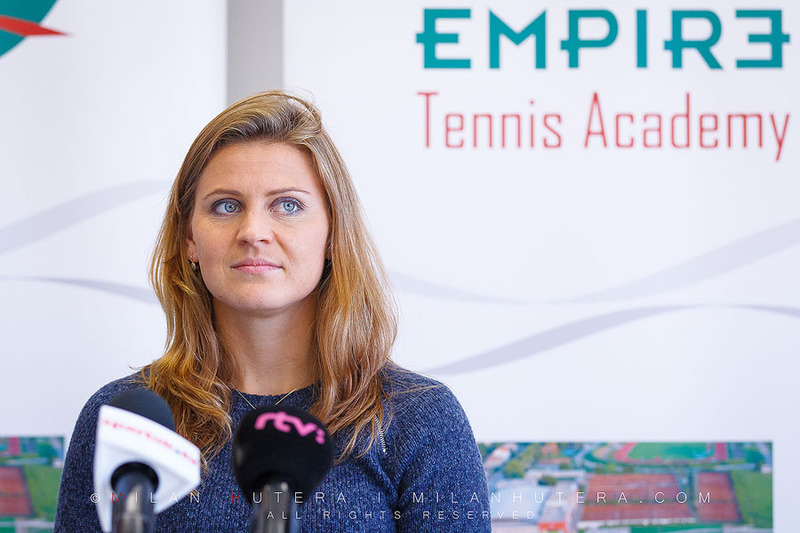 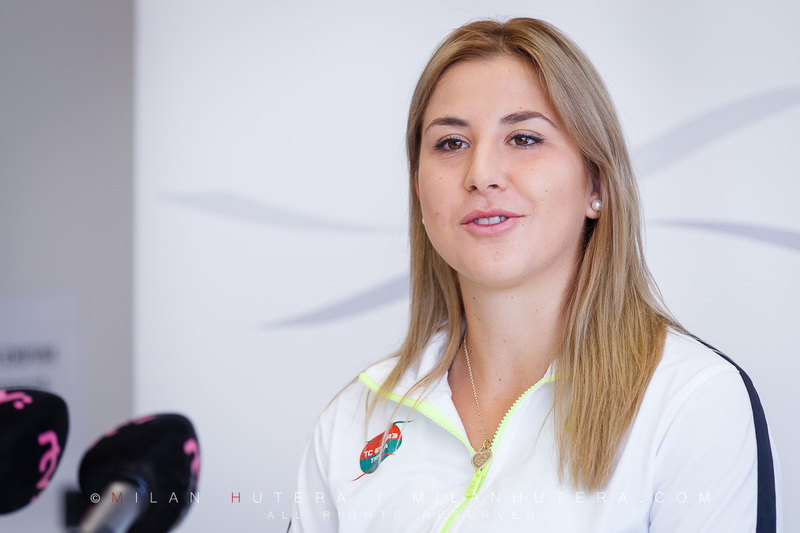 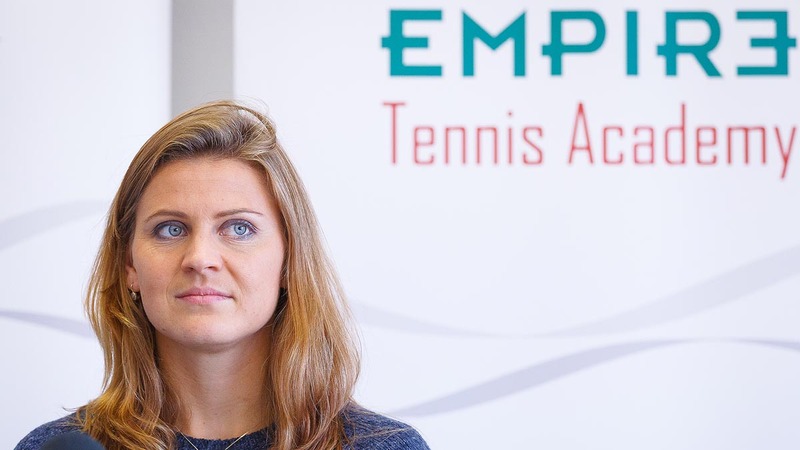 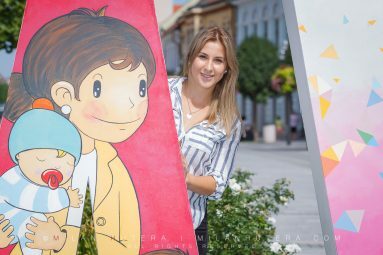 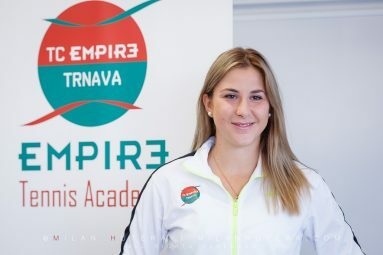 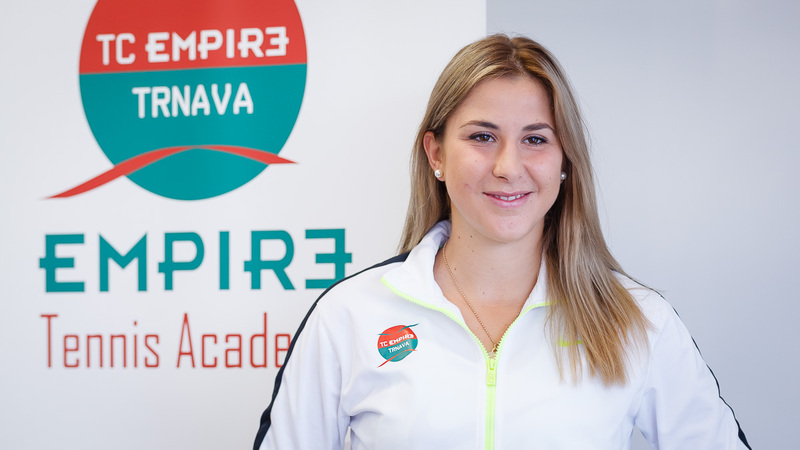 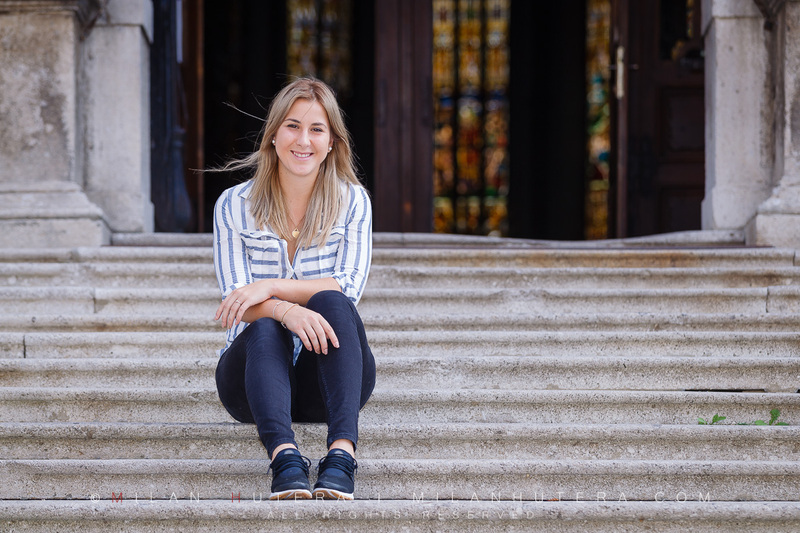 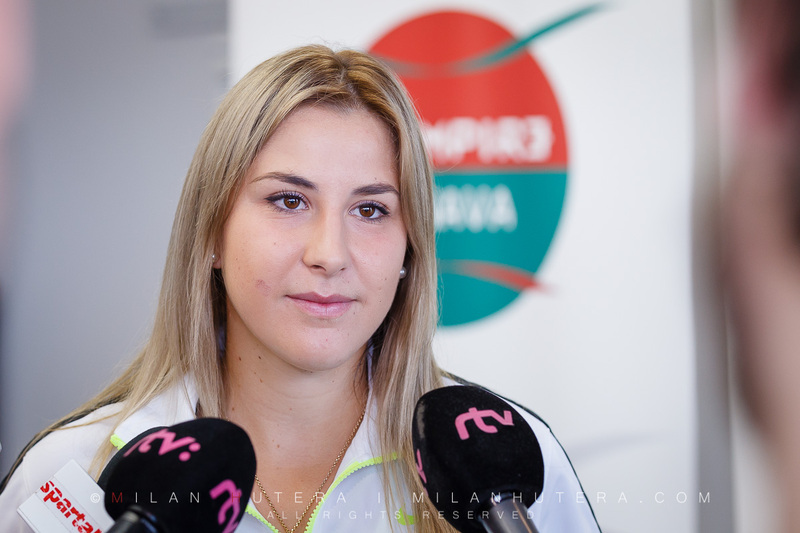 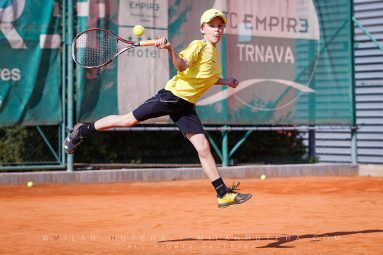 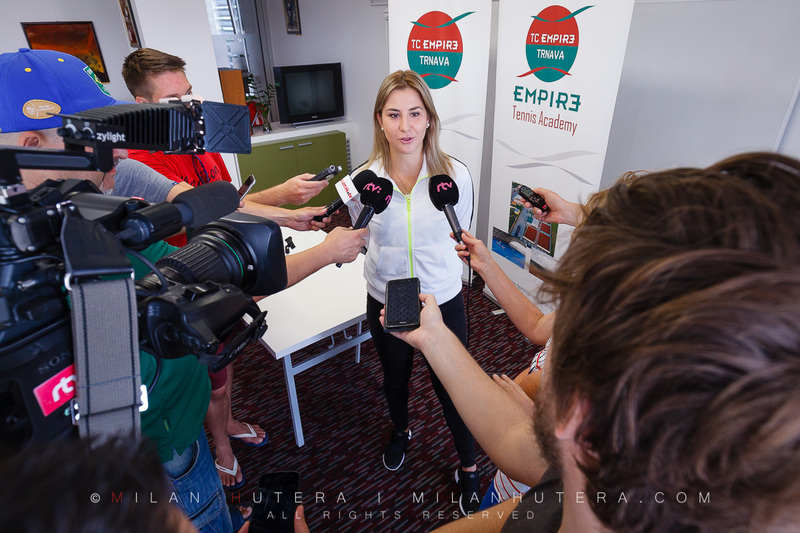 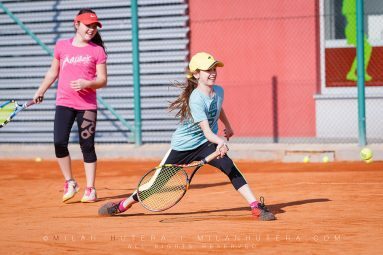 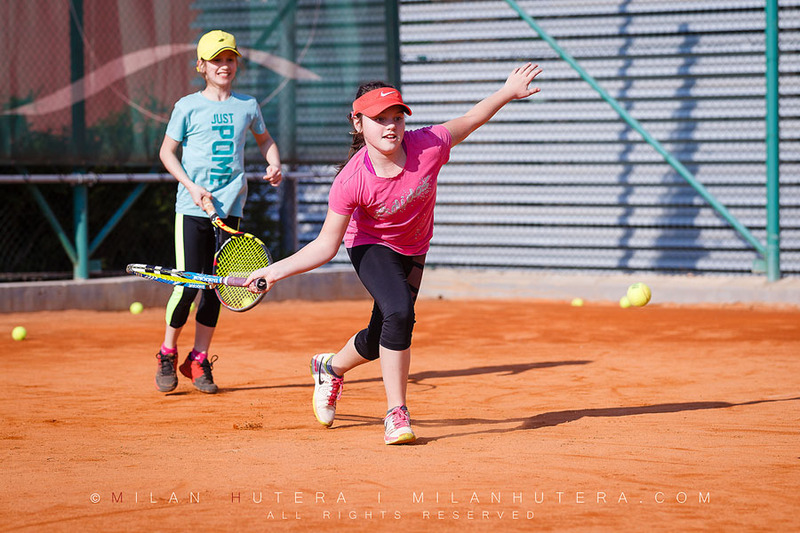 10 in WTA Tour Ranking and member of Empire Tennis Academy currently spends a few days in Trnava, Slovakia. 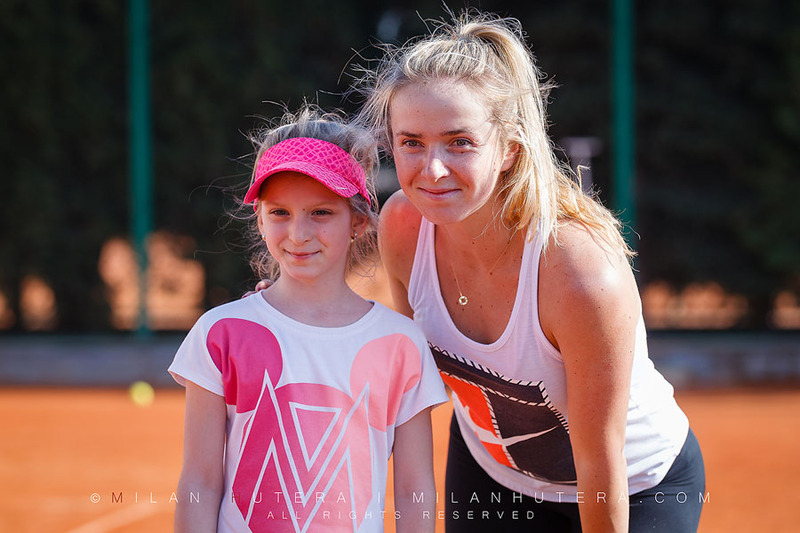 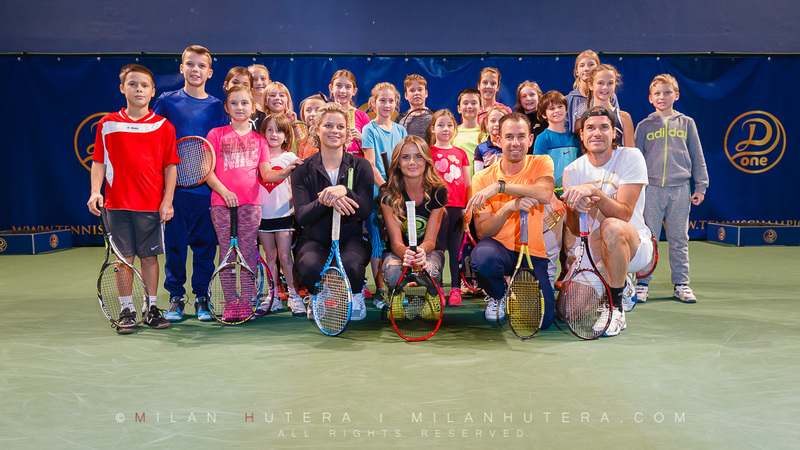 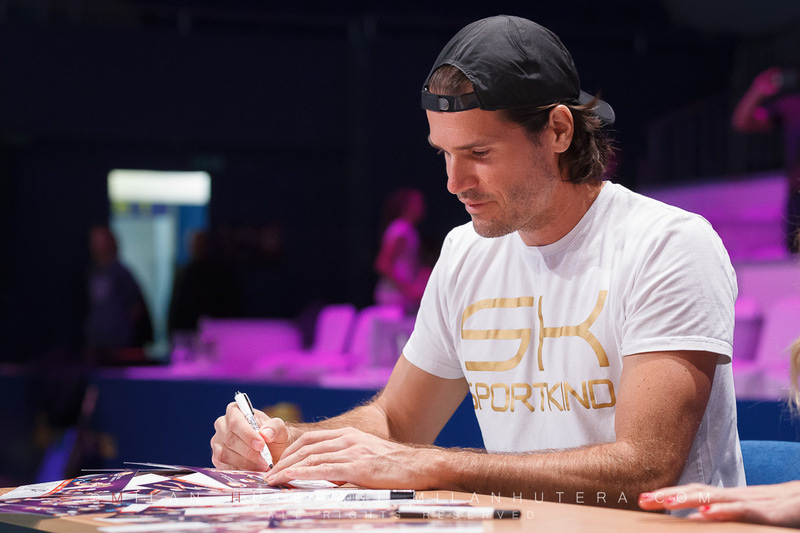 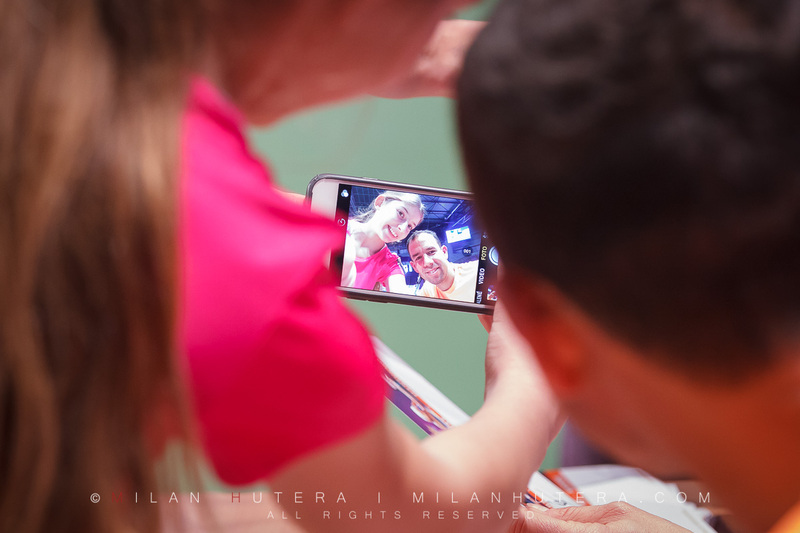 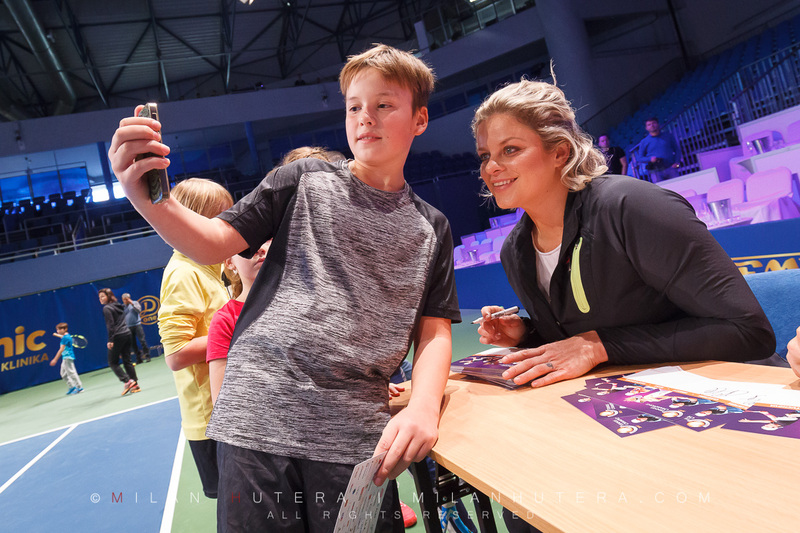 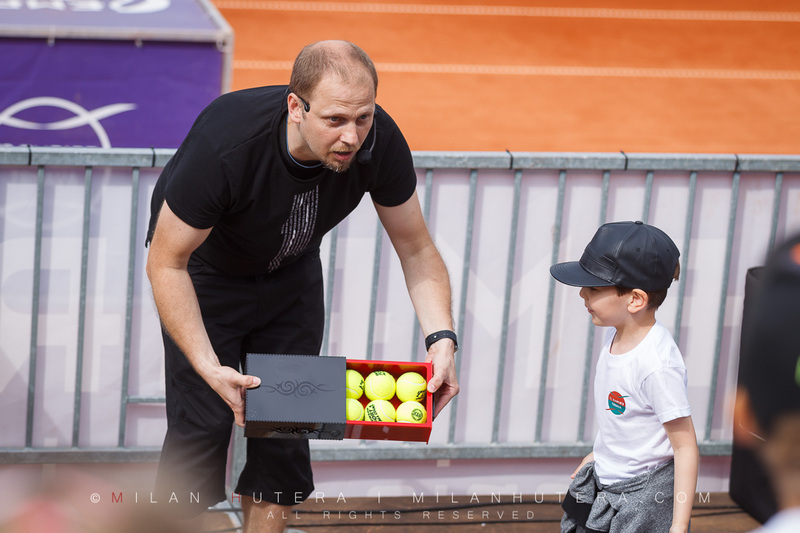 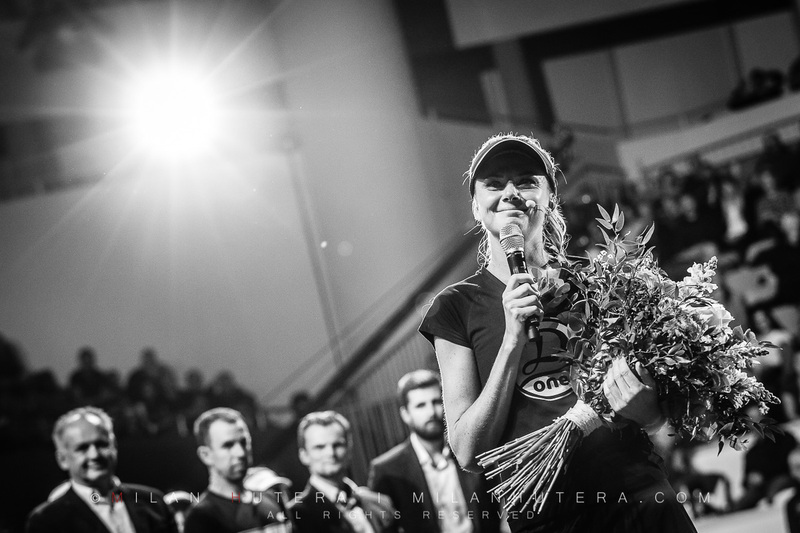 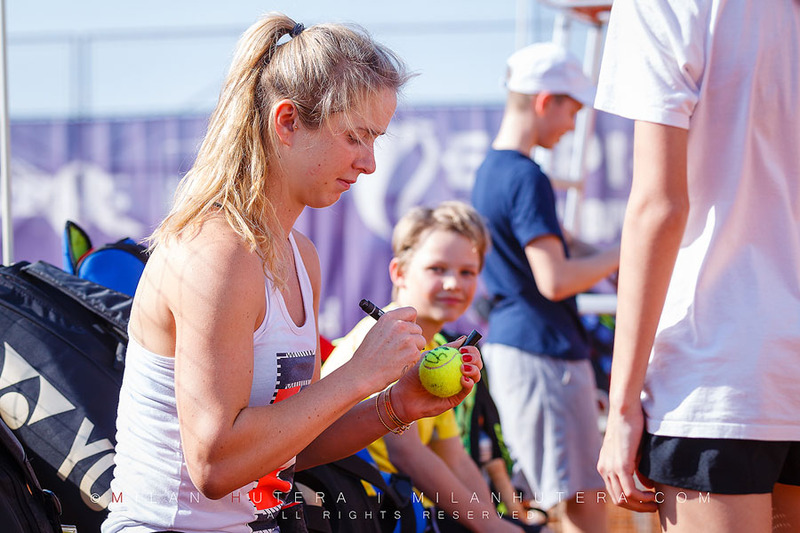 On April 1st she met tennis fans and media representatives during the Academy’s Kids Day. 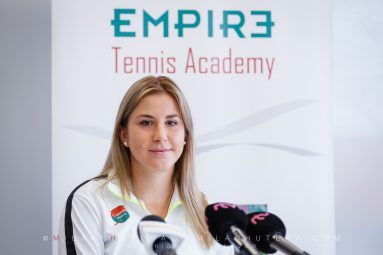 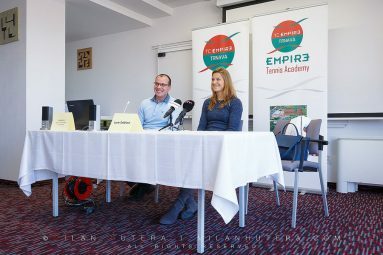 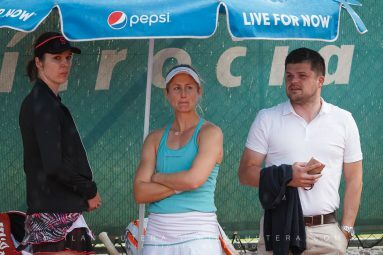 She also spent the previous afternoon training with the young members of TC Empire Trnava. 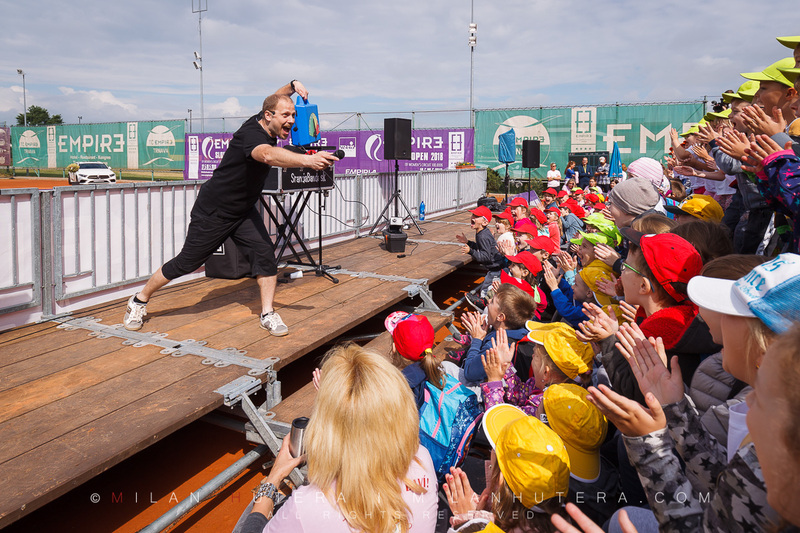 The kids were eager to show their talent to Elina and tried their best shots (notably the boy in yellow t-shirt). 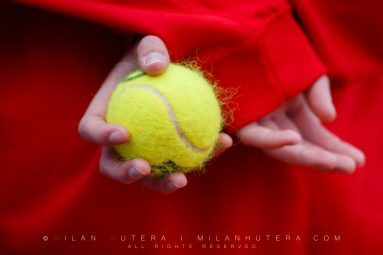 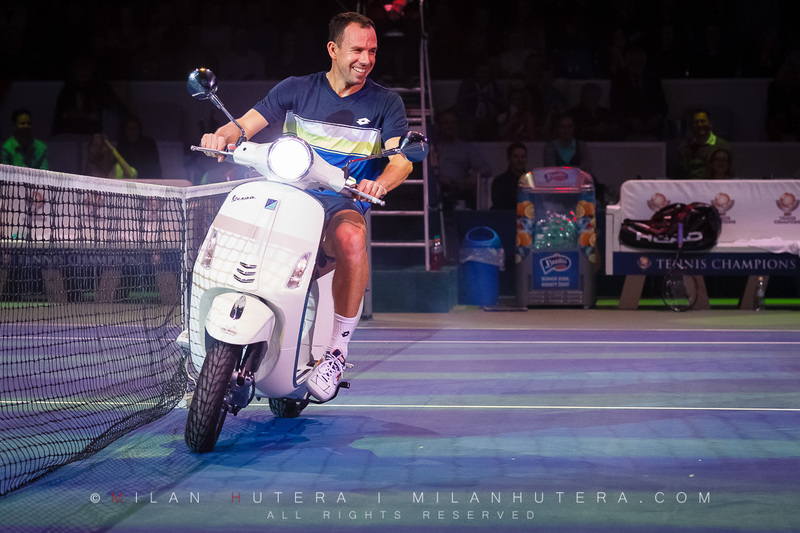 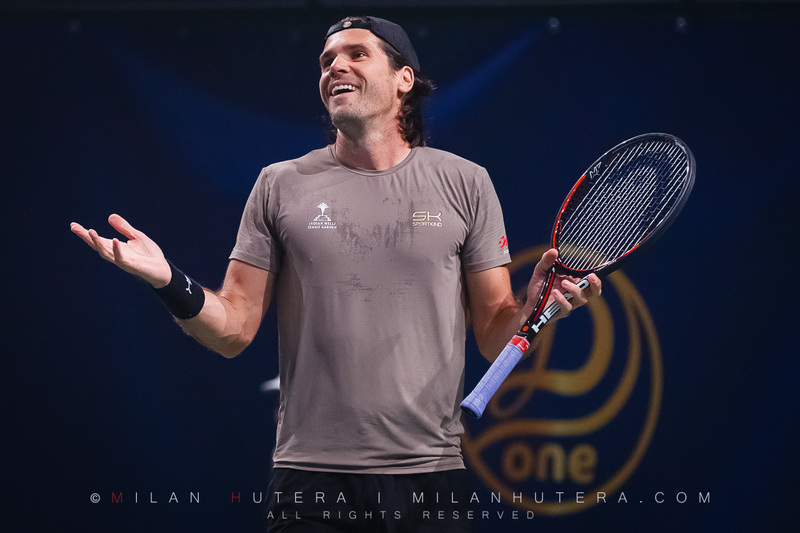 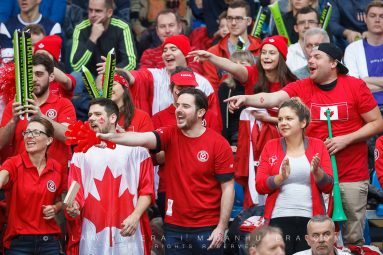 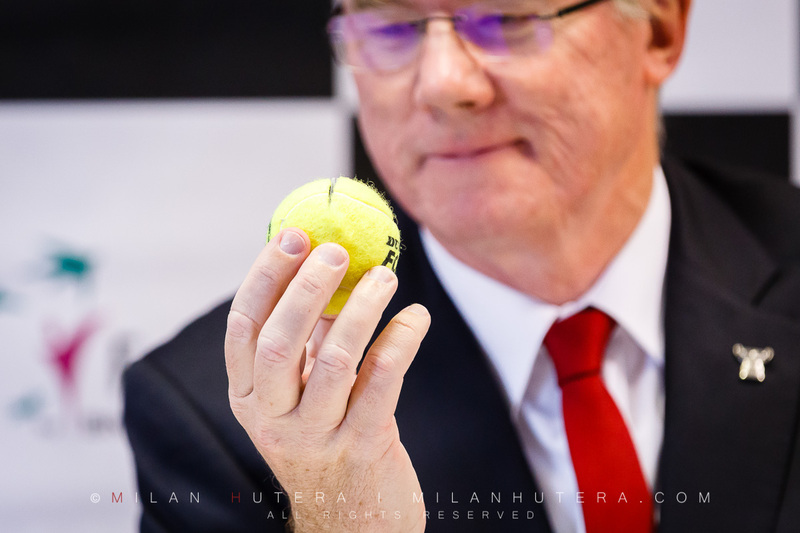 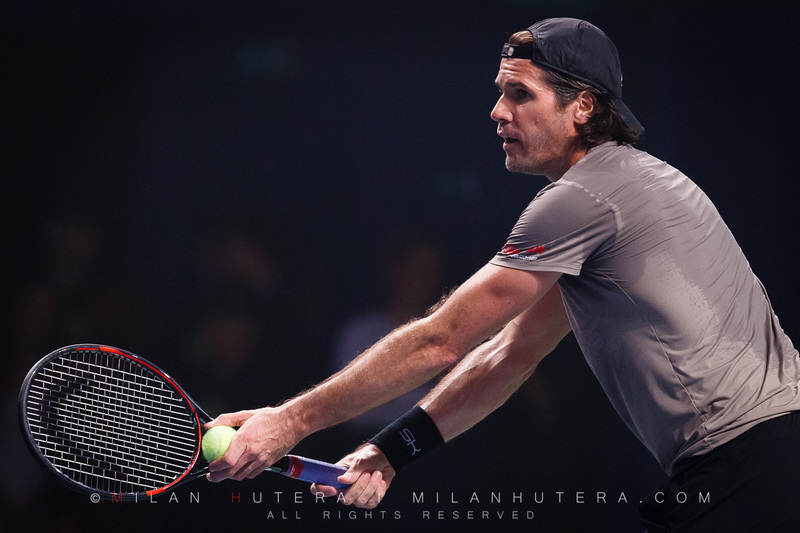 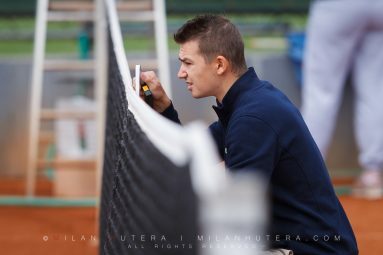 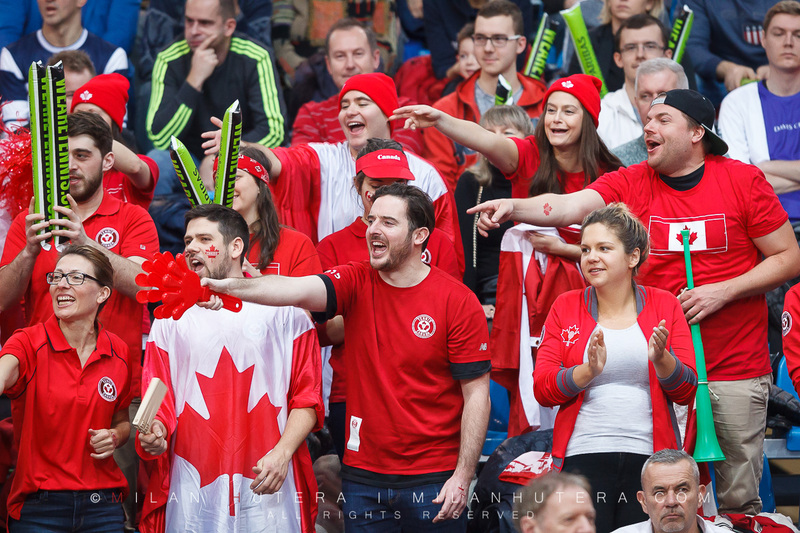 Shot for: Empire Tennis Academy and Tennis Arena Magazine. 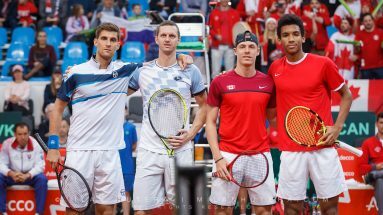 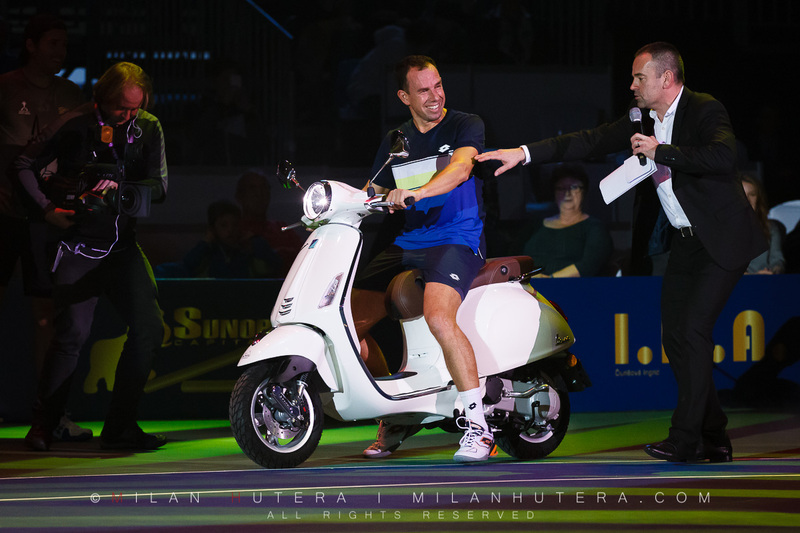 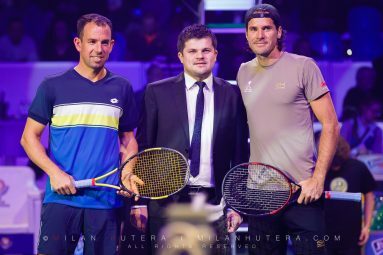 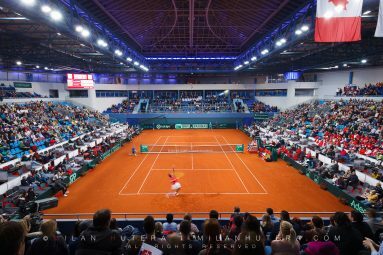 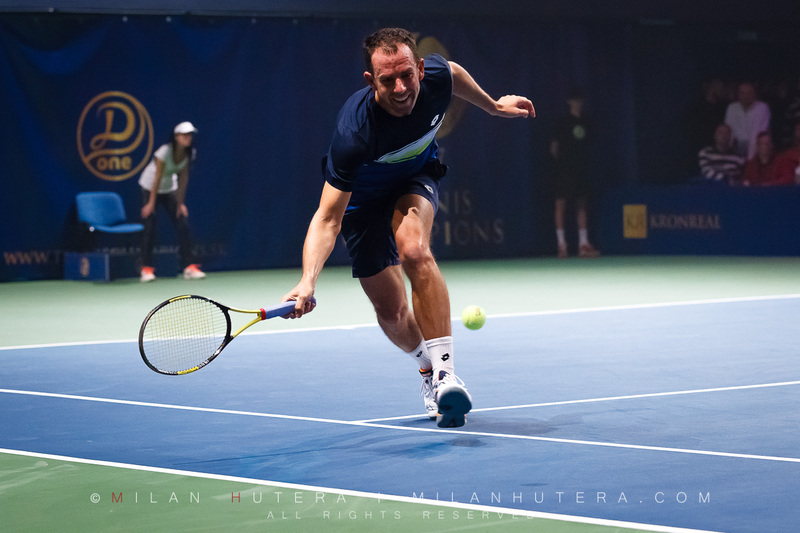 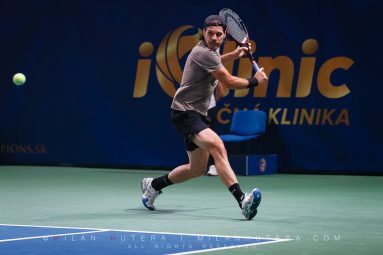 On November 16th I attended the Tennis Player of the Year 2016 in Slovakia Gala, held in National Tennis Center in Bratislava. 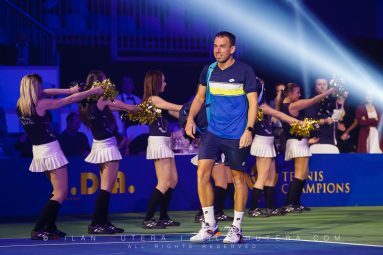 The main star of the evening was Dominika Cibulkova, winner of three WTA Tour titles, as well as the year-end WTA Finals in Singapore. 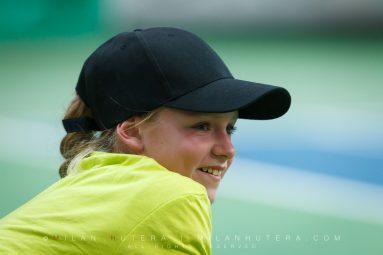 She claimed both Best Female Tennis Player of the Year and Most Popular Tennis Player of the Year awards. 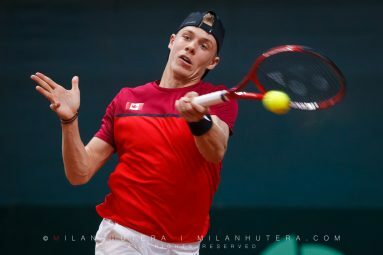 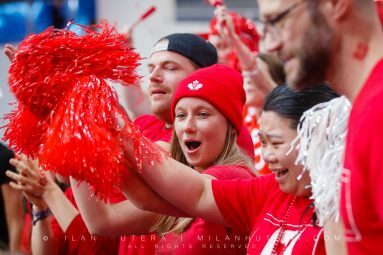 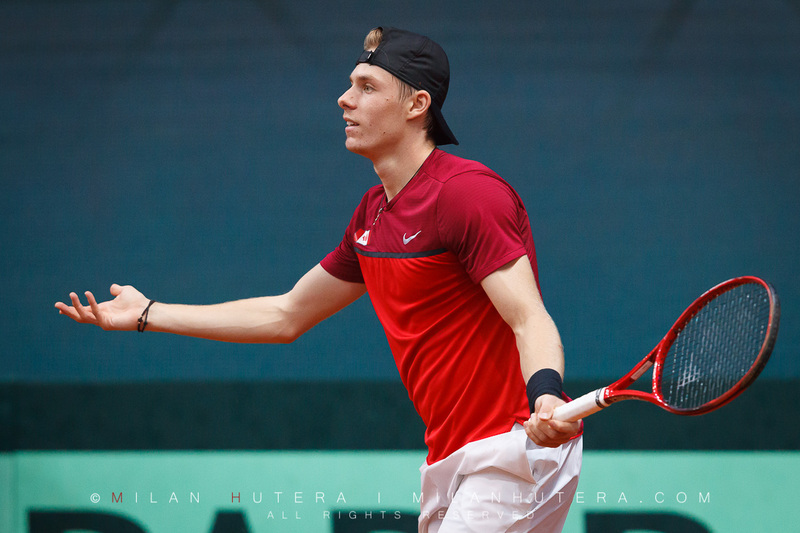 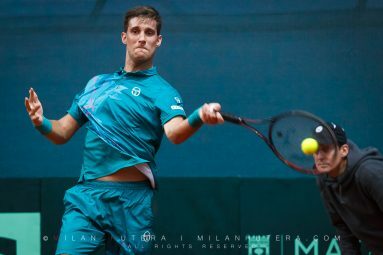 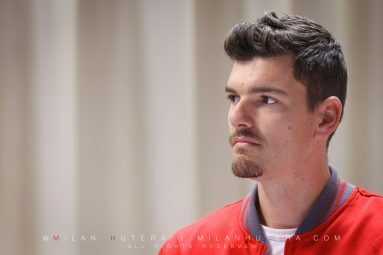 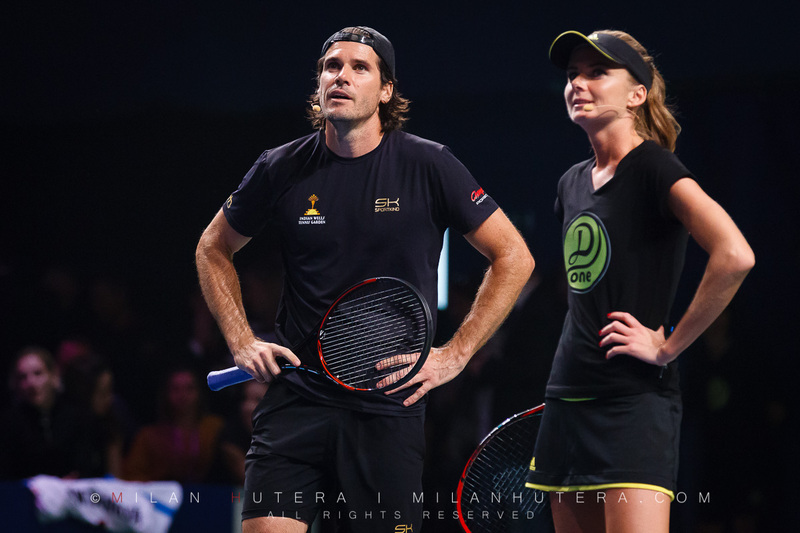 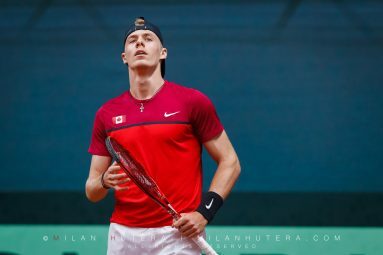 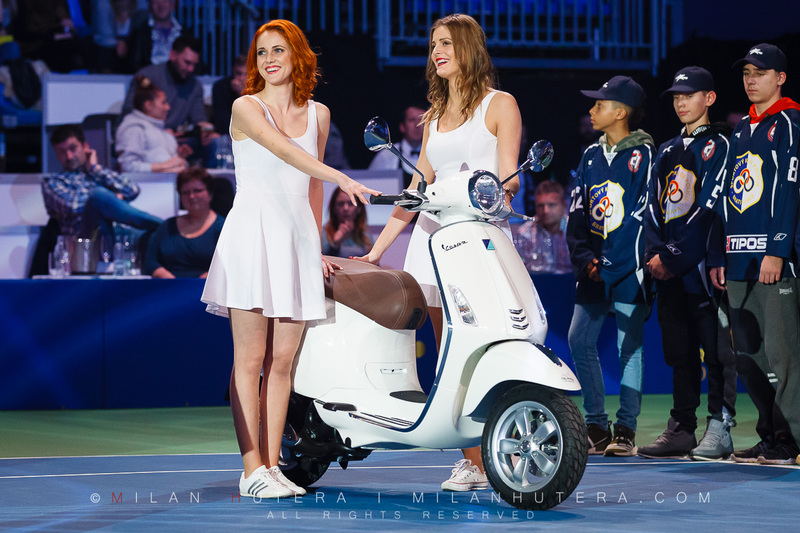 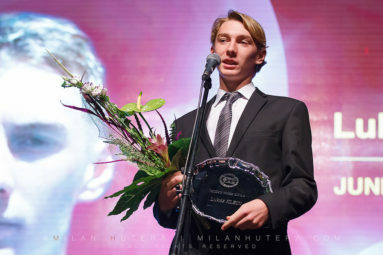 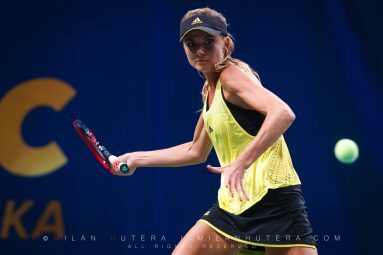 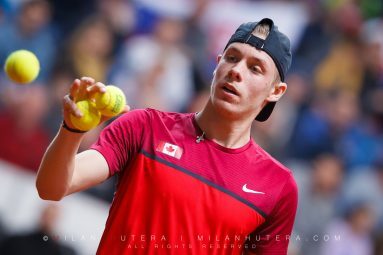 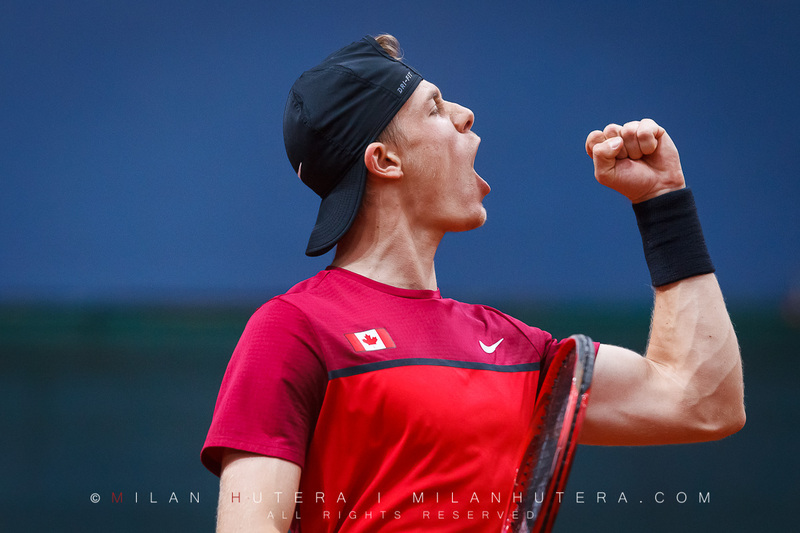 Tereza Mihalikova and Lukas Klein were named Best Junior Players of the Year. 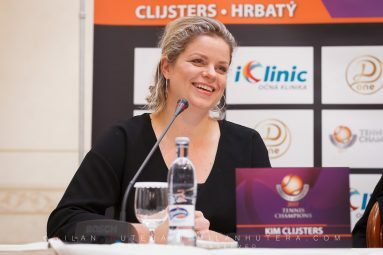 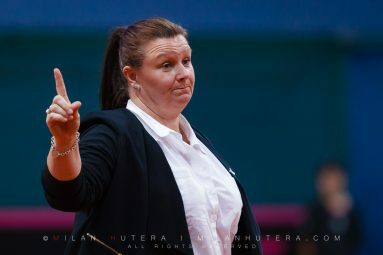 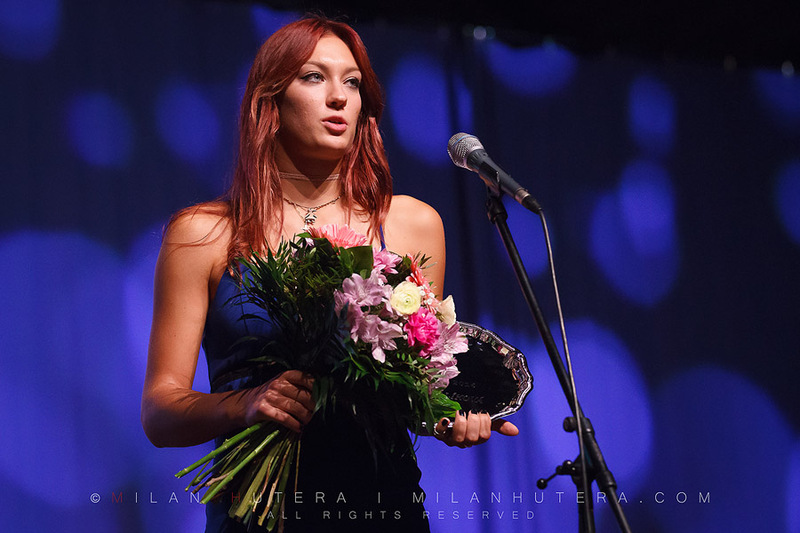 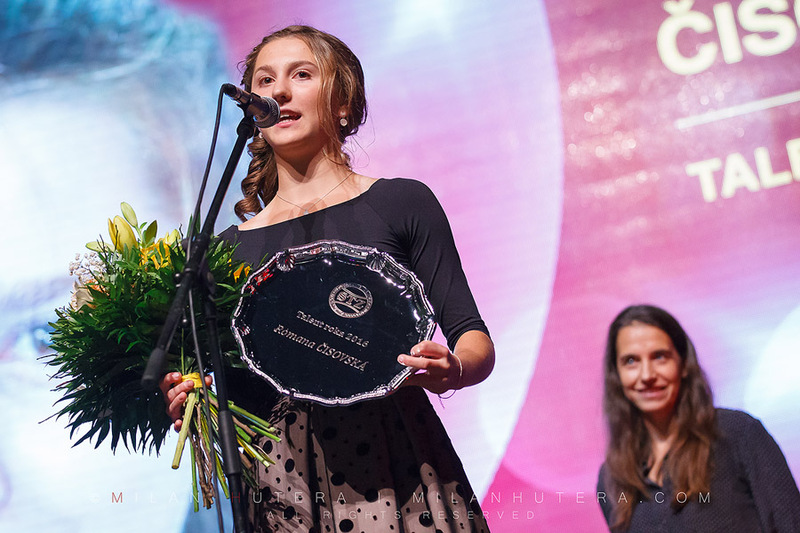 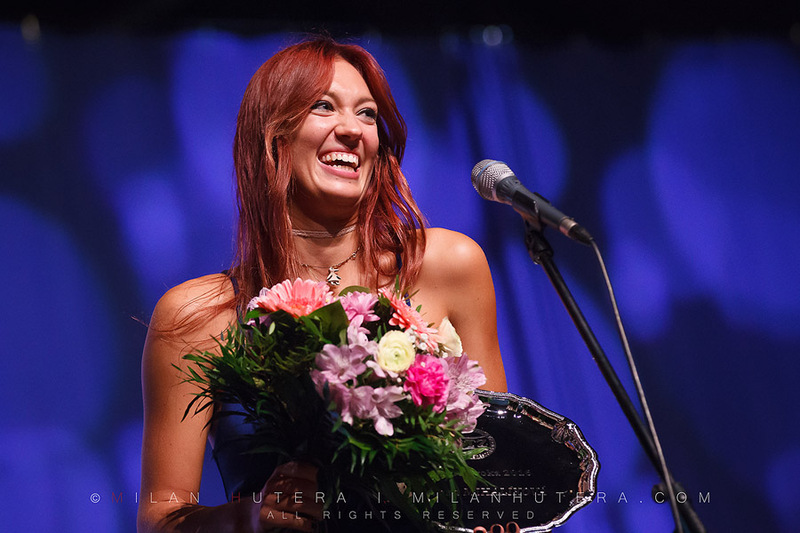 Romana Cisovska was chosen as the Best Upcoming Player of the Year. 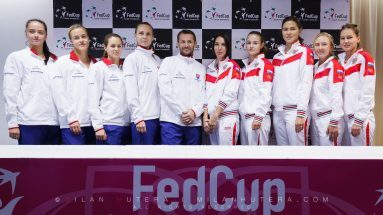 Women’s Fed Cup Team was chosen as the Best Tennis Team of the Year, despite the fact it failed to advance from the Fed Cup World Gropu 2. 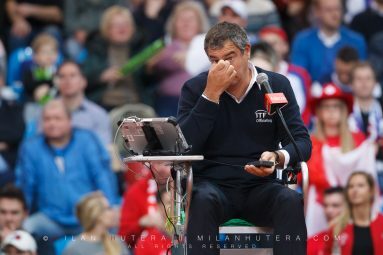 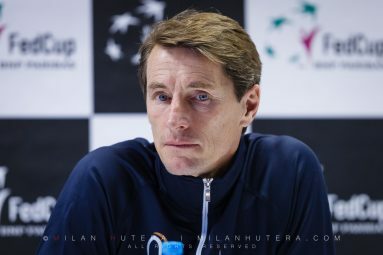 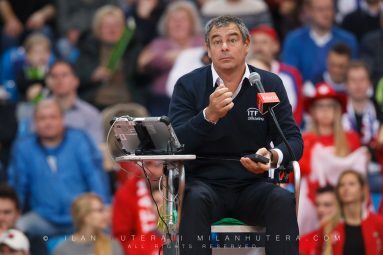 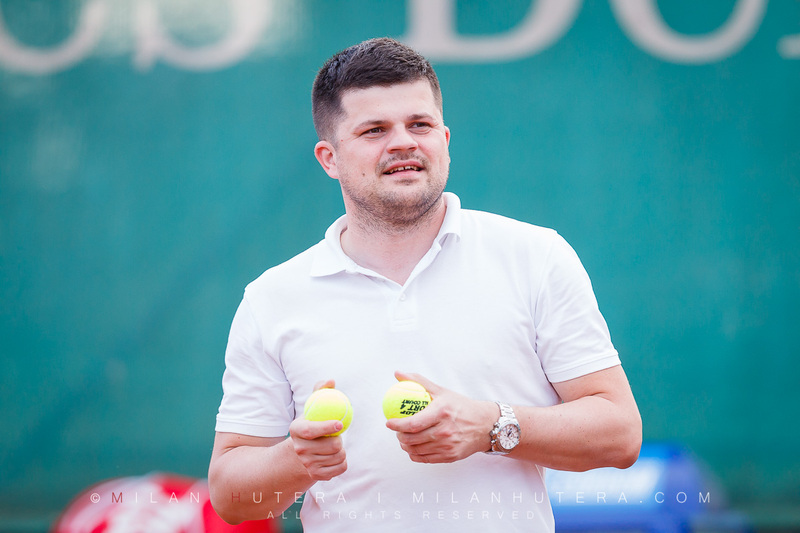 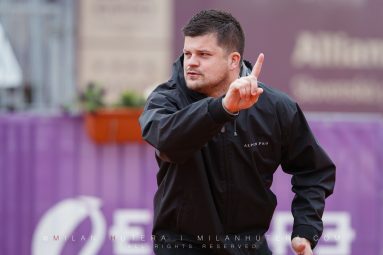 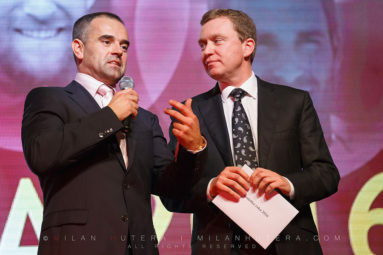 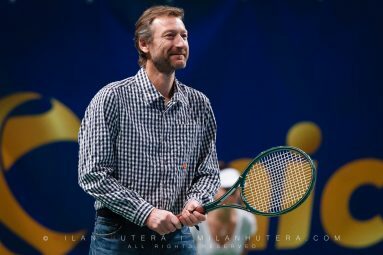 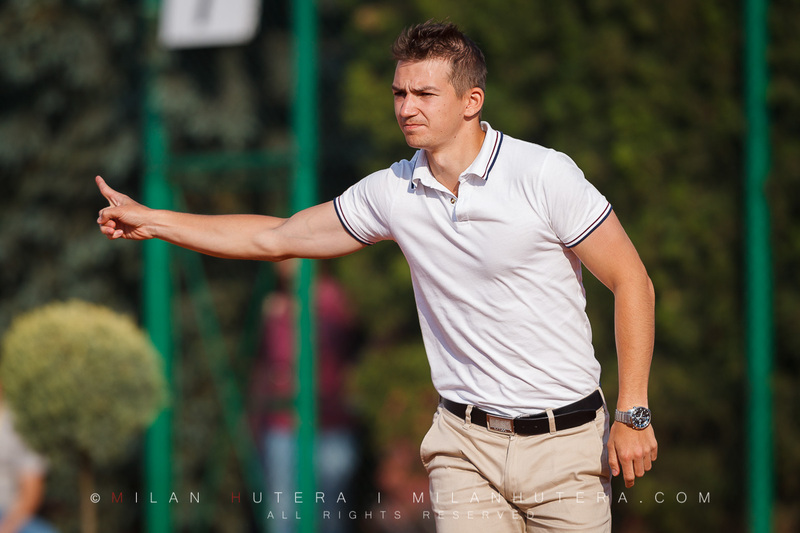 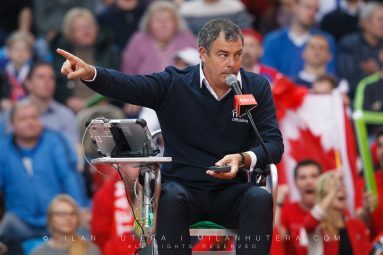 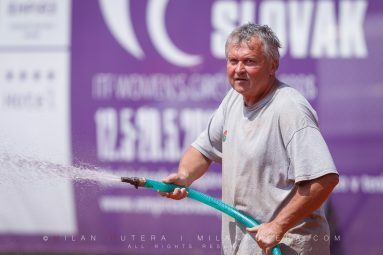 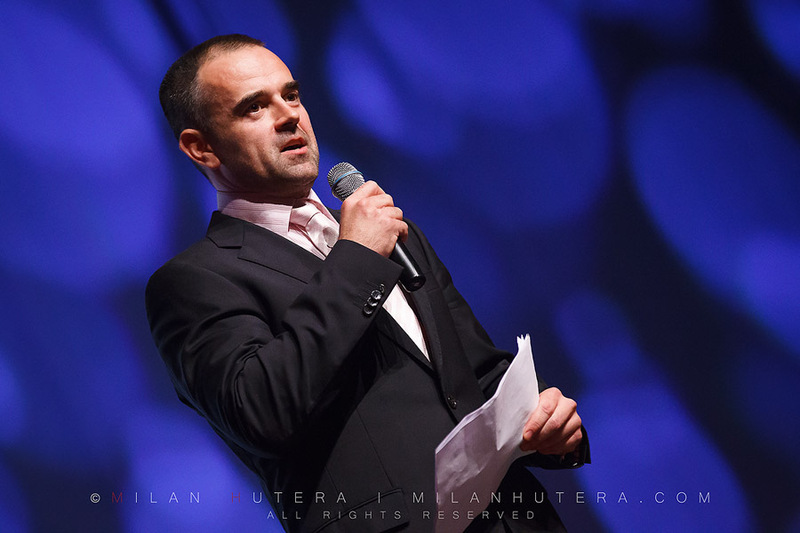 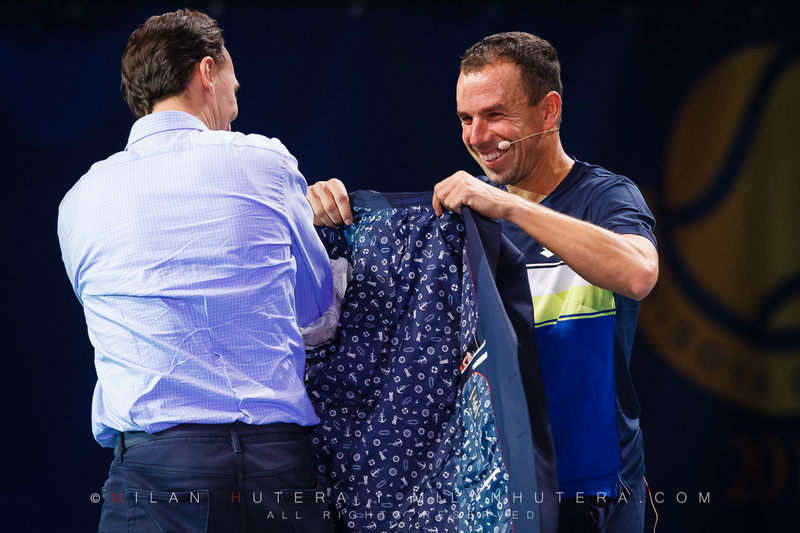 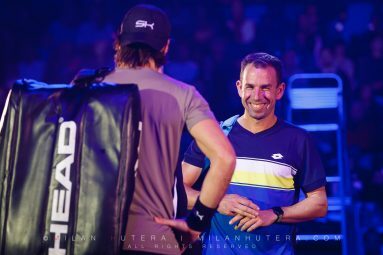 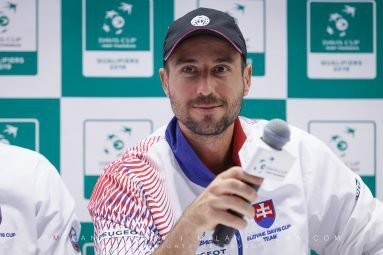 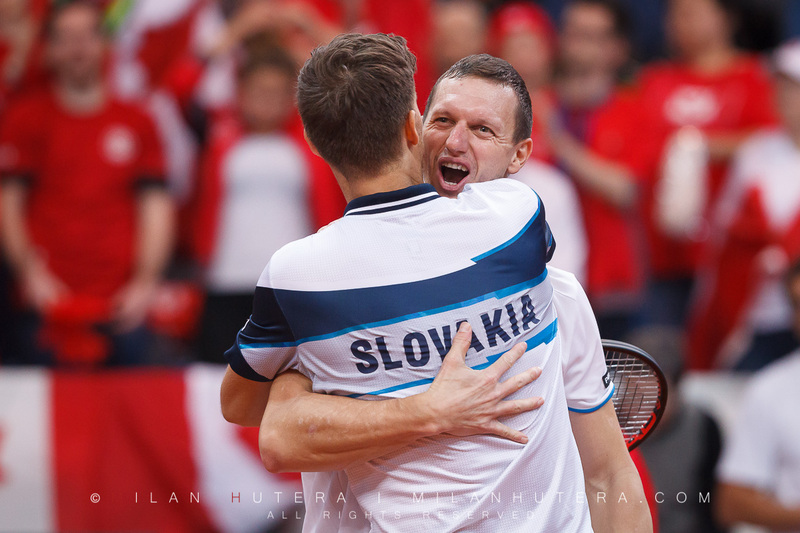 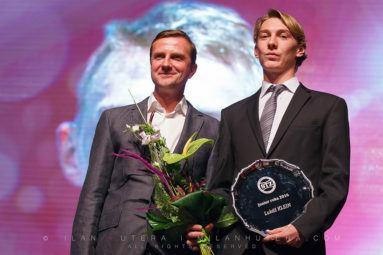 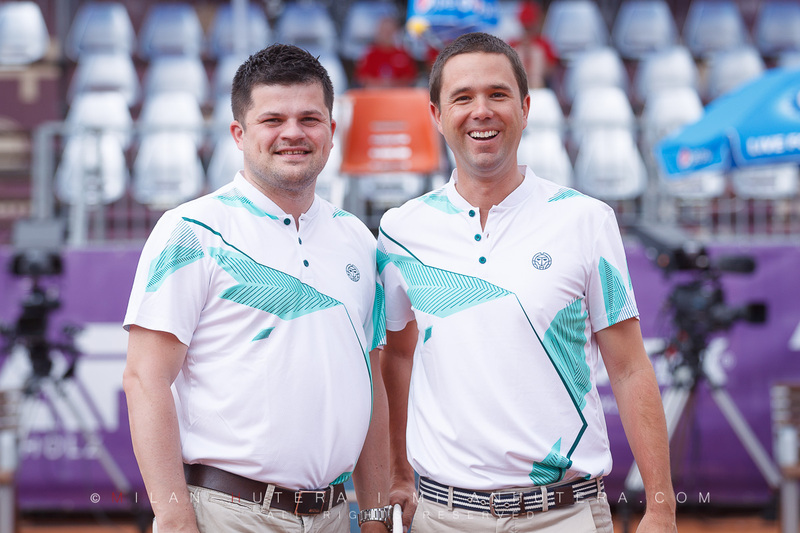 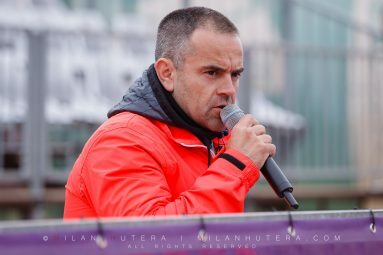 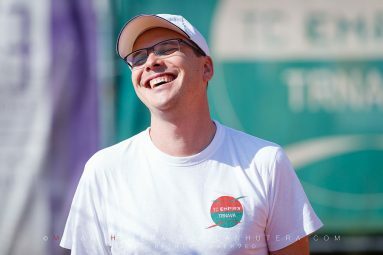 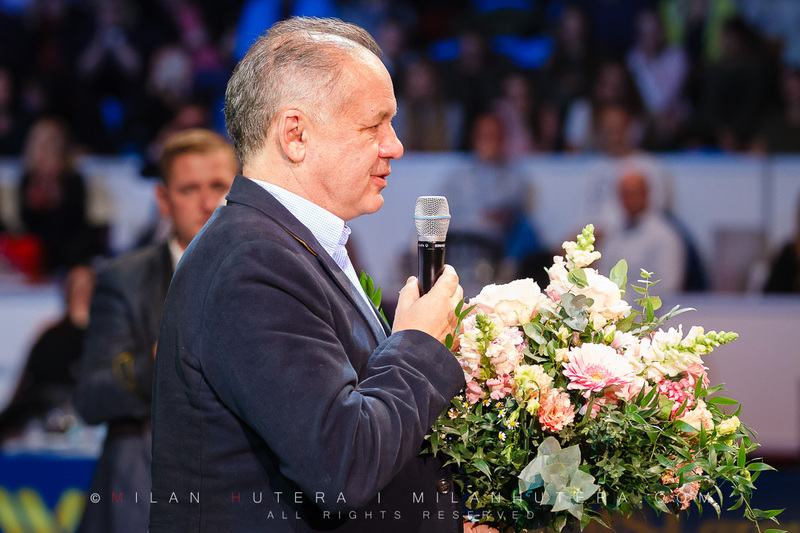 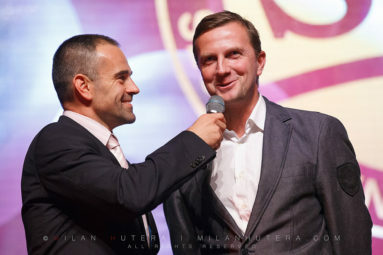 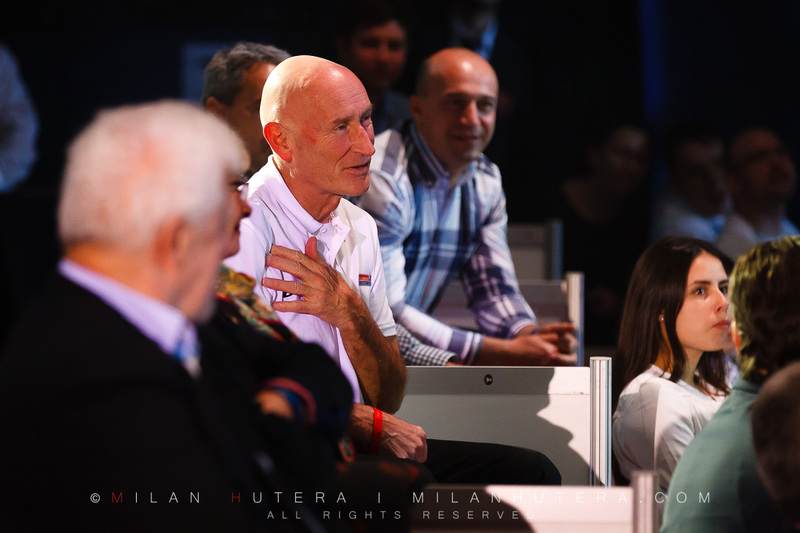 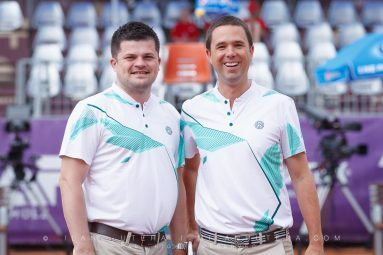 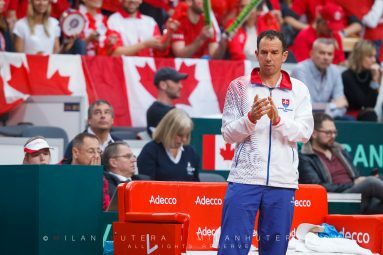 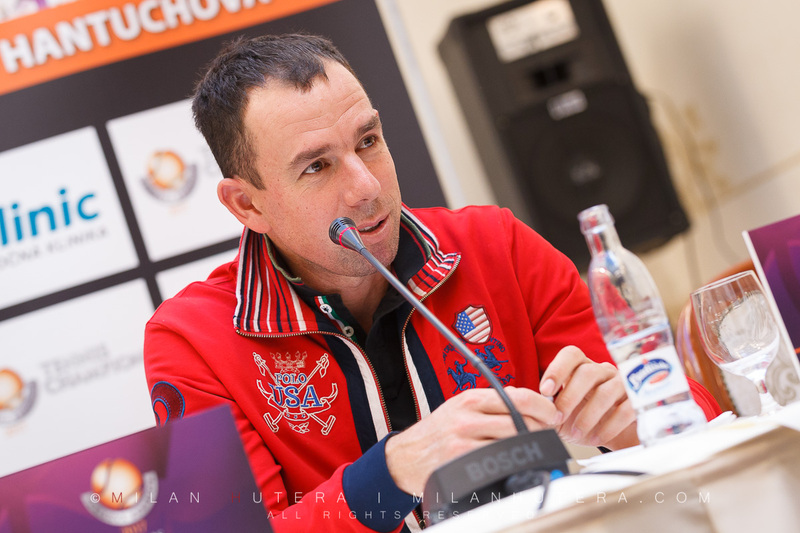 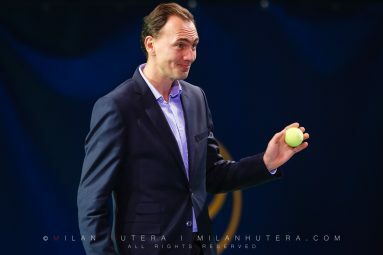 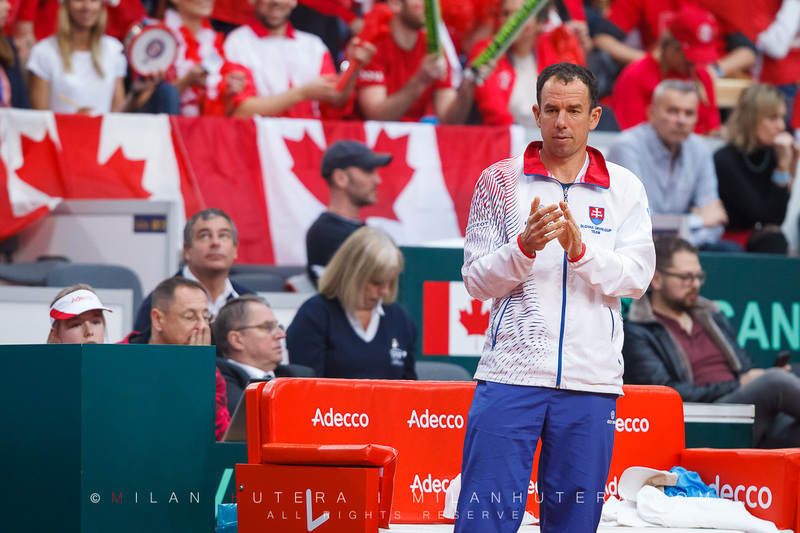 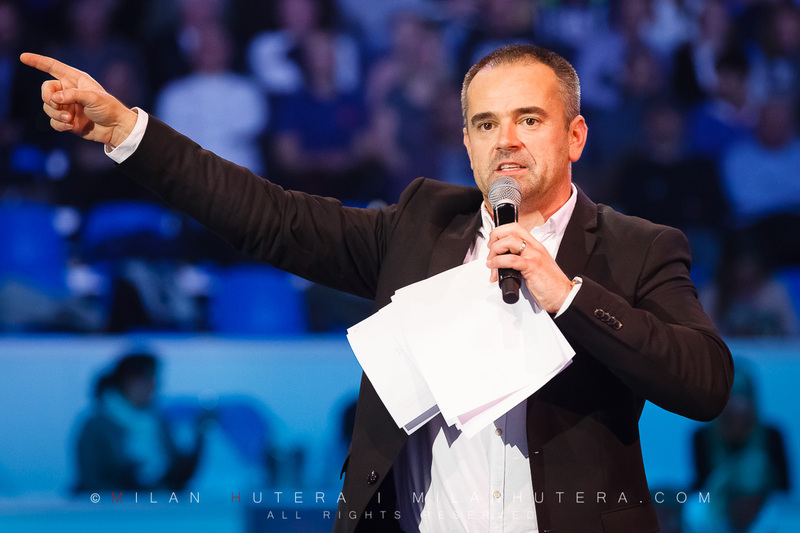 Coach Lubomir Kurhajec was inducted into Tennis Hall of Fame in Slovakia. 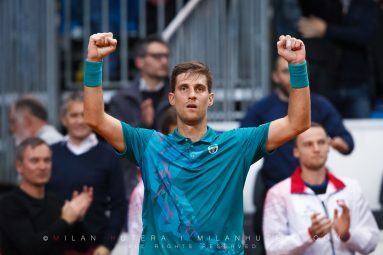 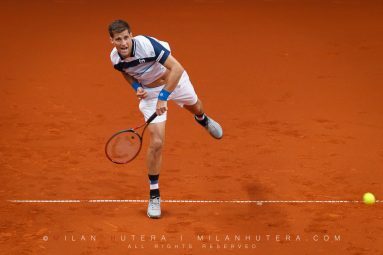 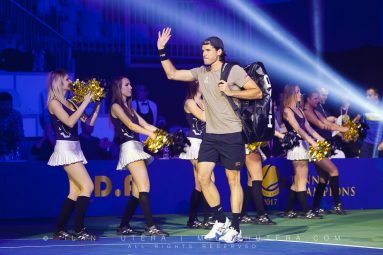 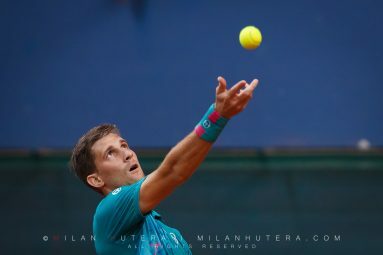 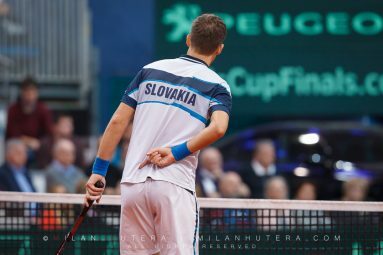 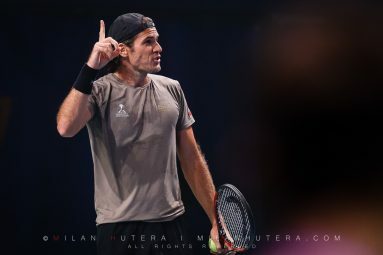 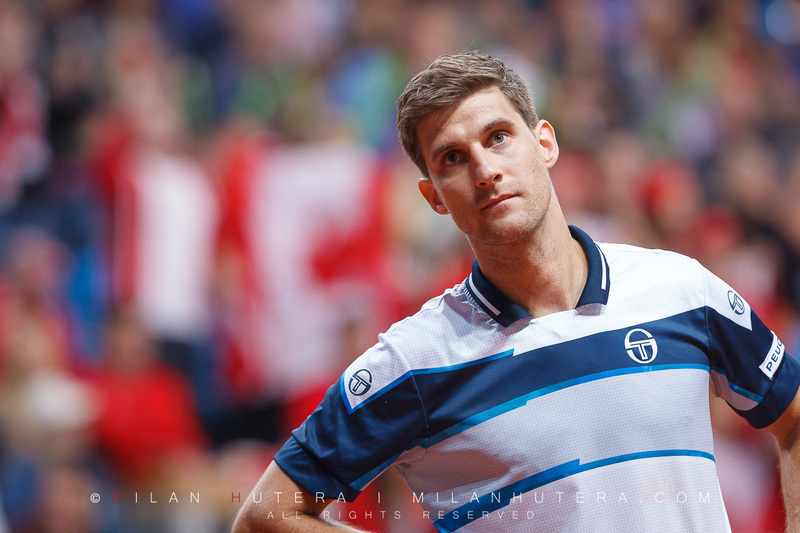 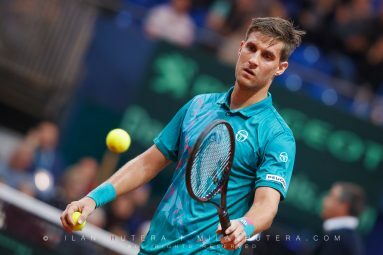 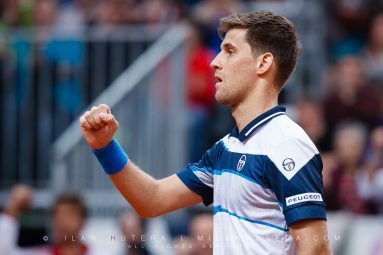 Martin Klizan, who was selected as the Best Male Tennis Player of the Year 2016 did not attend the ceremony.